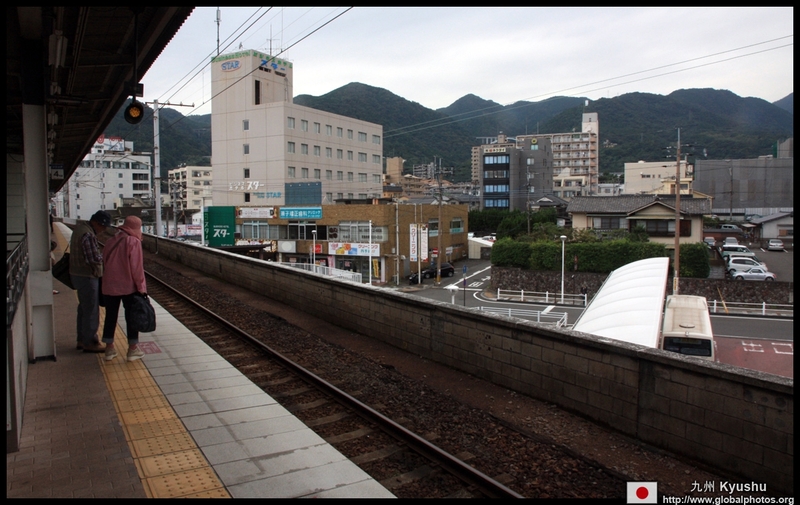 Due to foggy weather in Aso and seismic activity that closed the crater, I hopped on the train and headed 2 hours further east to Beppu. 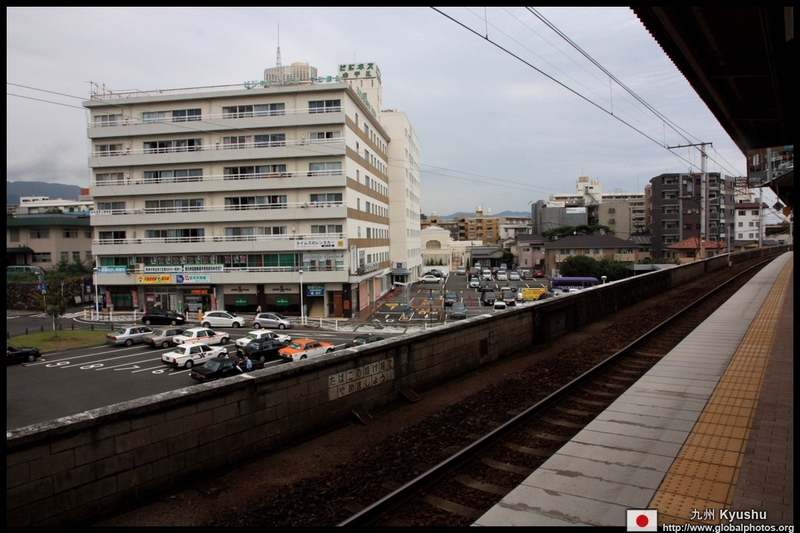 Luckily, this detour was free as I had a rail pass on hand. 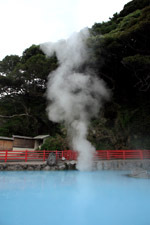 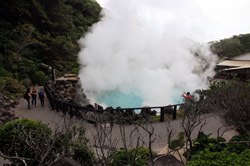 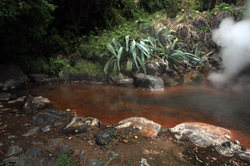 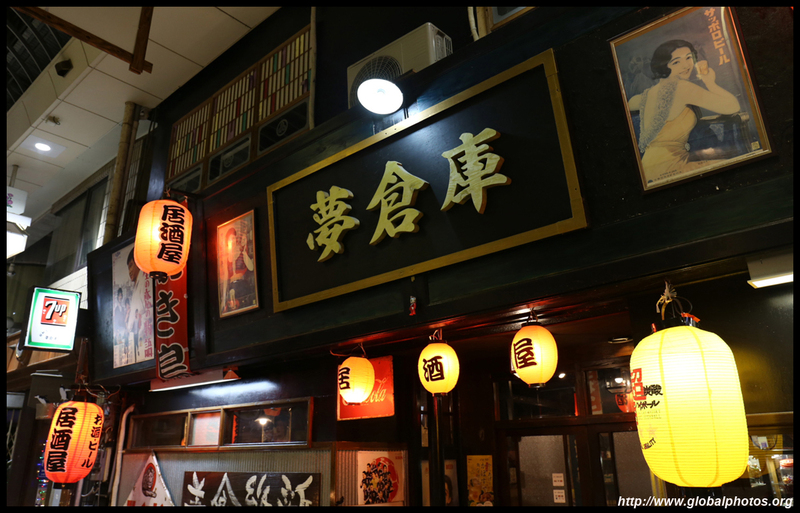 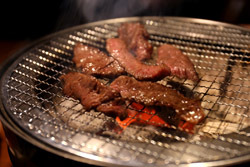 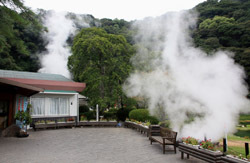 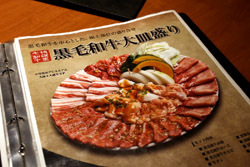 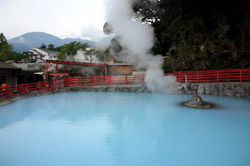 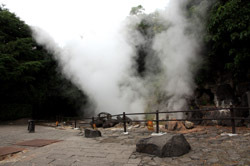 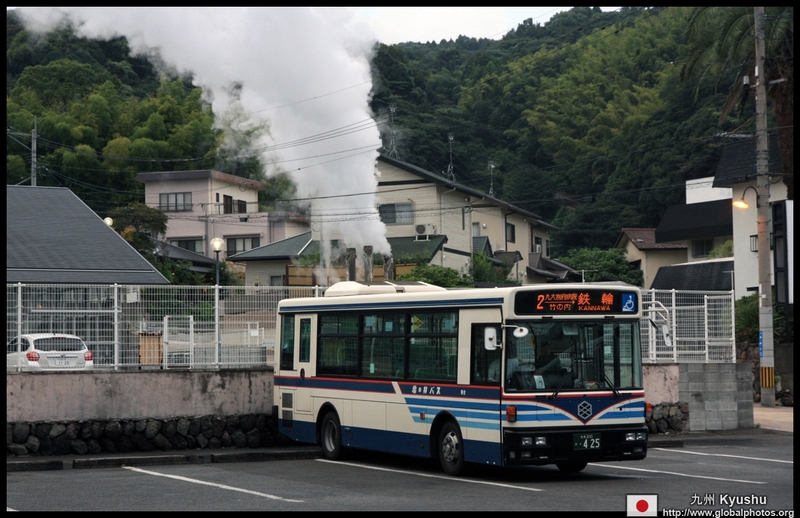 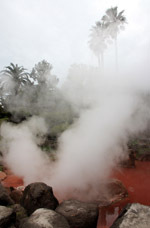 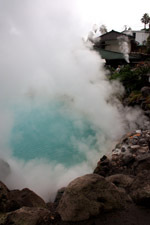 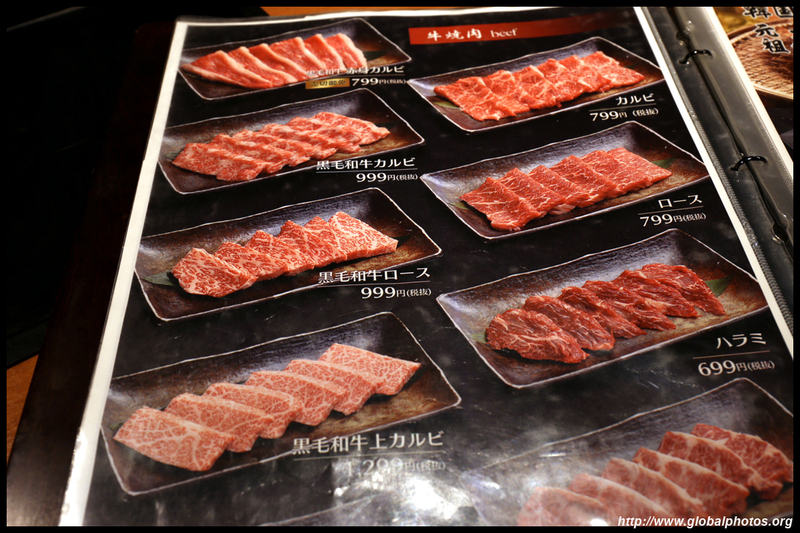 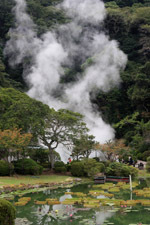 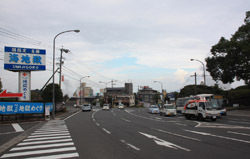 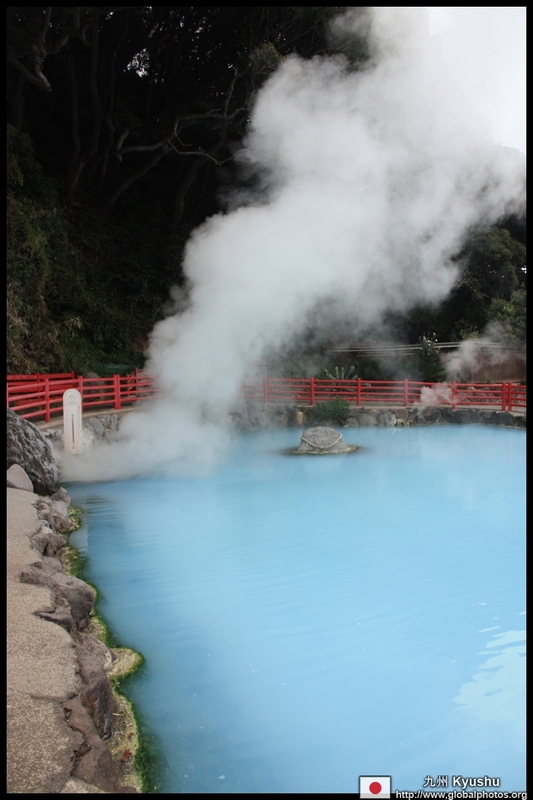 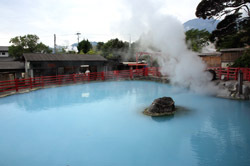 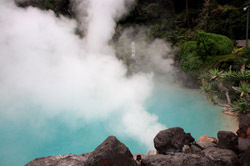 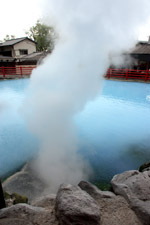 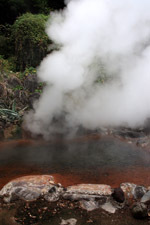 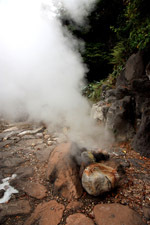 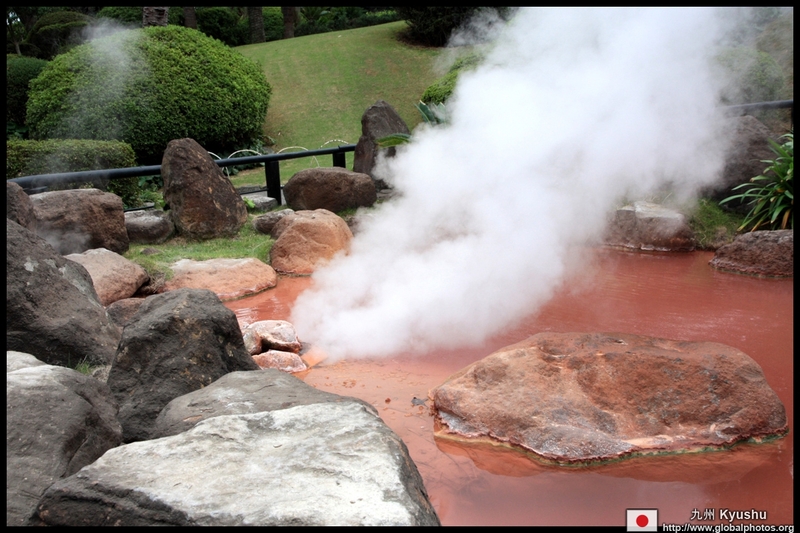 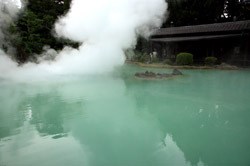 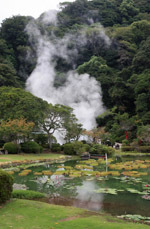 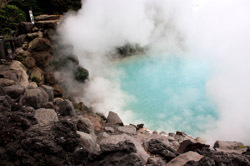 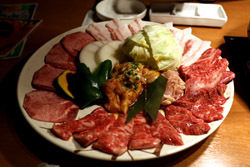 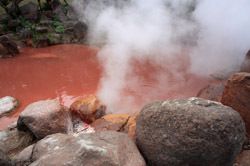 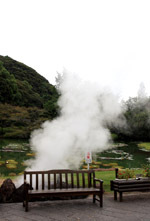 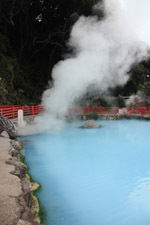 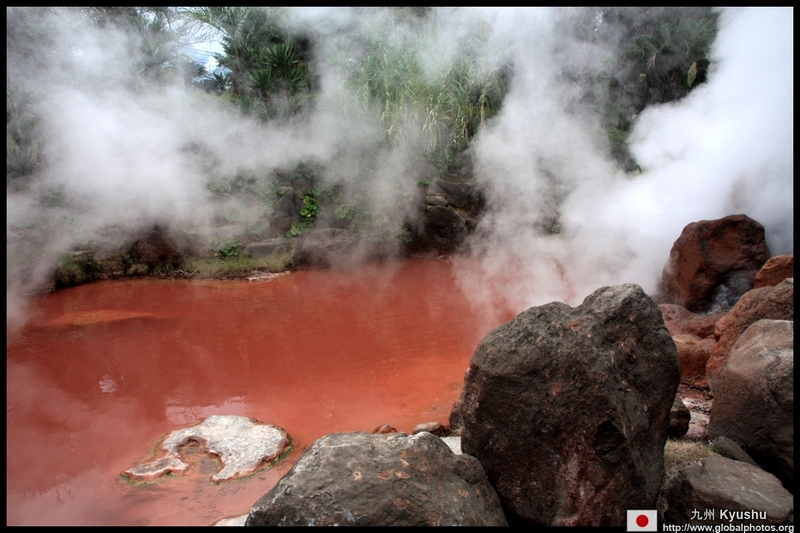 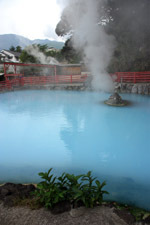 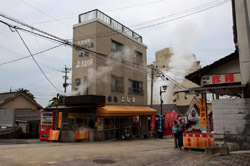 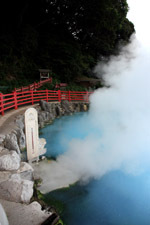 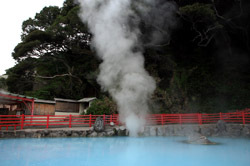 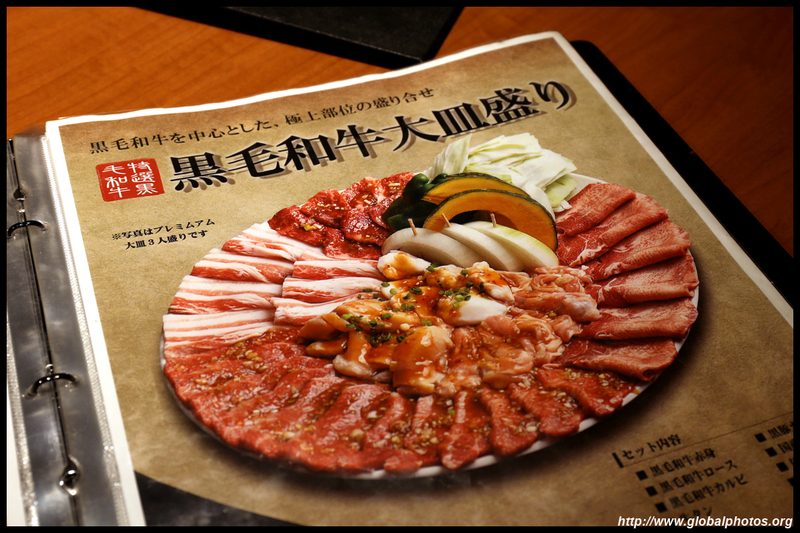 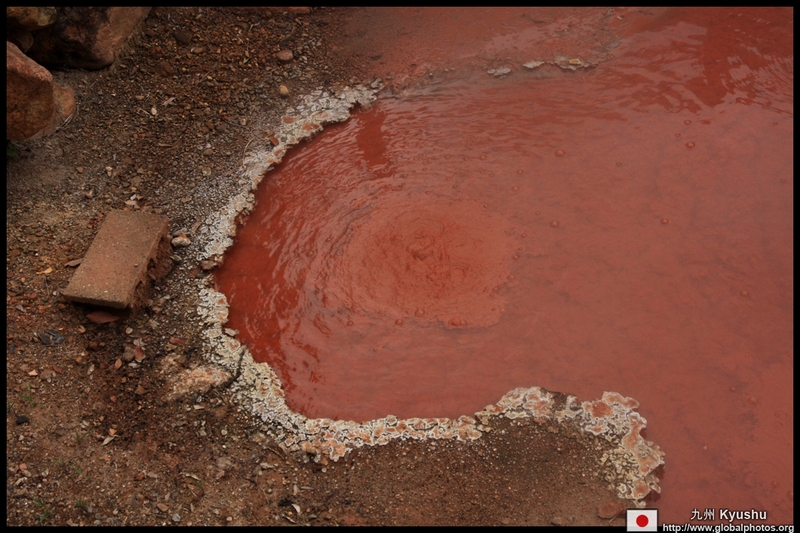 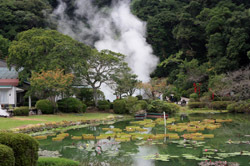 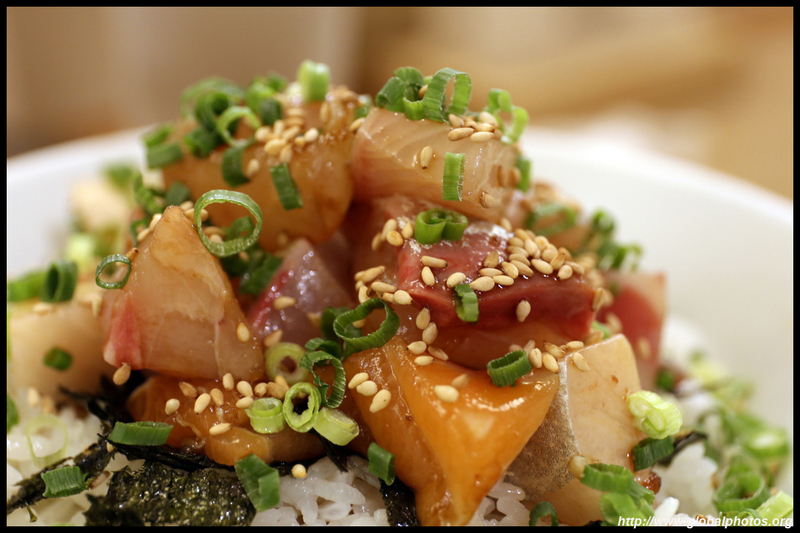 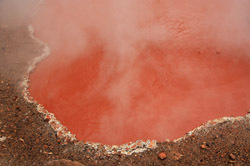 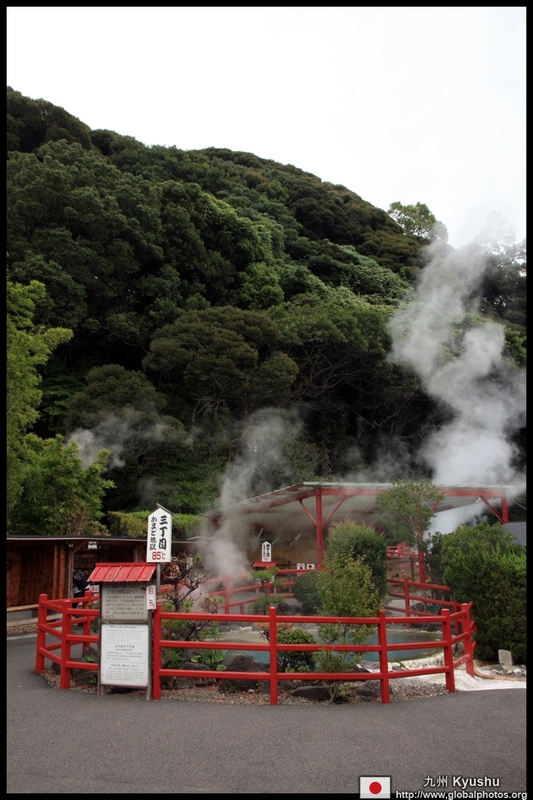 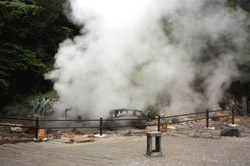 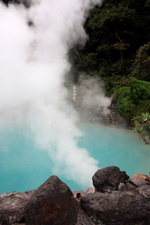 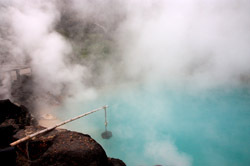 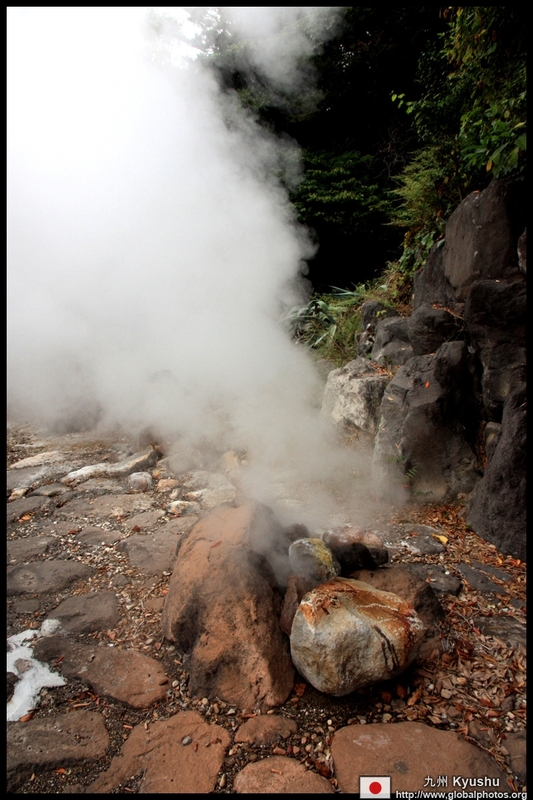 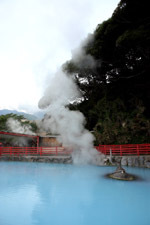 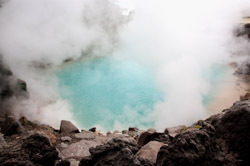 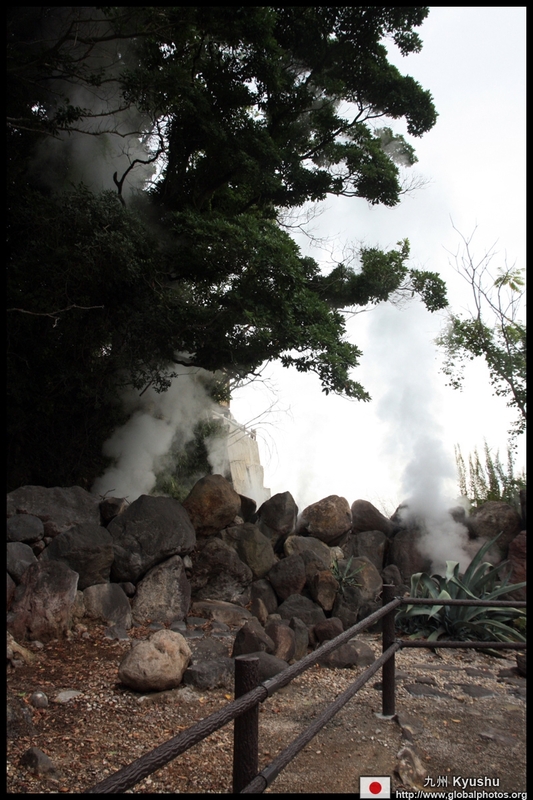 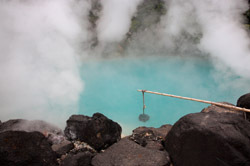 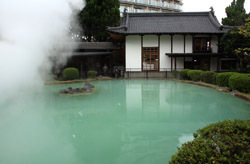 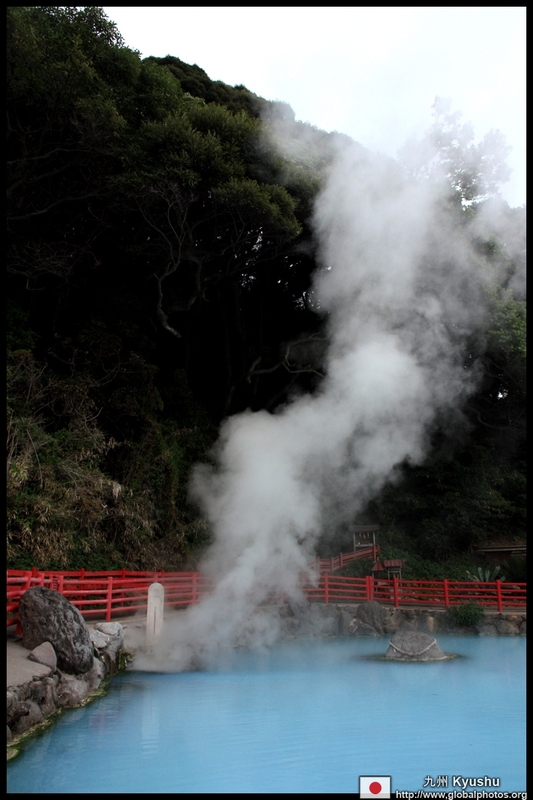 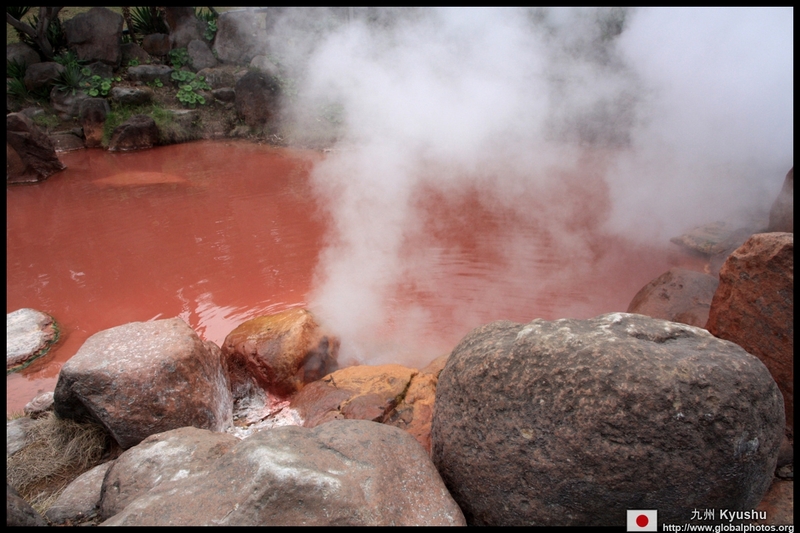 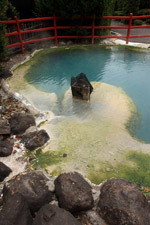 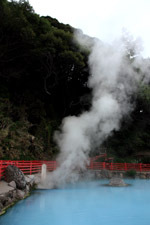 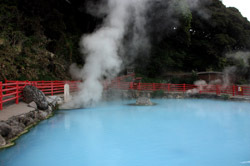 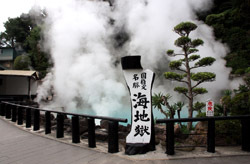 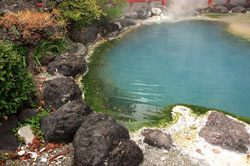 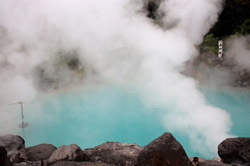 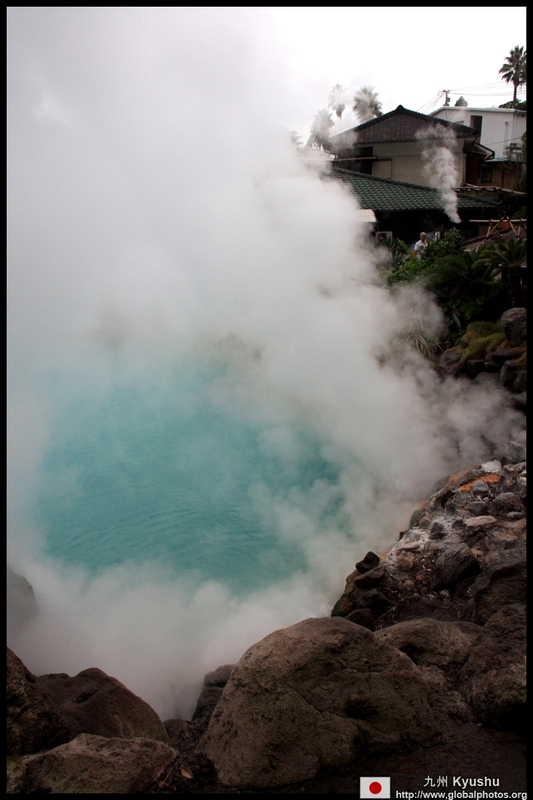 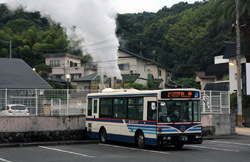 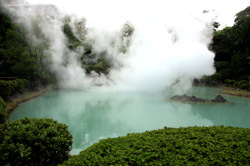 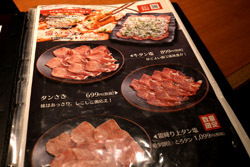 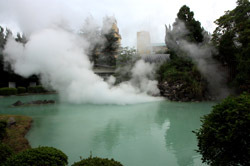 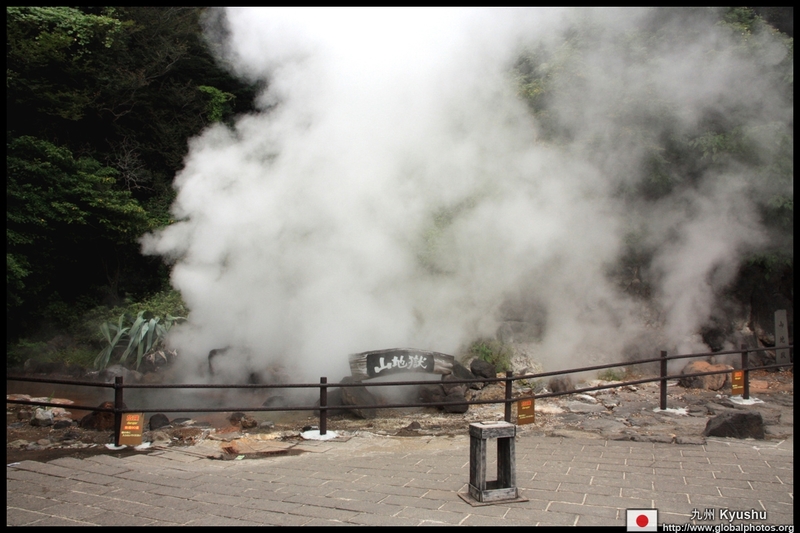 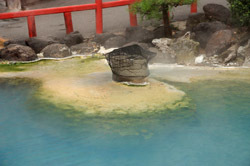 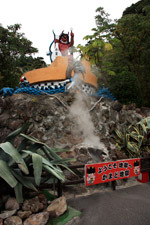 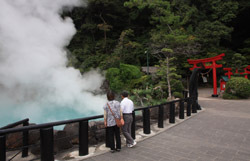 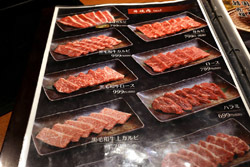 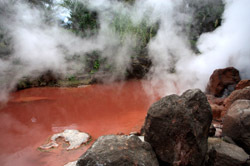 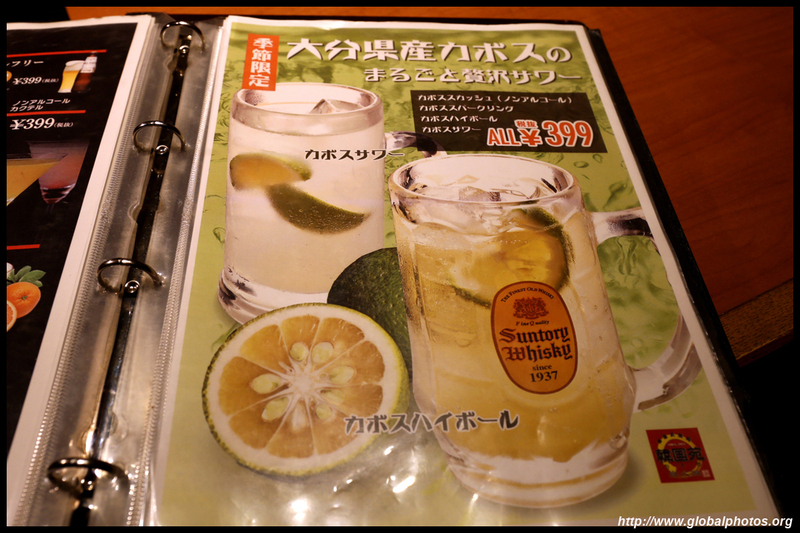 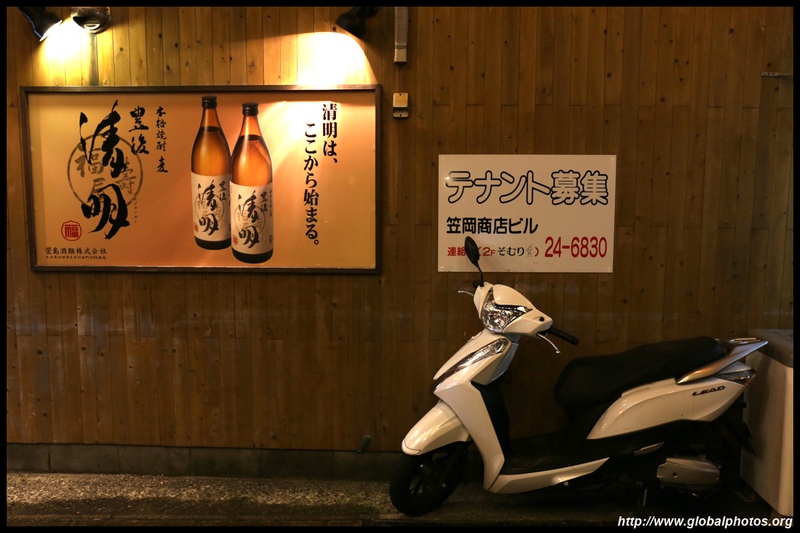 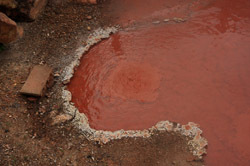 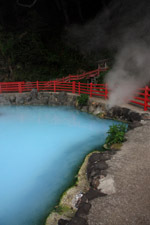 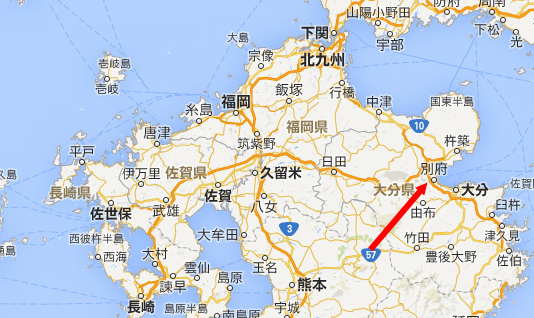 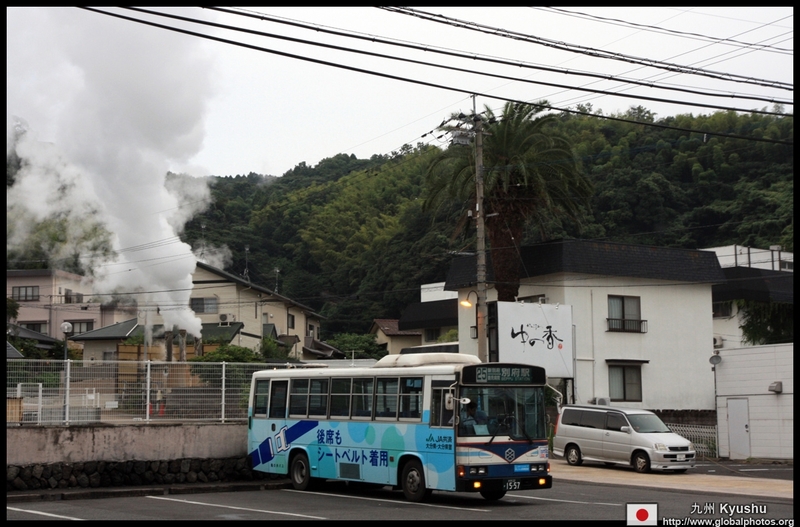 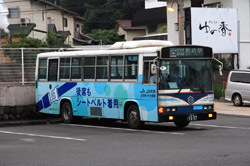 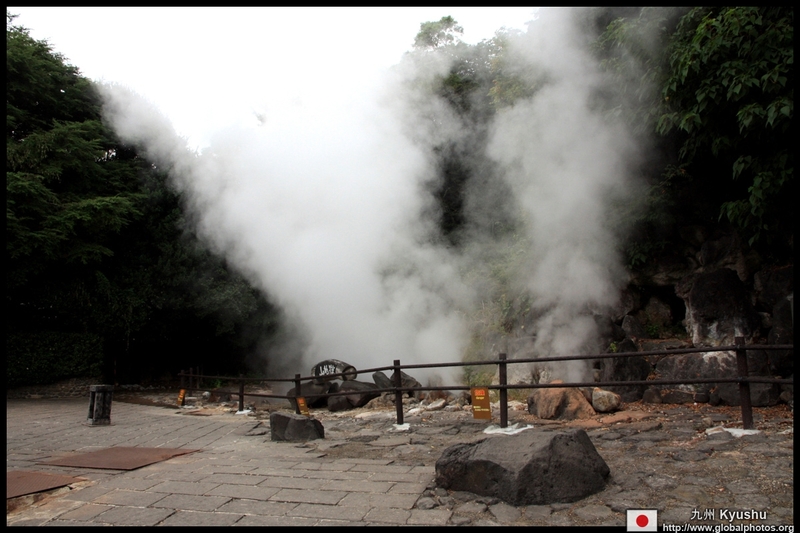 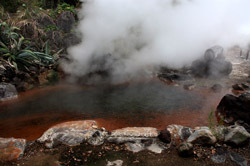 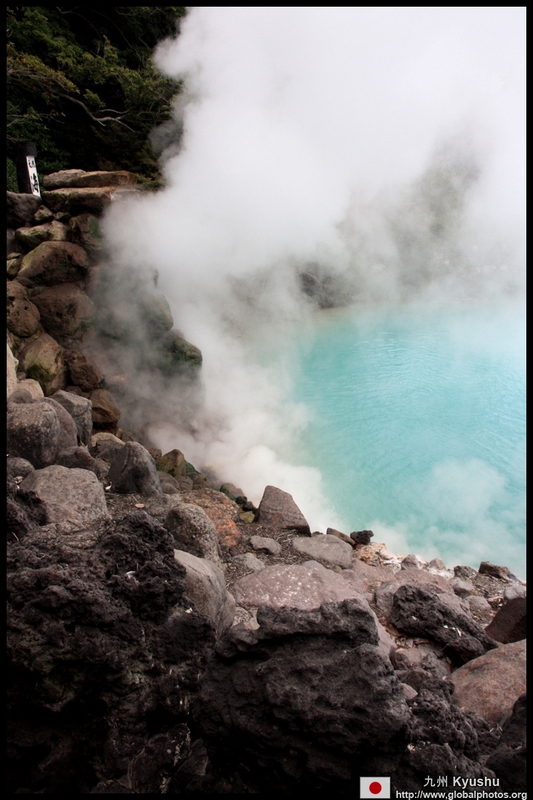 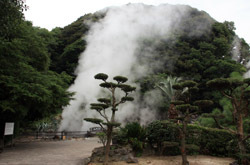 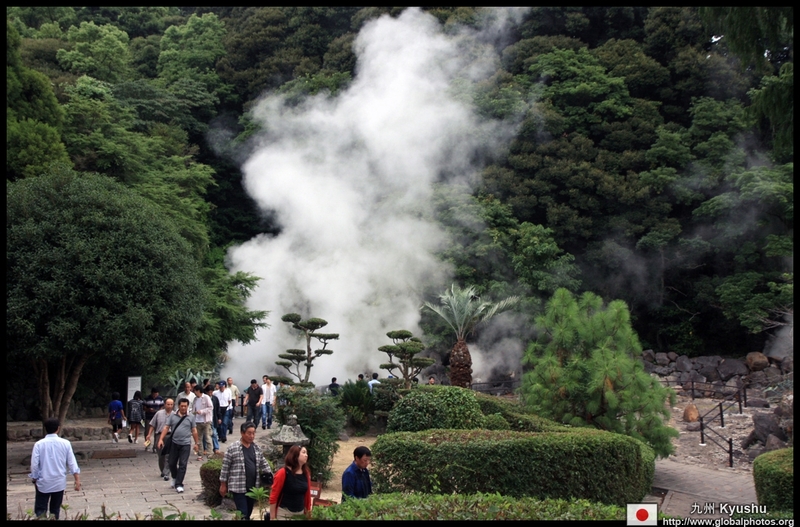 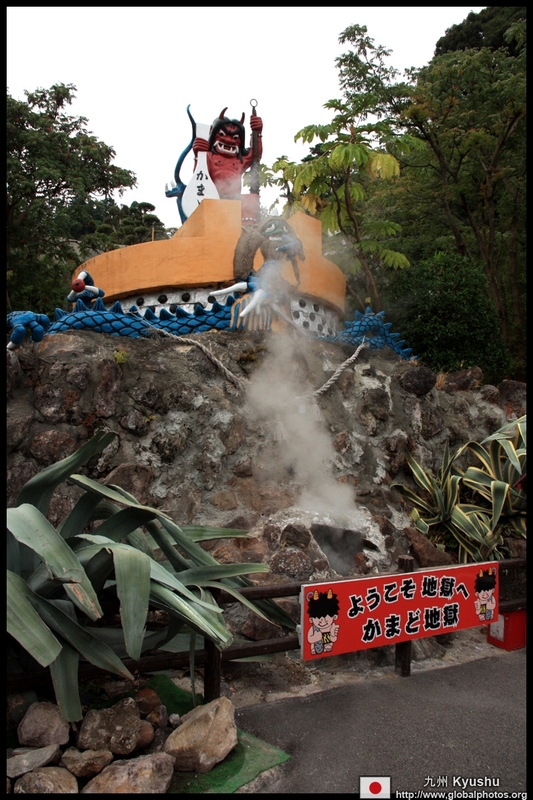 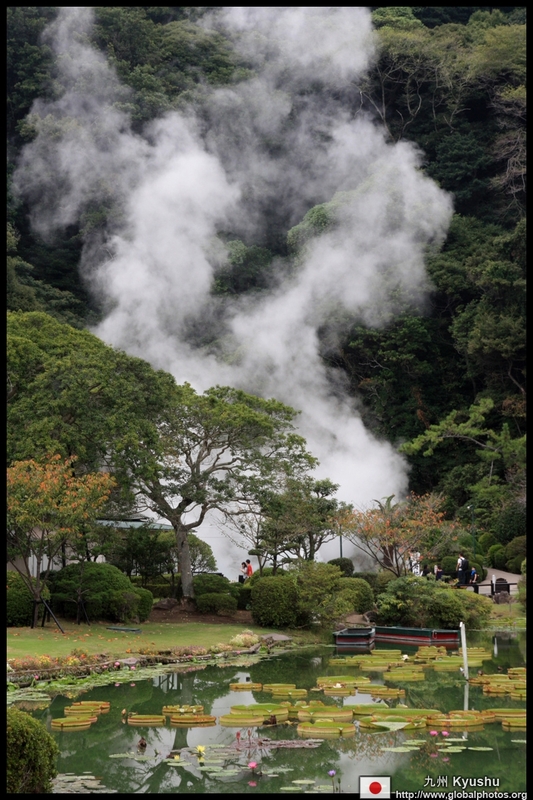 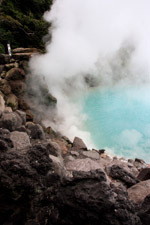 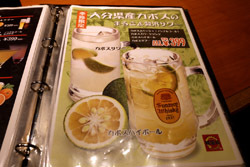 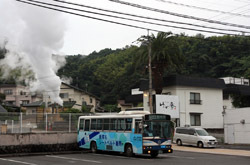 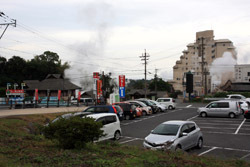 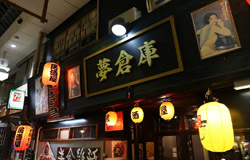 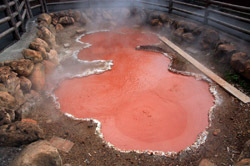 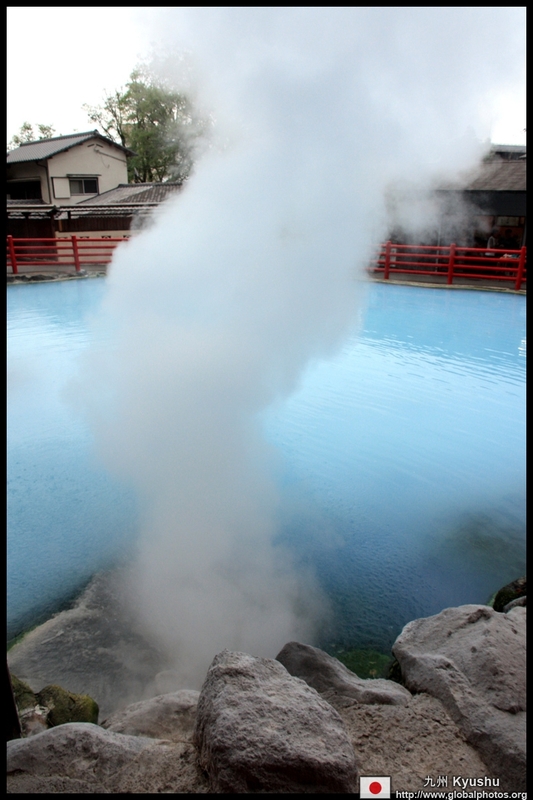 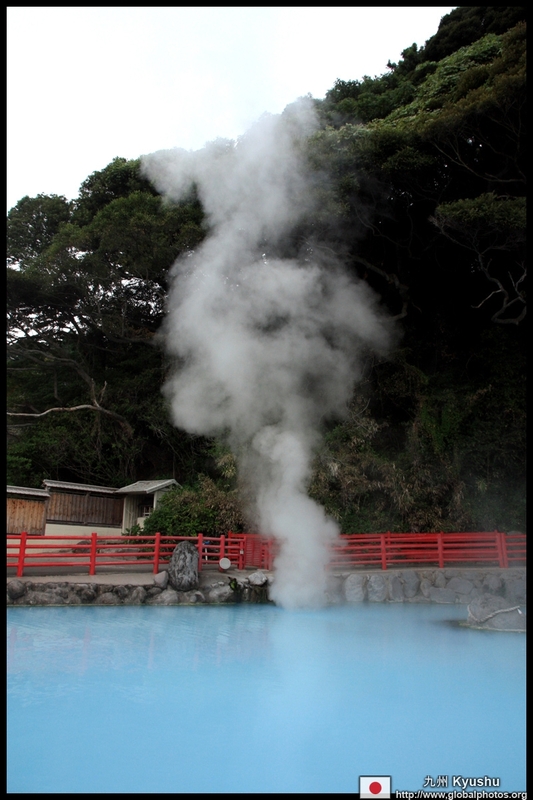 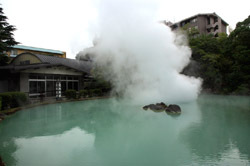 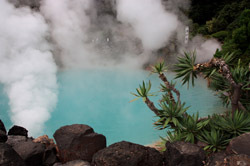 Beppu is famous for its "hells". 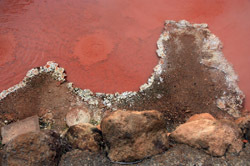 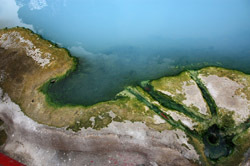 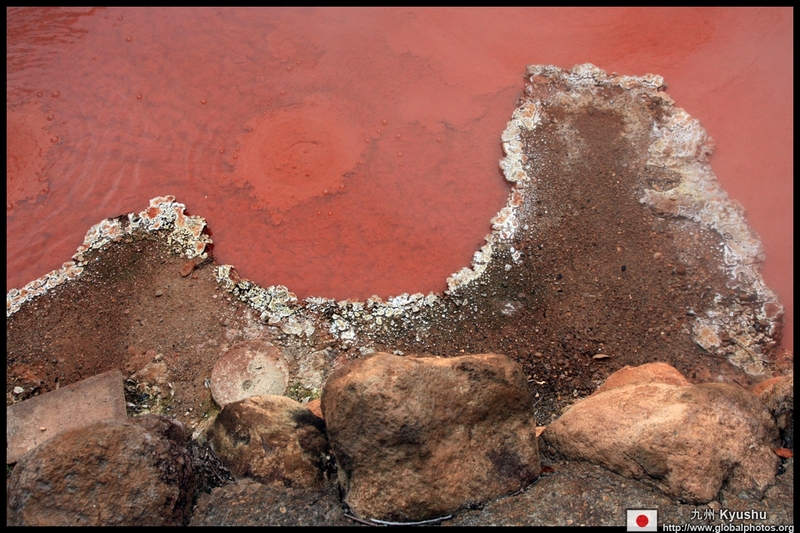 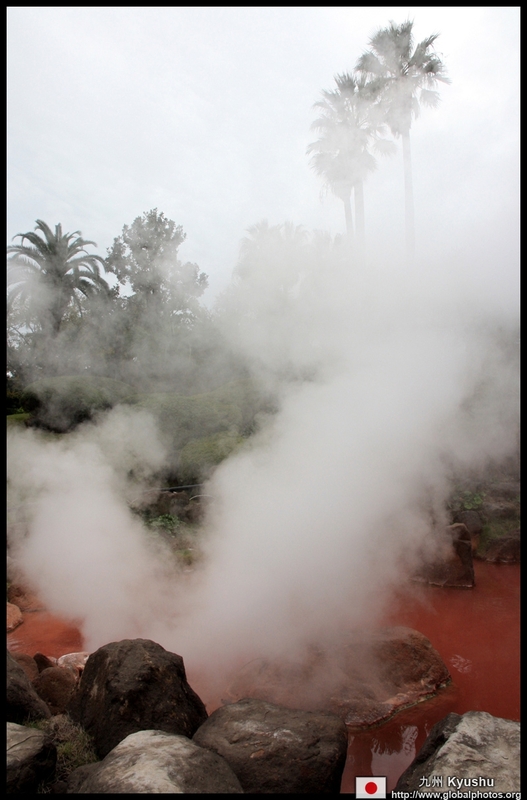 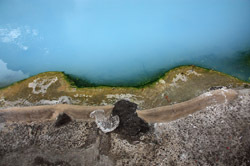 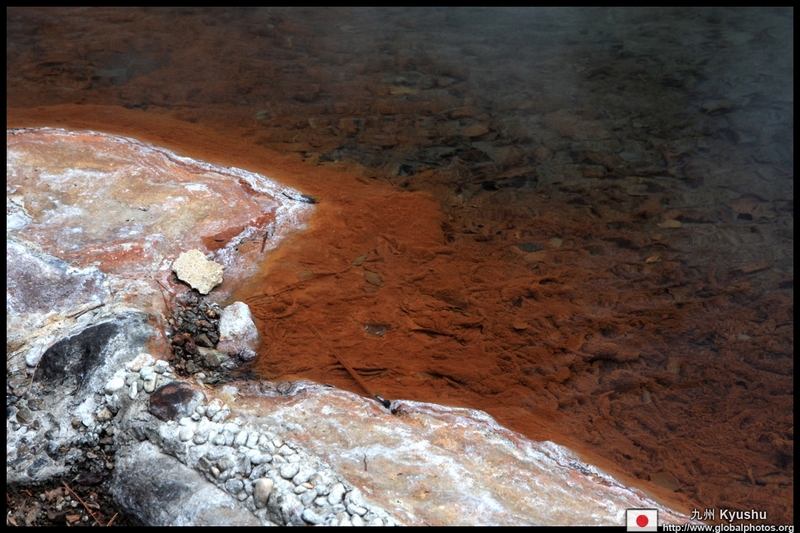 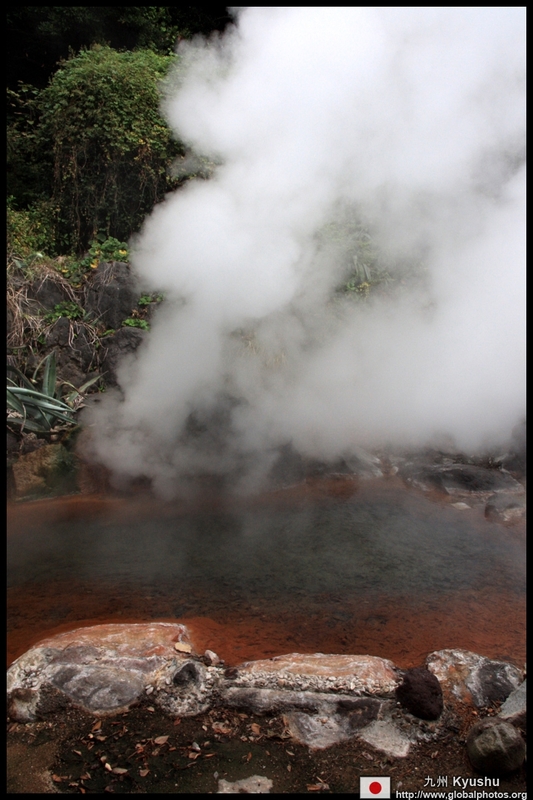 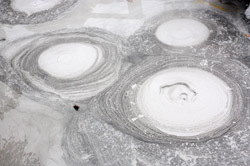 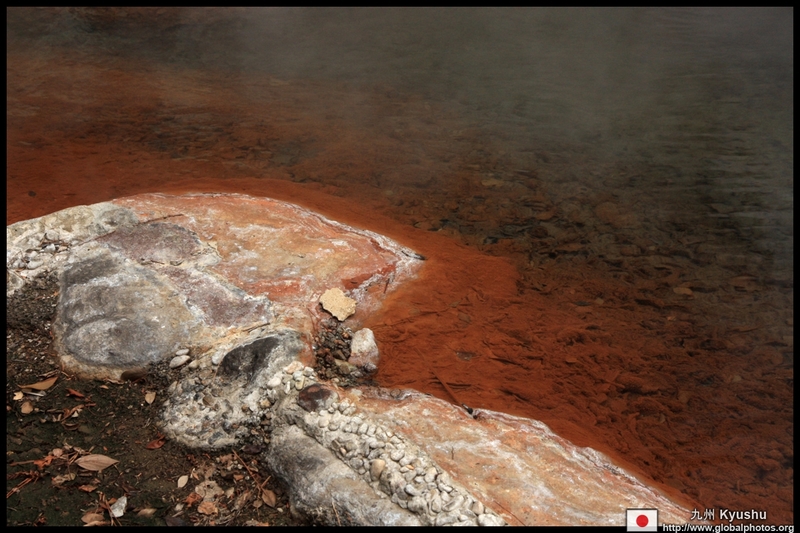 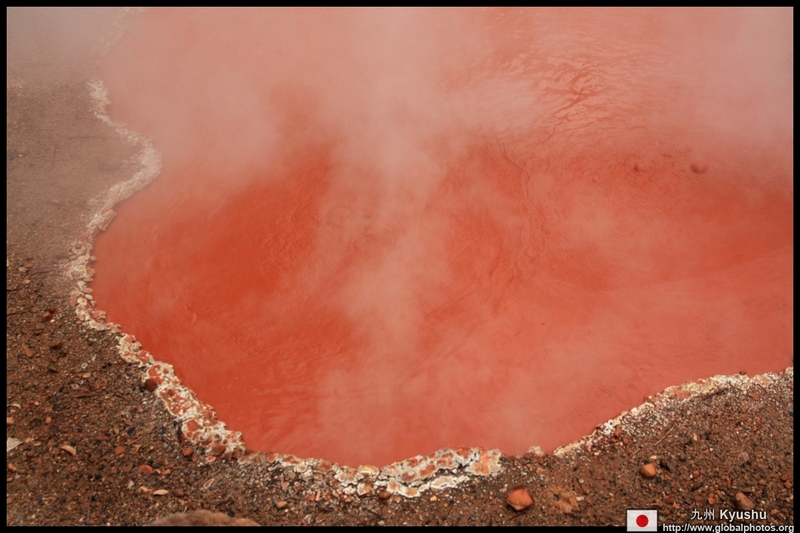 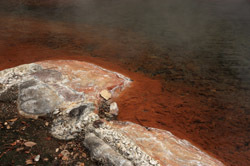 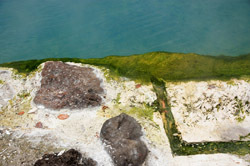 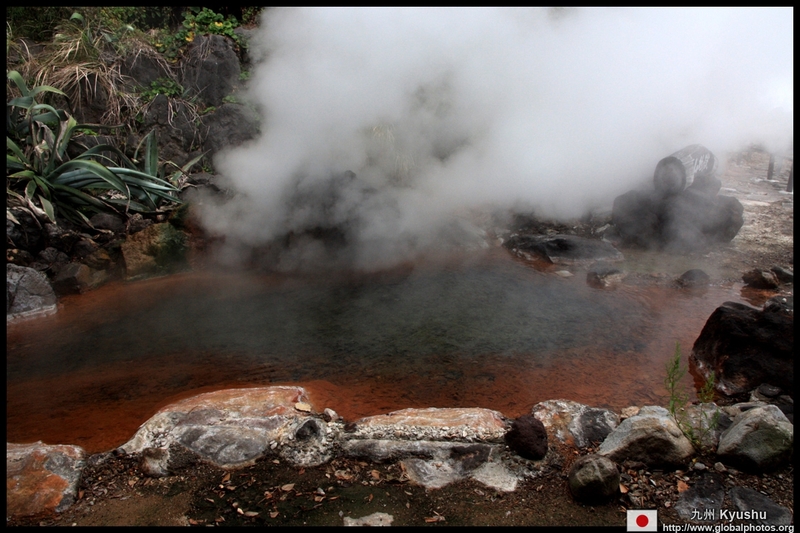 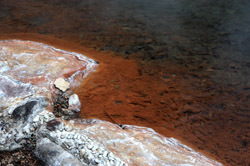 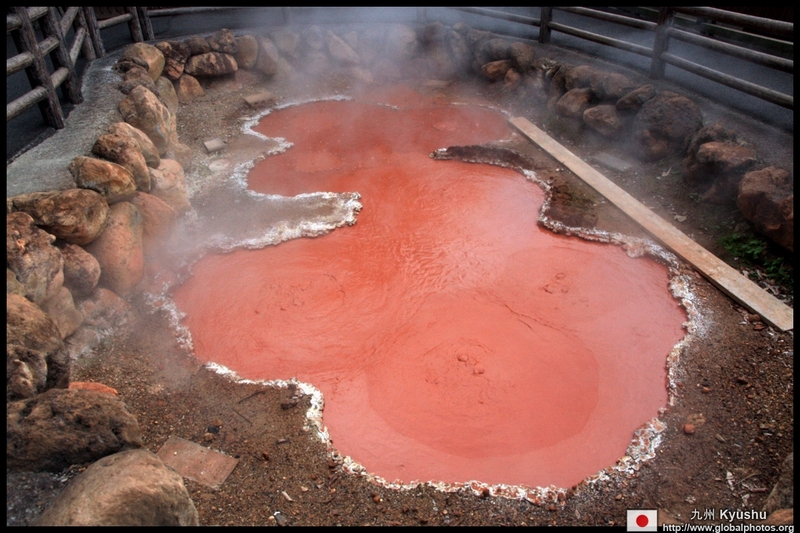 These are natural hot springs that portray images of hell. 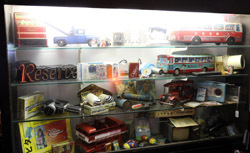 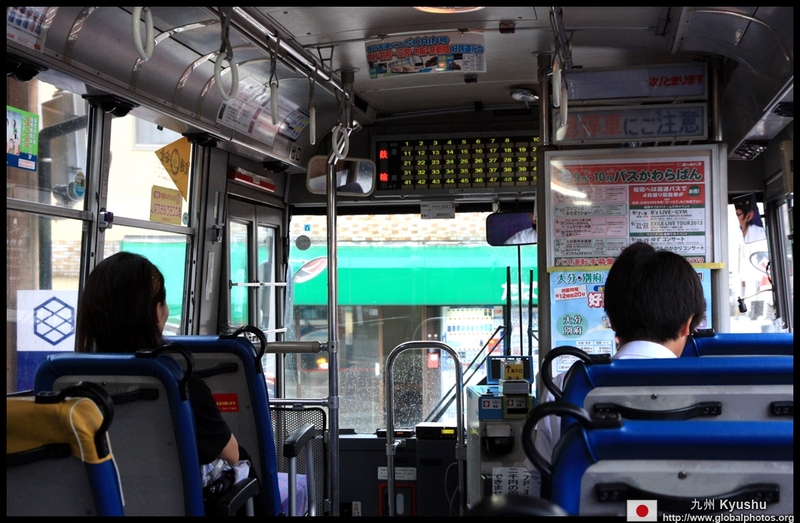 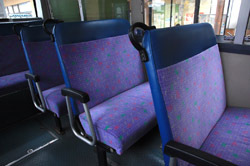 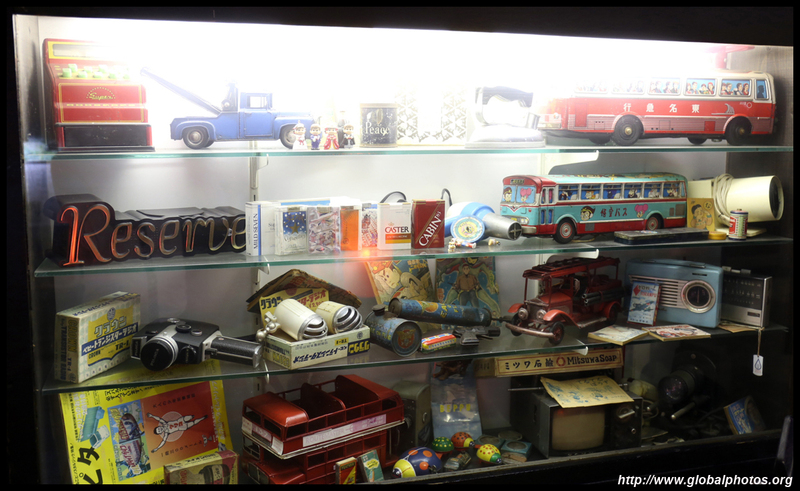 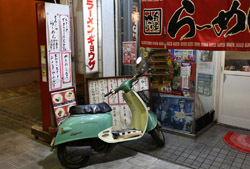 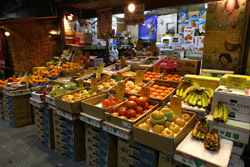 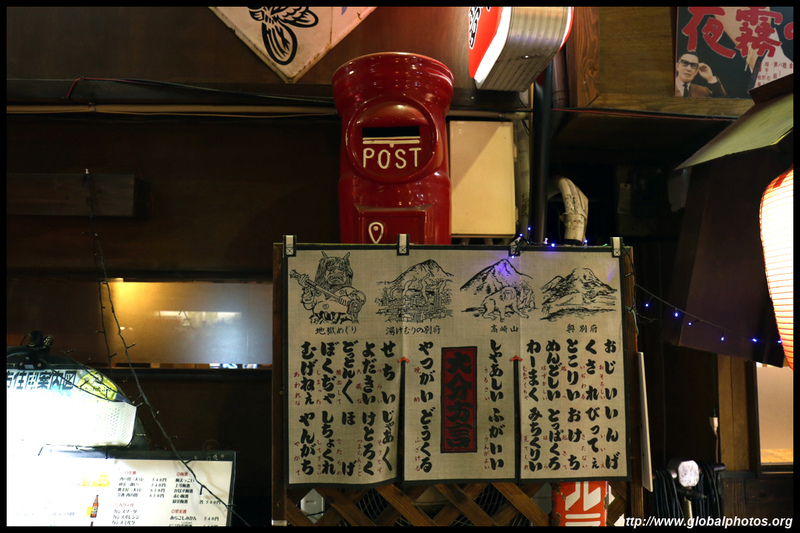 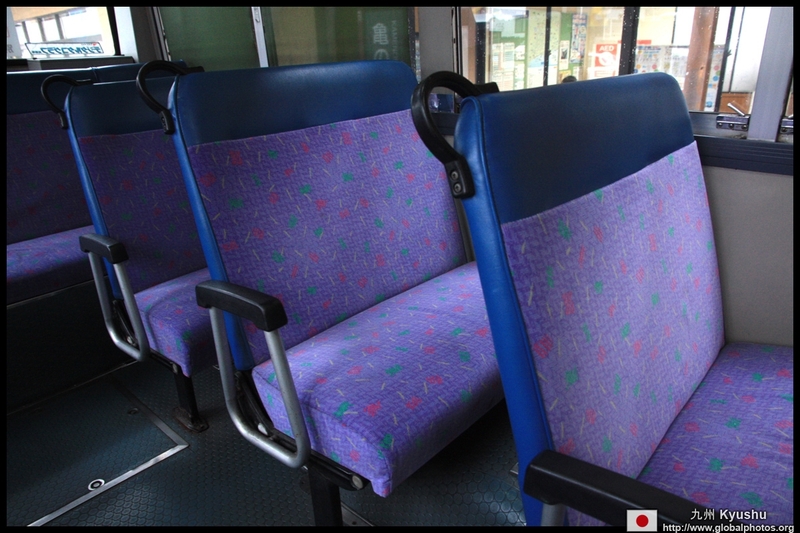 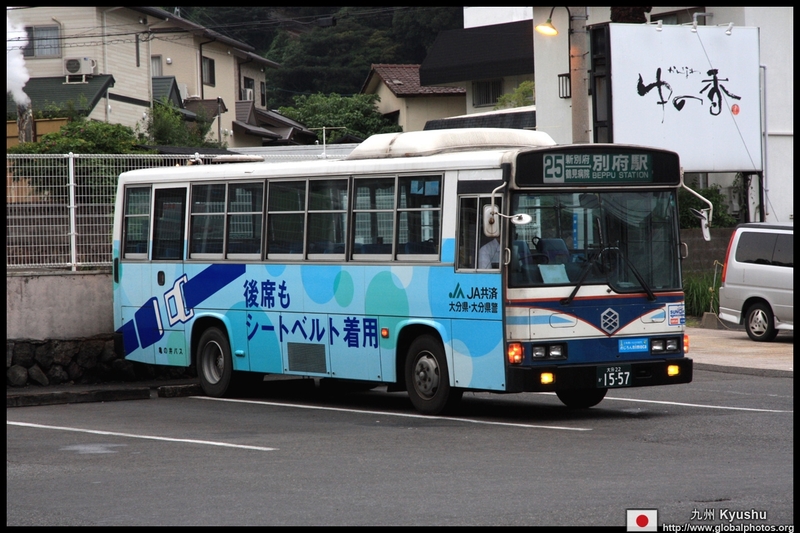 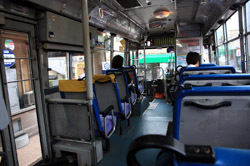 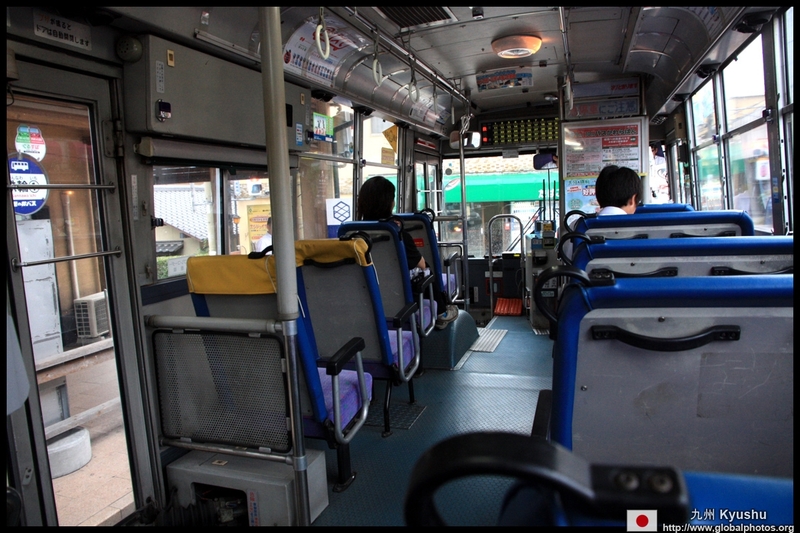 A package ticket is available to enter all 8 sights for 2000 yen. 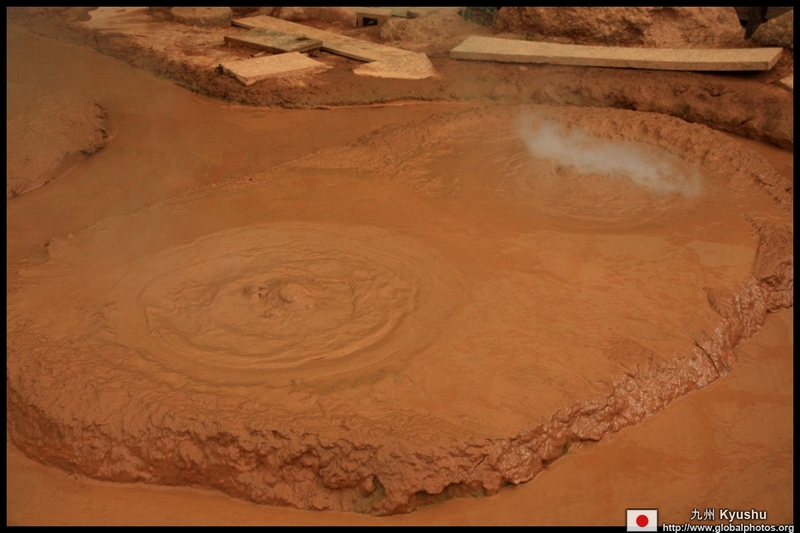 The 8 hells are scattered across 2 main locations. 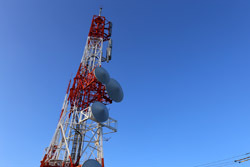 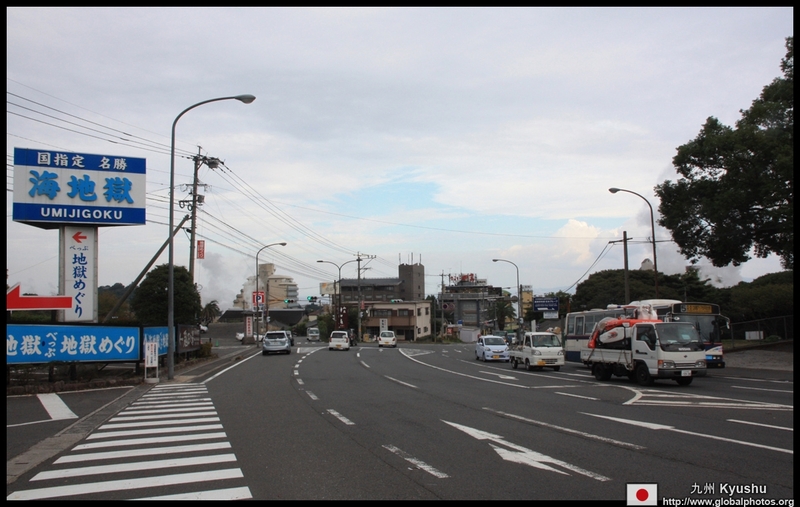 With limited time, I visited the below cluster, which are a 20-minute bus ride away from the train station but within walking distance of each other. 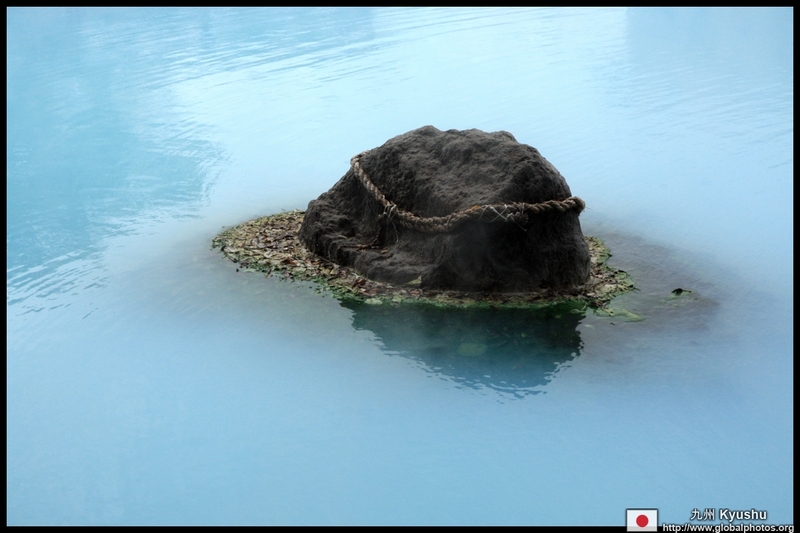 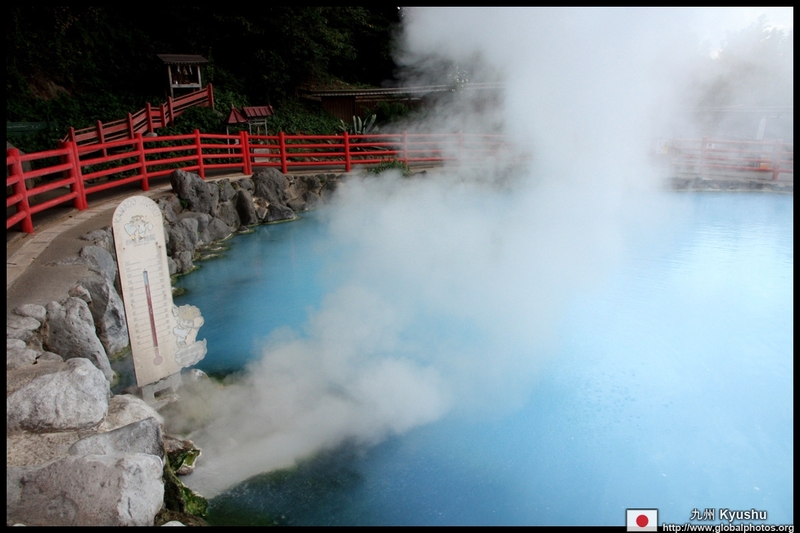 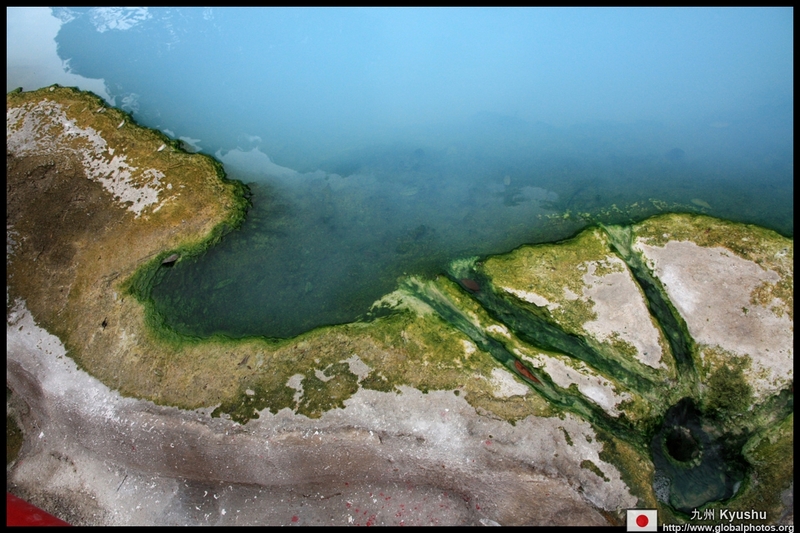 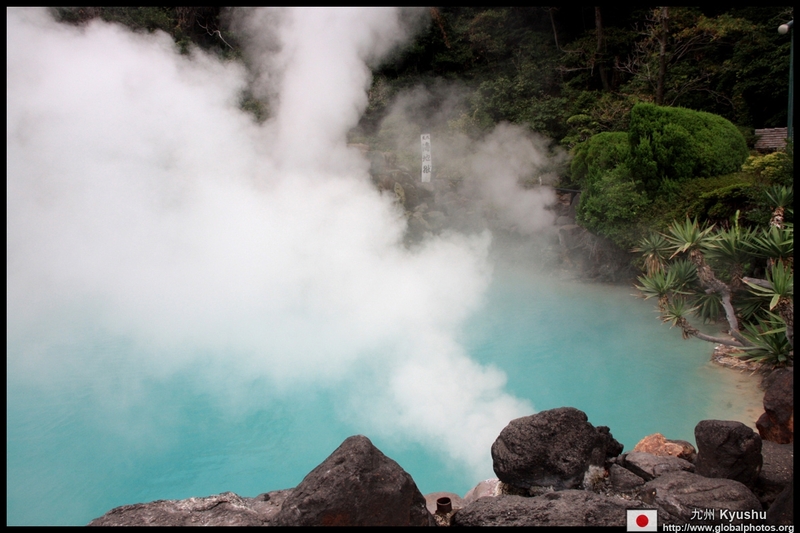 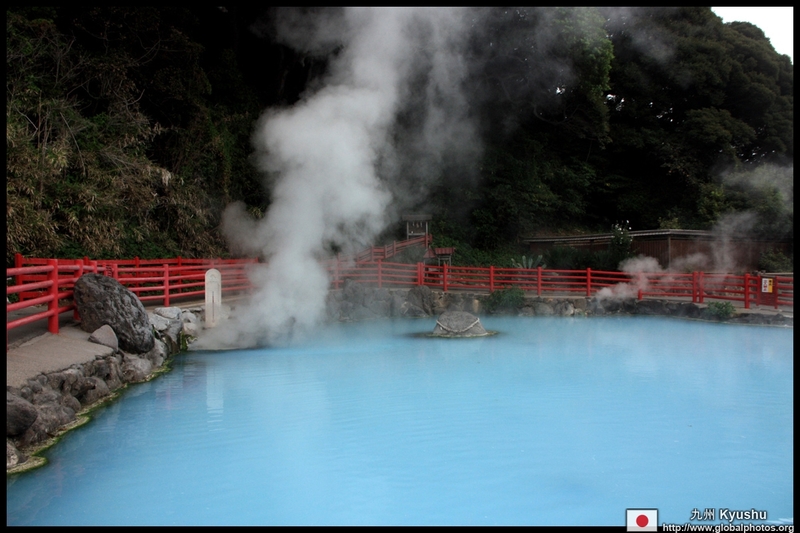 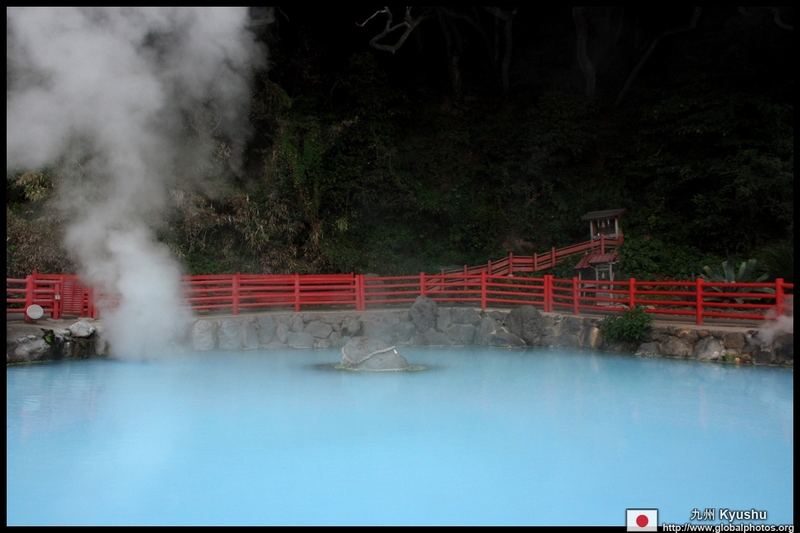 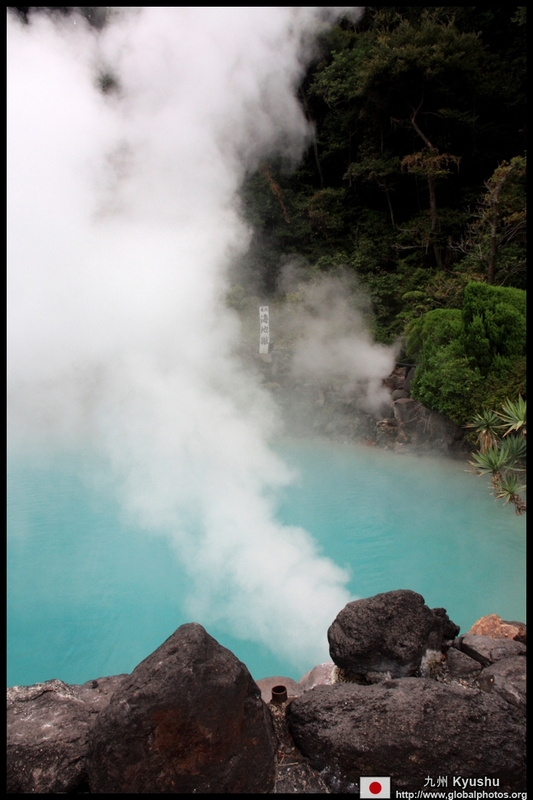 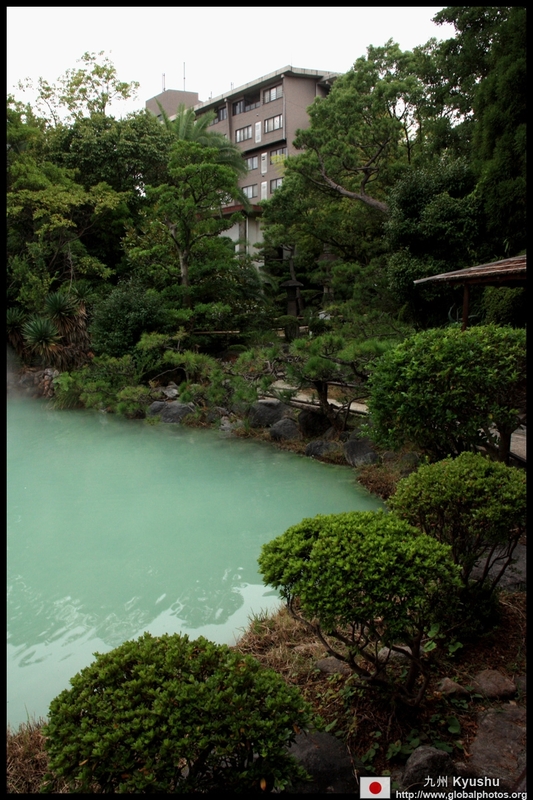 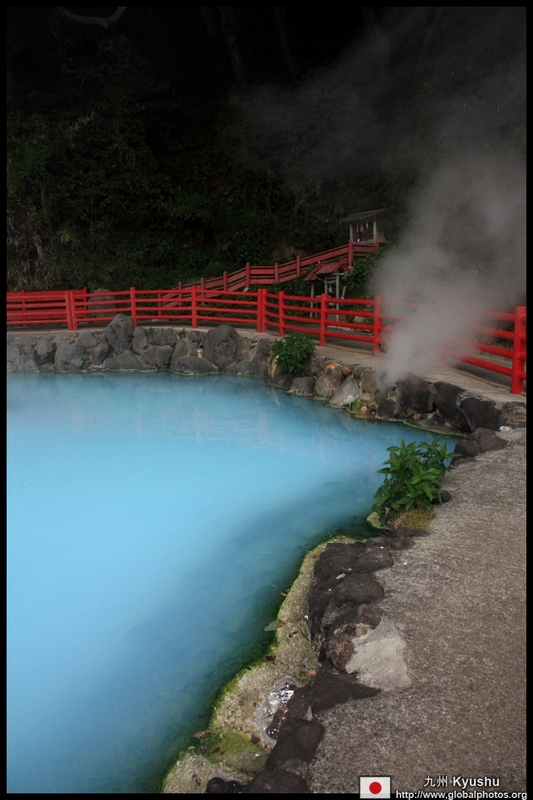 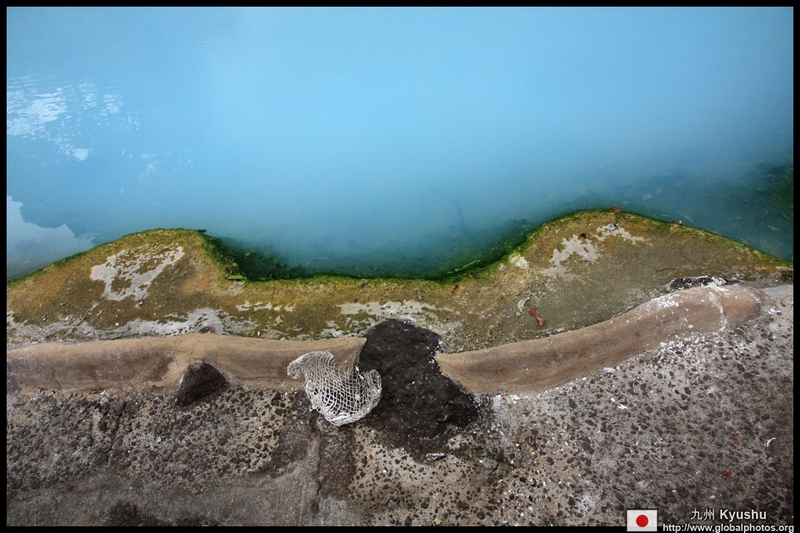 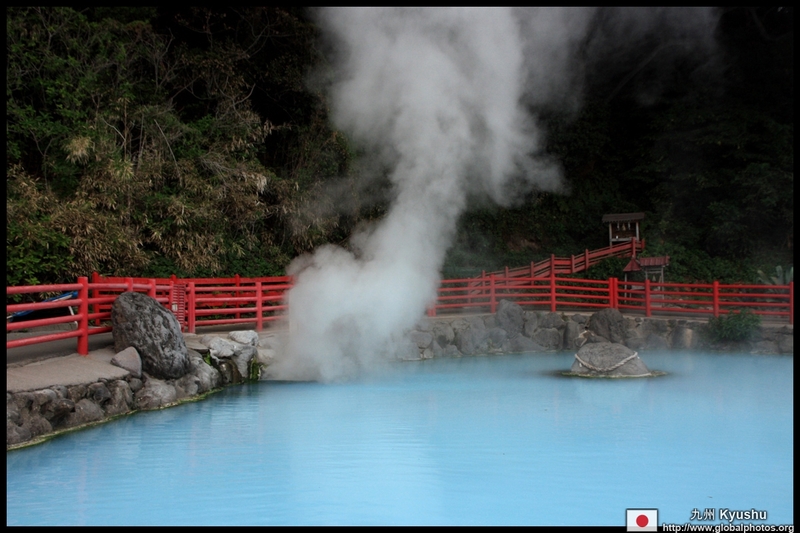 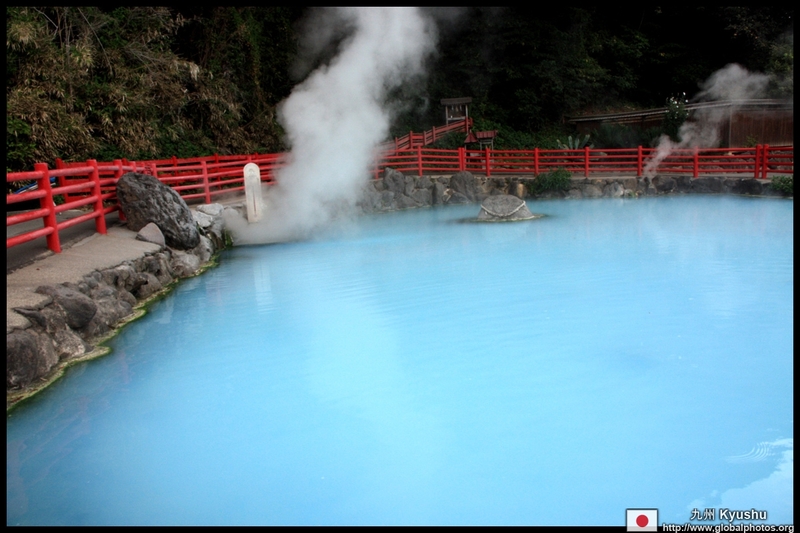 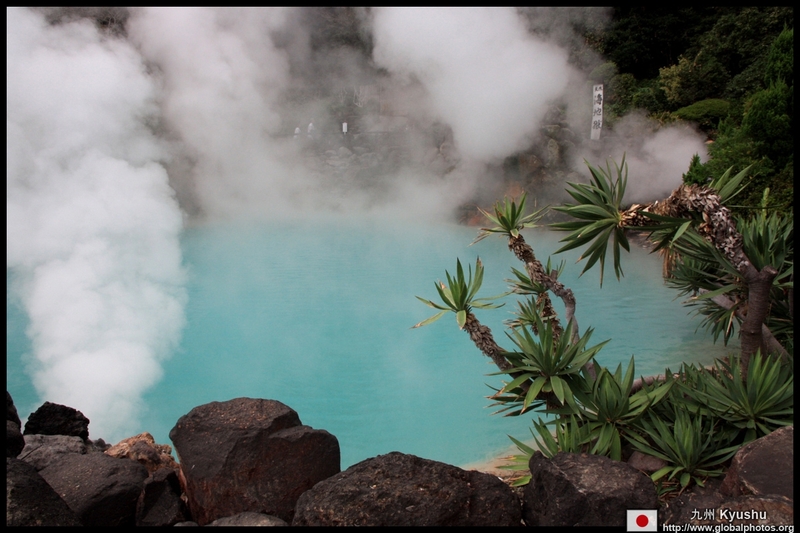 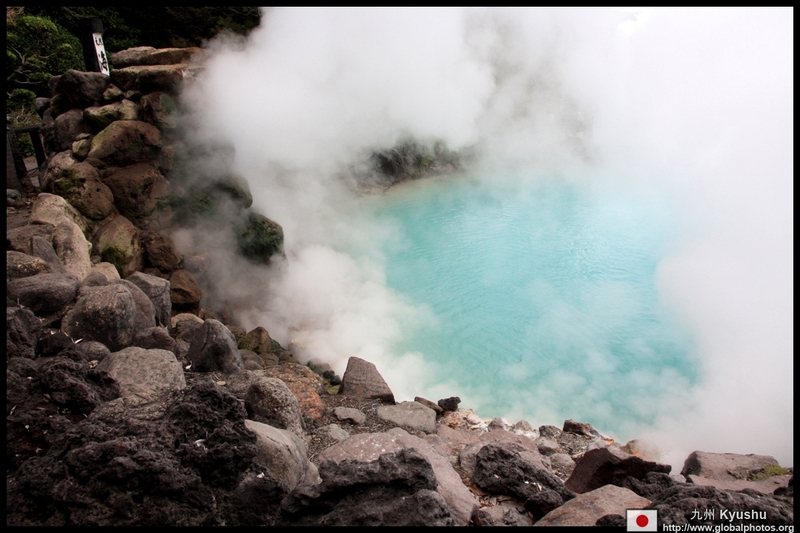 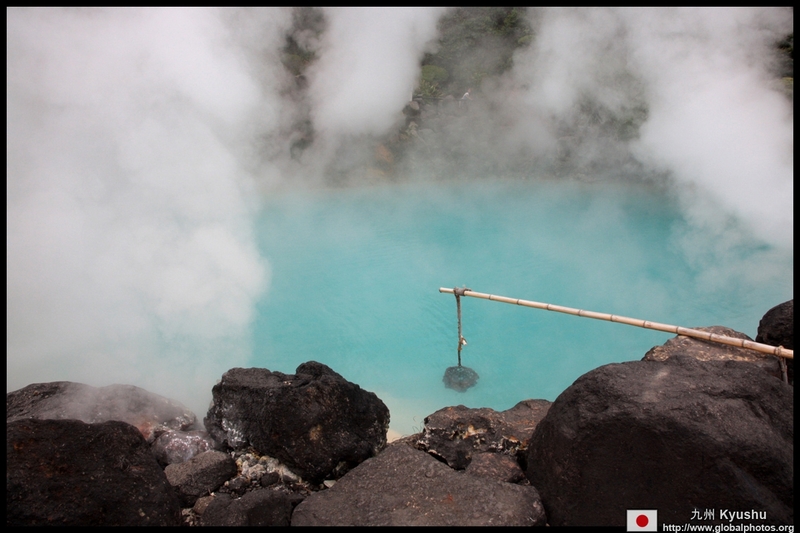 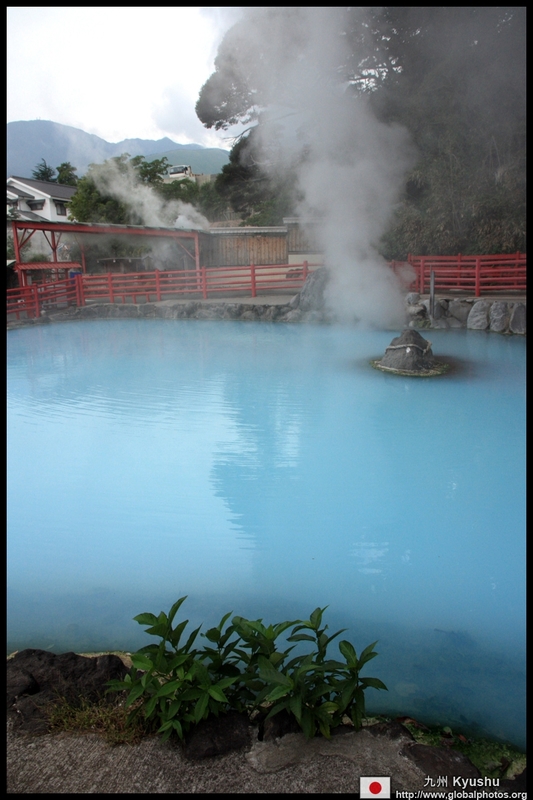 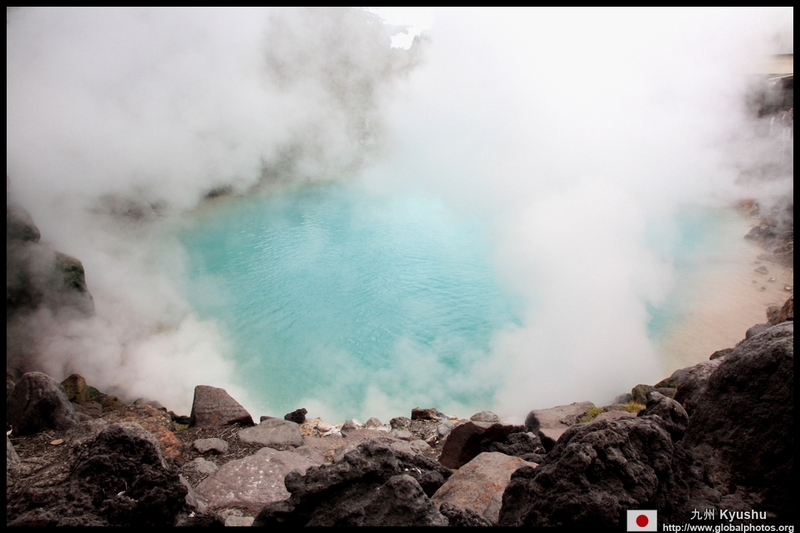 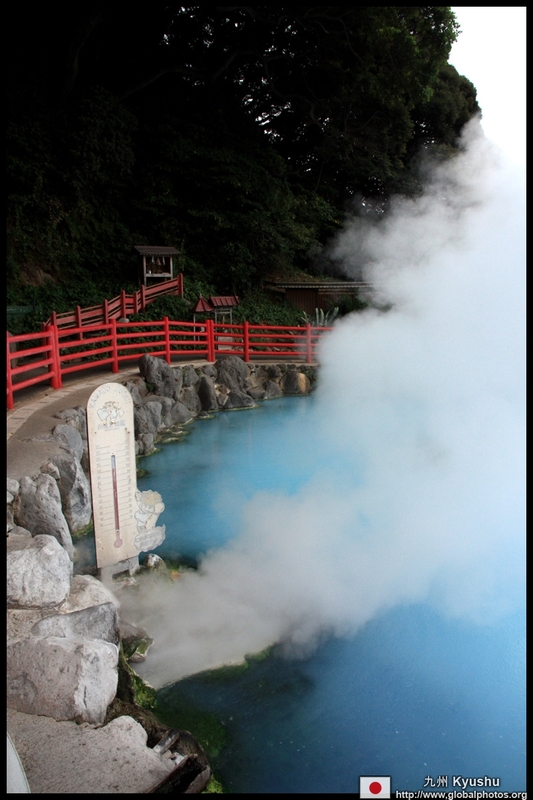 Umi-Jigoku is a 200m-deep cobalt-blue pond of boiling water created 1200 years ago due to a volcanic eruption. 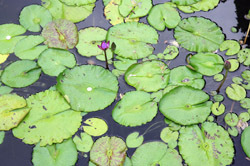 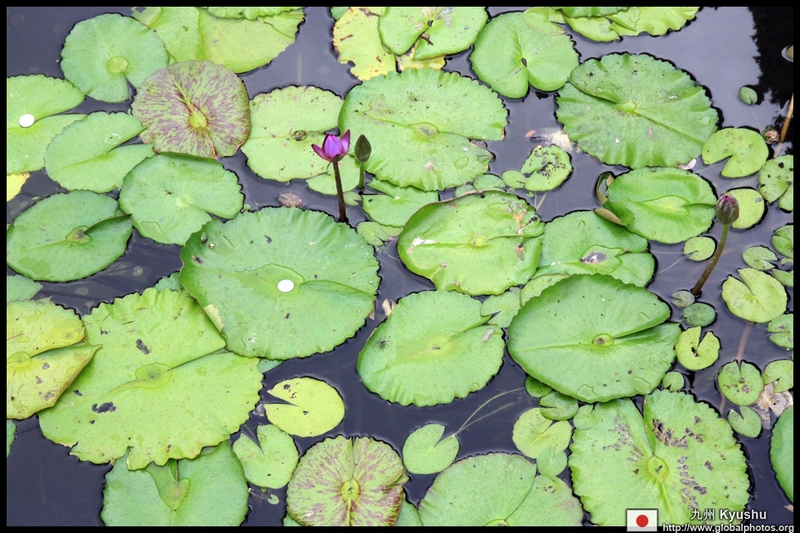 Even these flowers seem to survive in these hot waters. 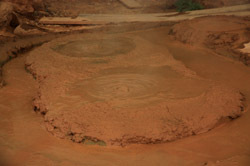 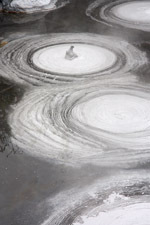 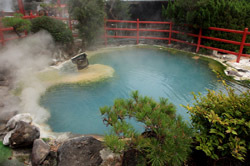 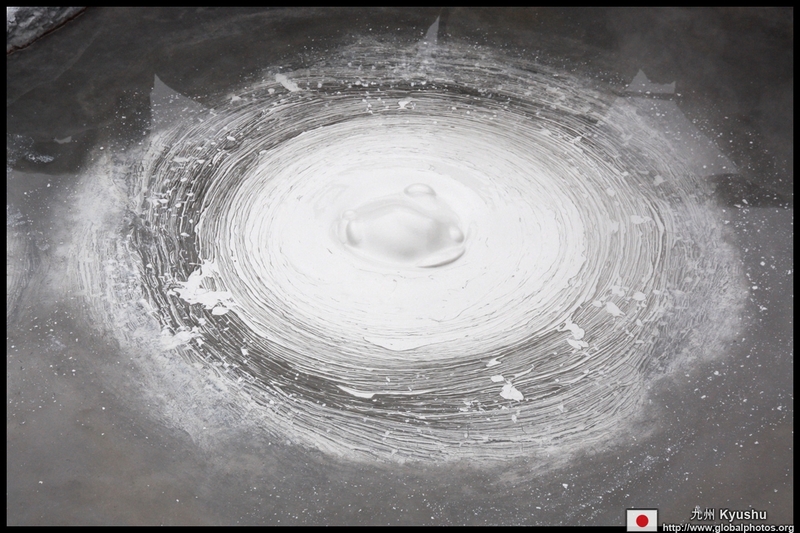 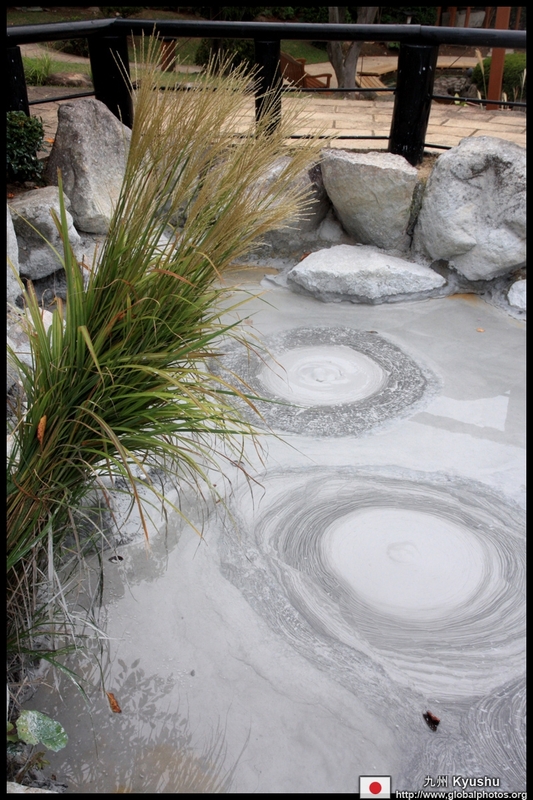 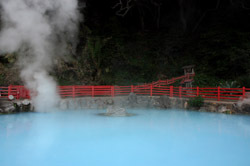 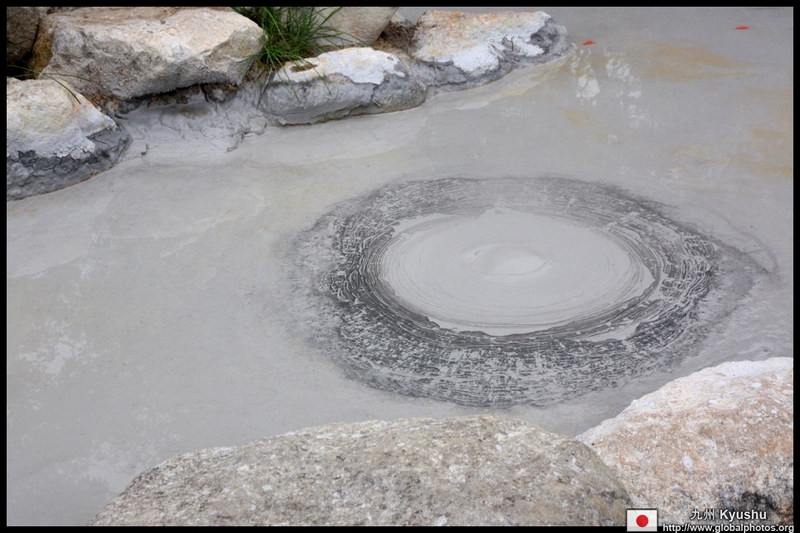 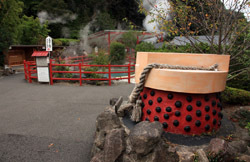 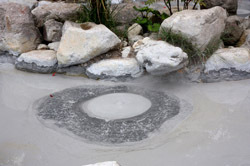 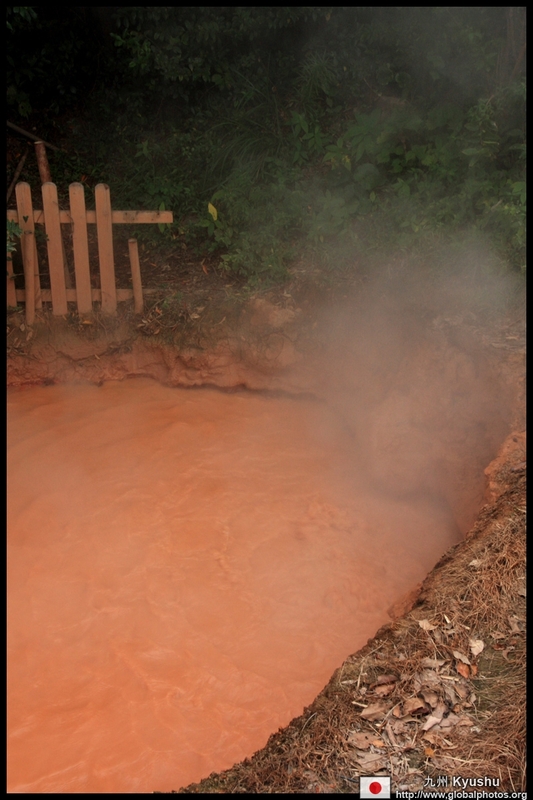 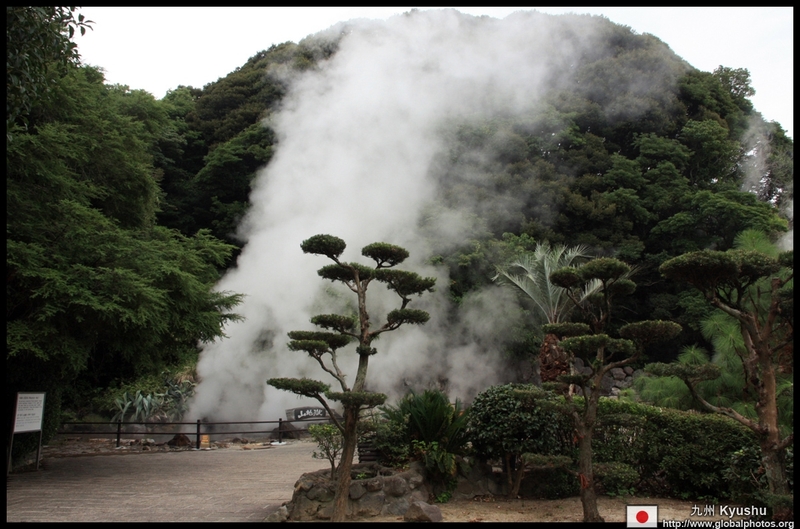 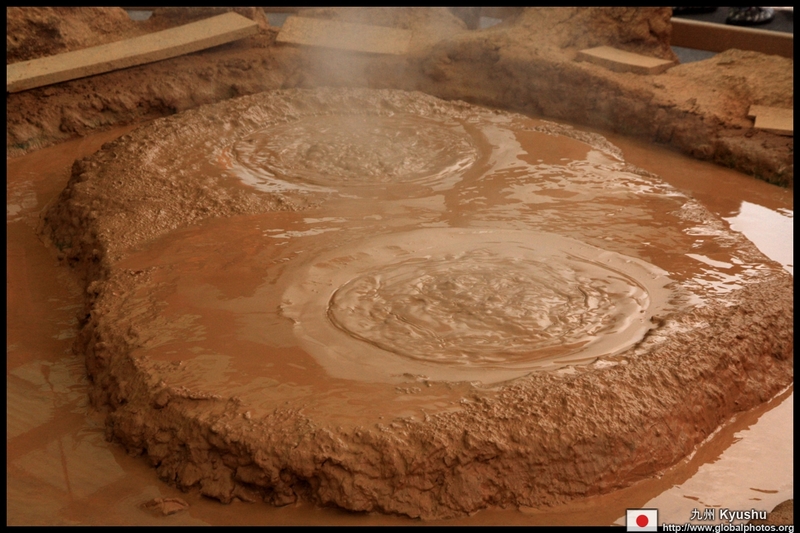 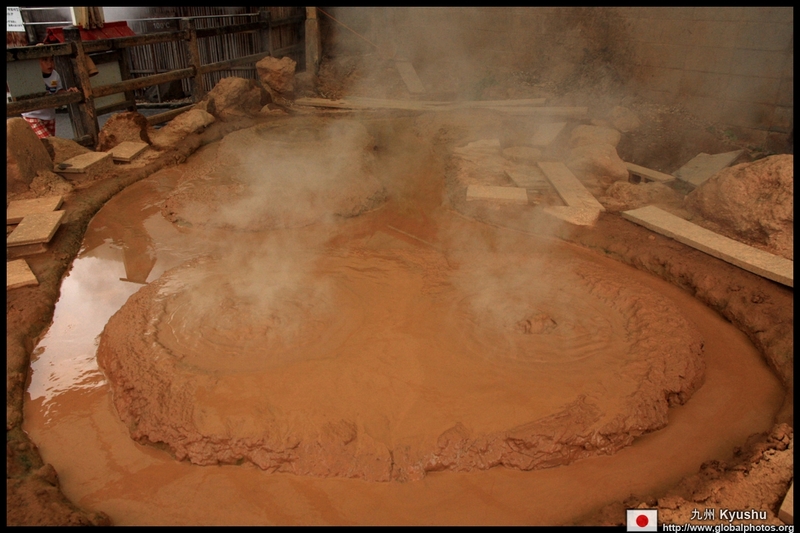 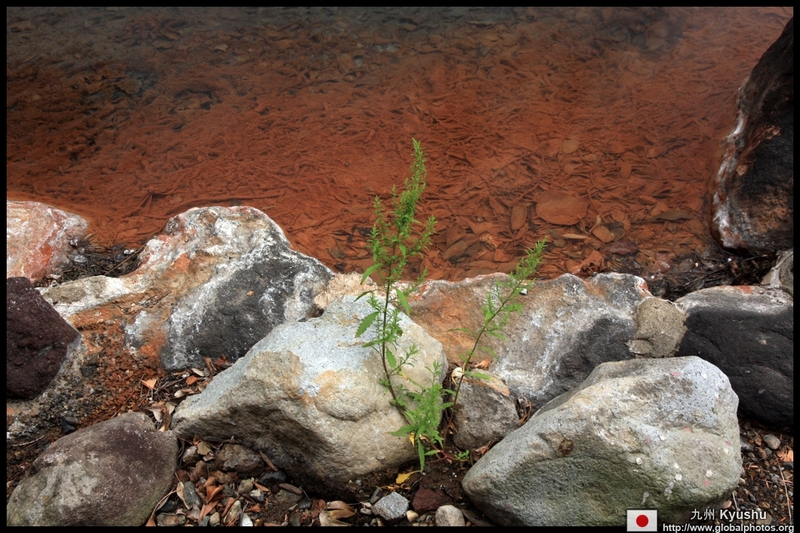 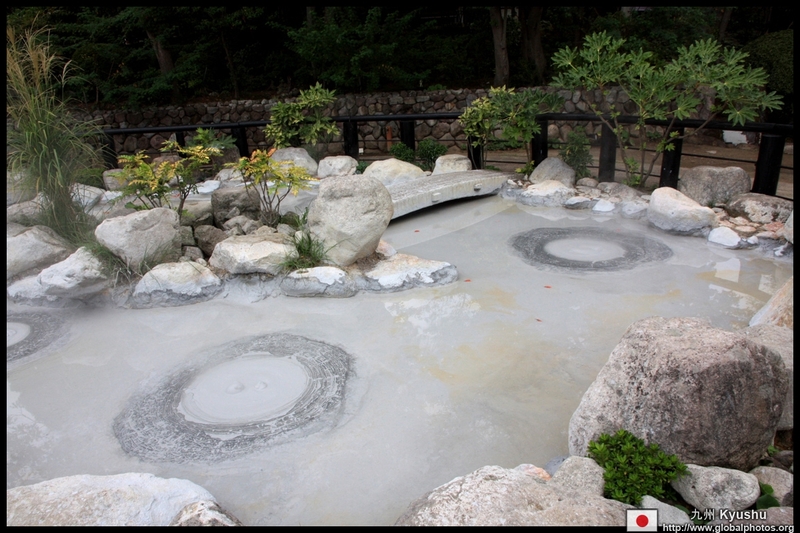 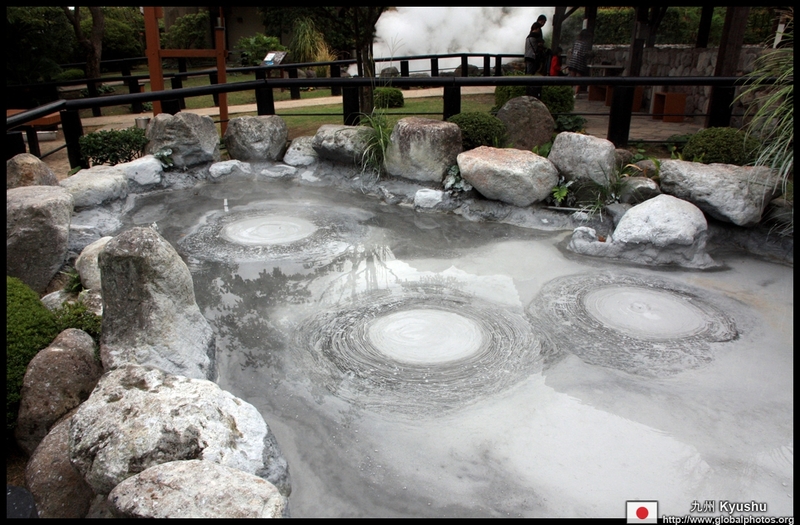 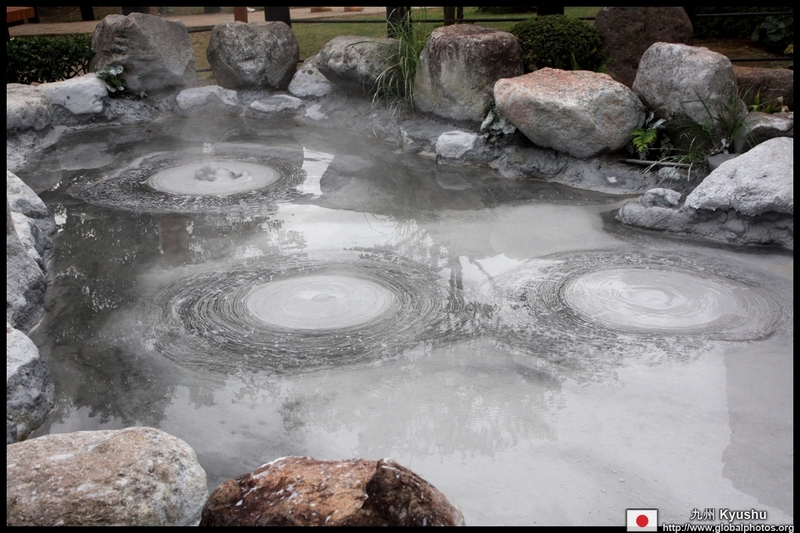 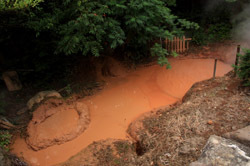 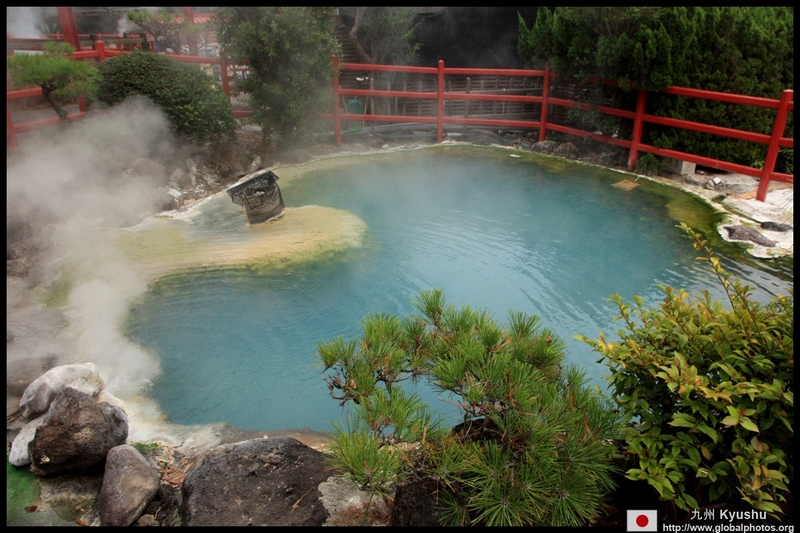 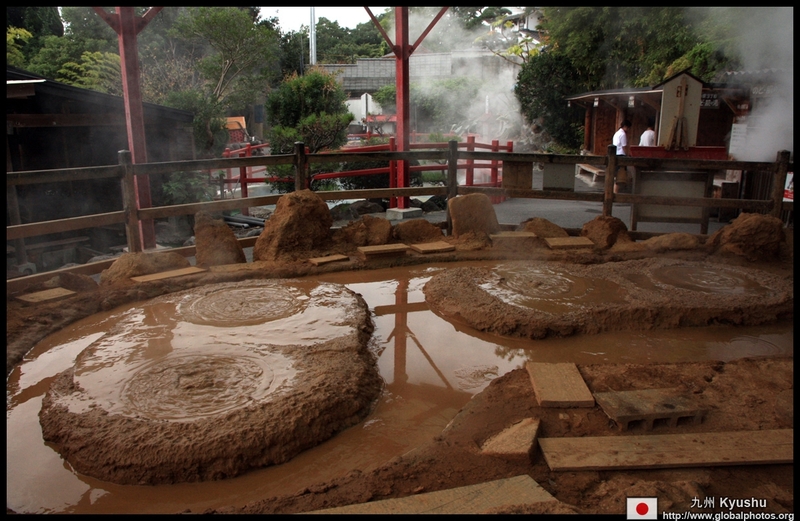 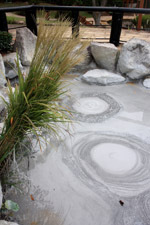 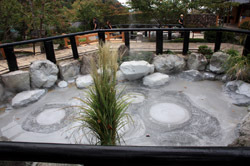 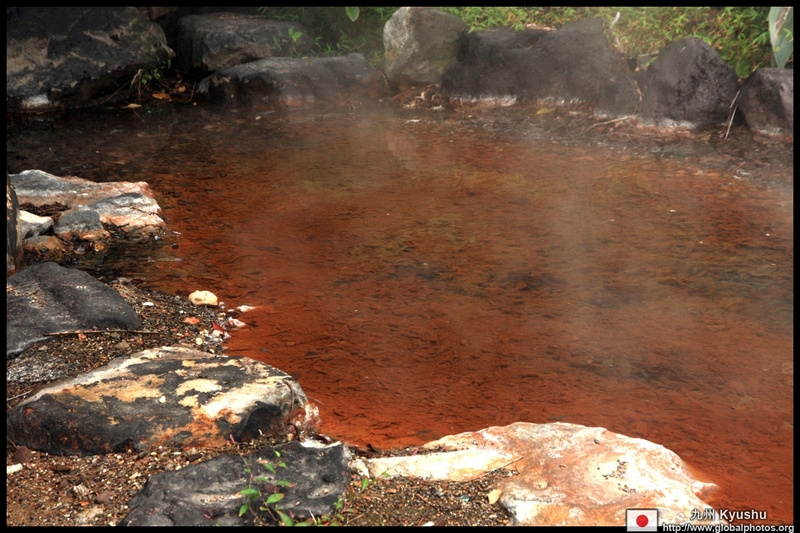 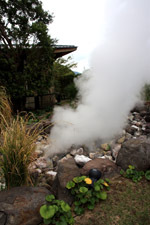 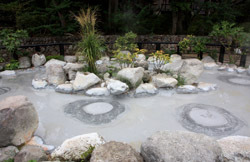 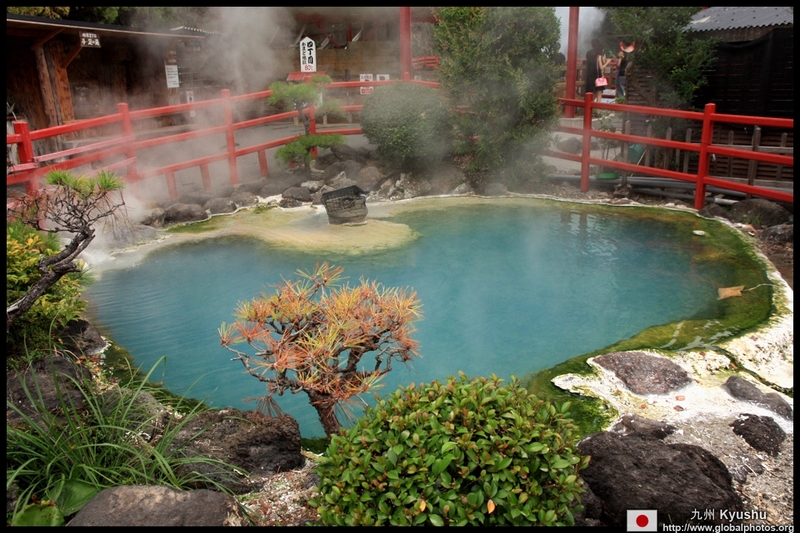 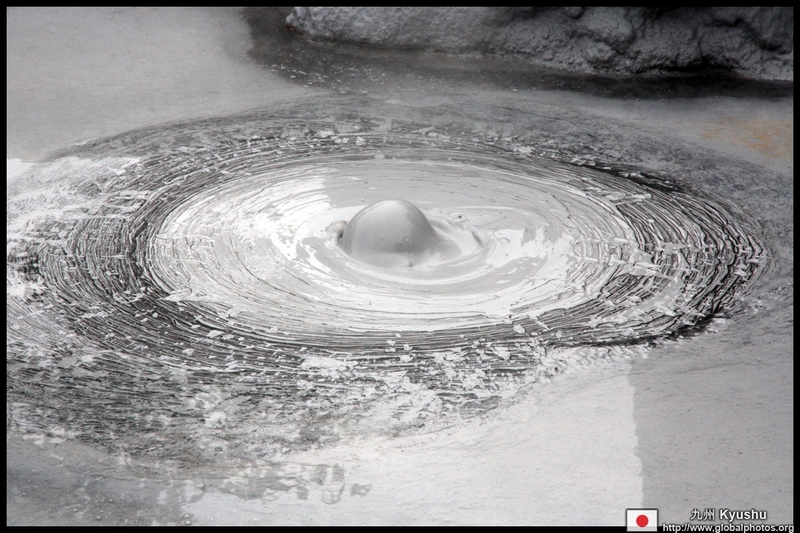 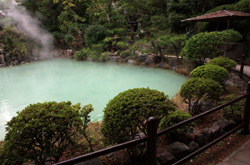 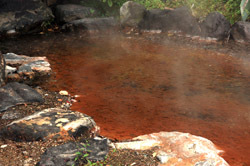 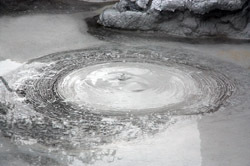 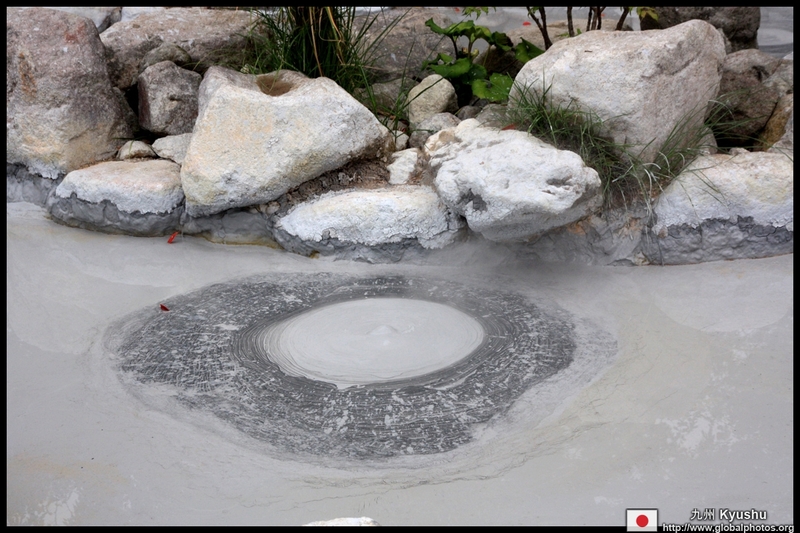 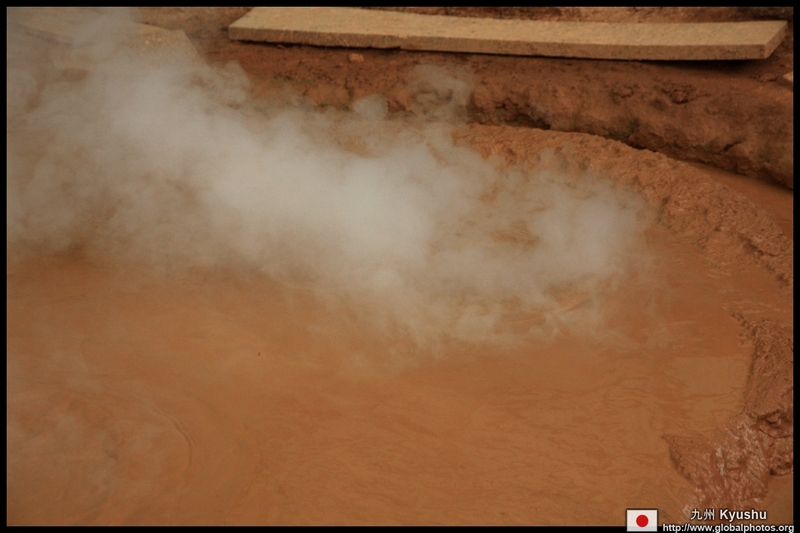 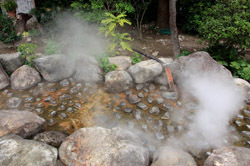 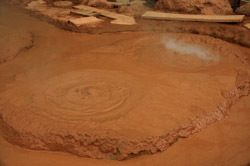 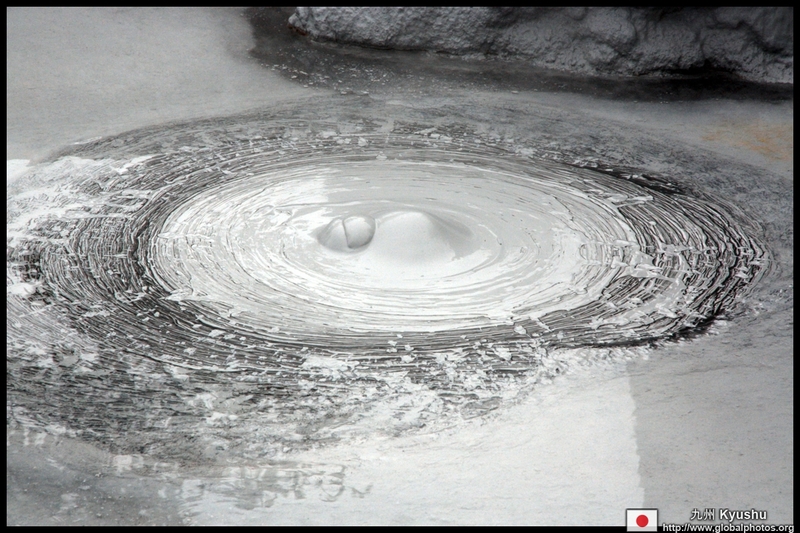 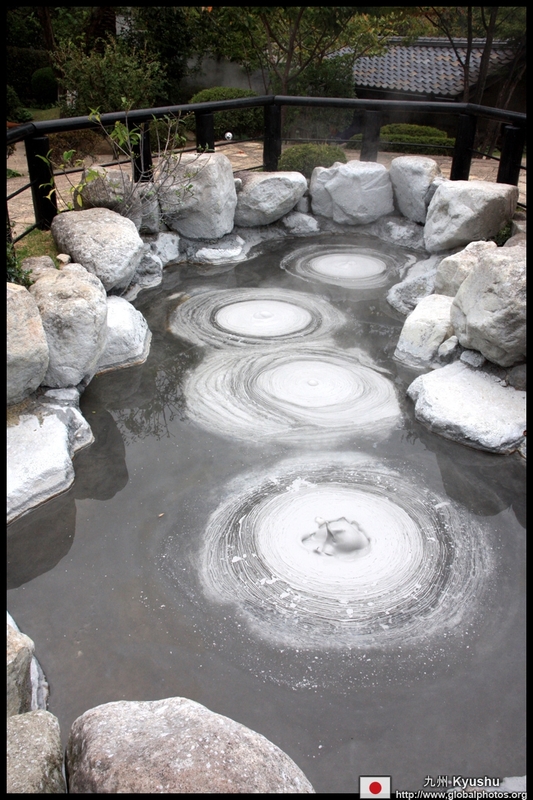 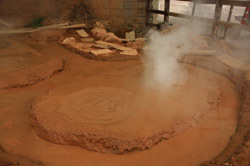 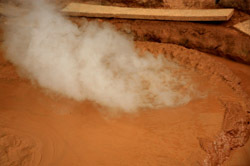 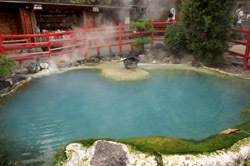 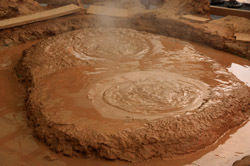 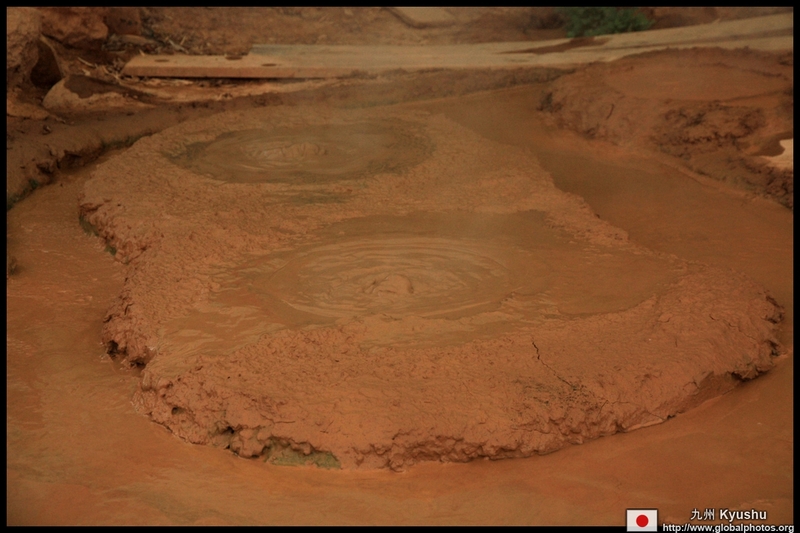 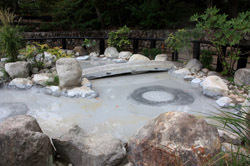 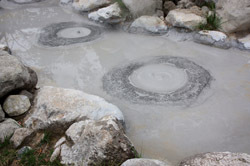 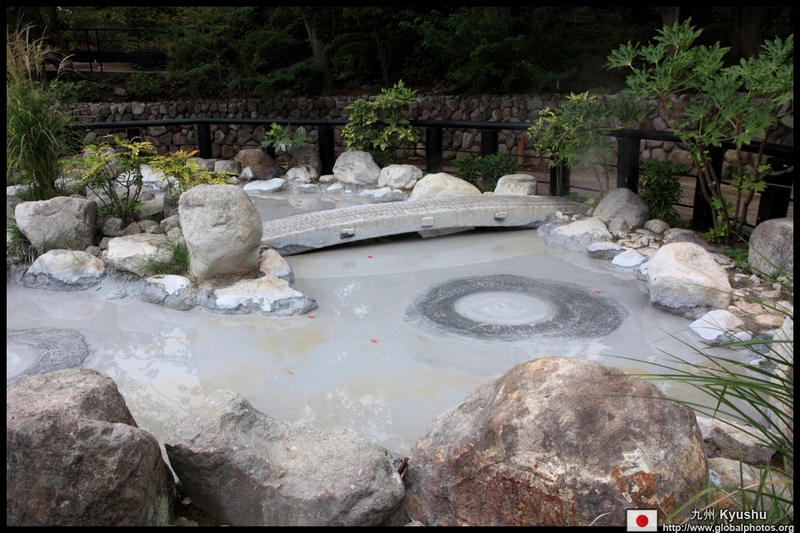 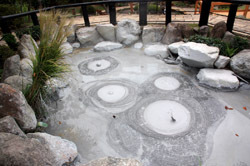 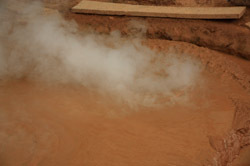 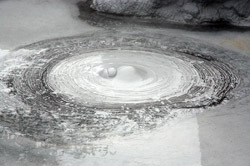 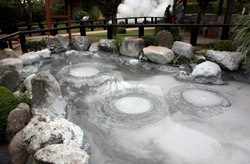 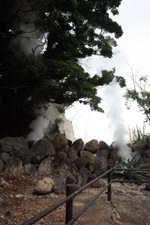 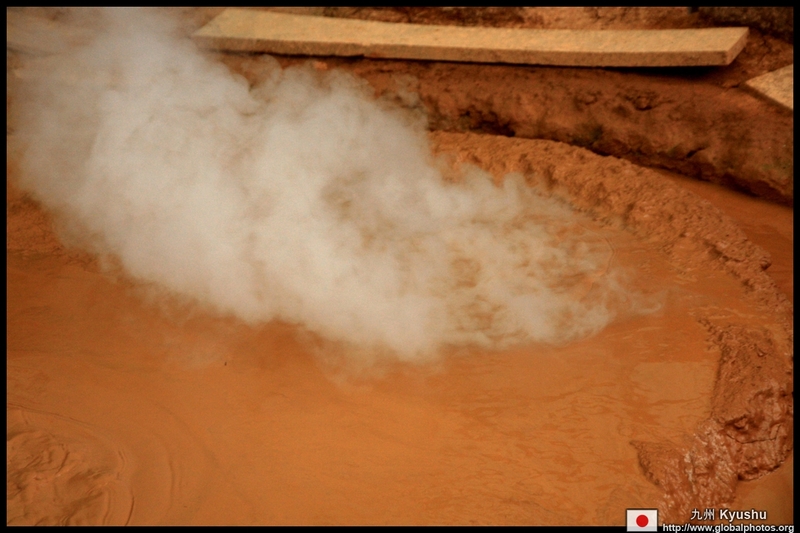 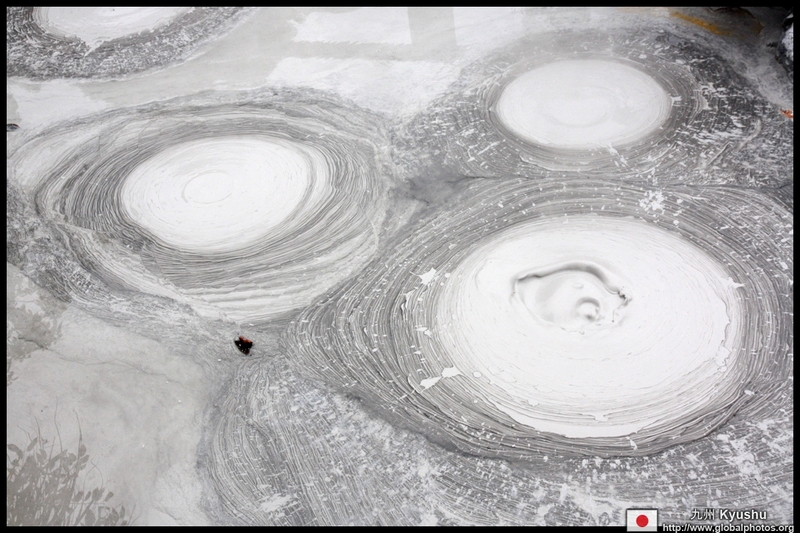 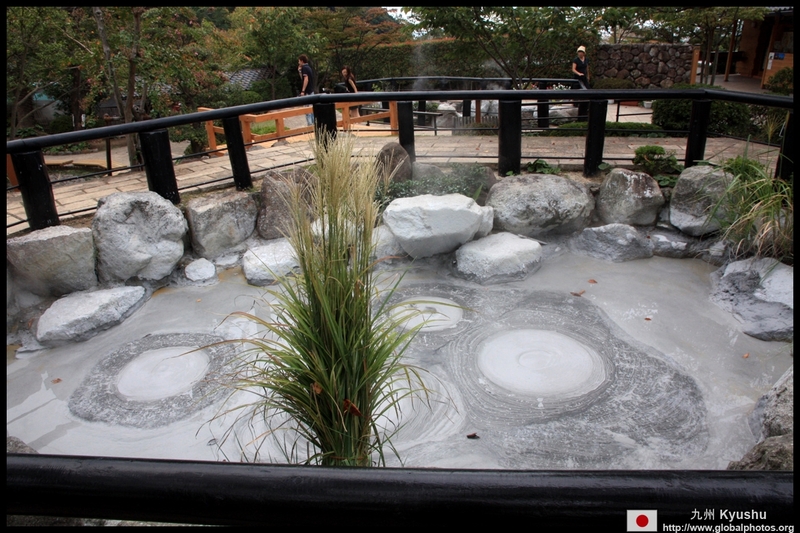 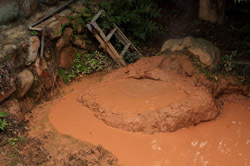 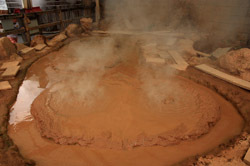 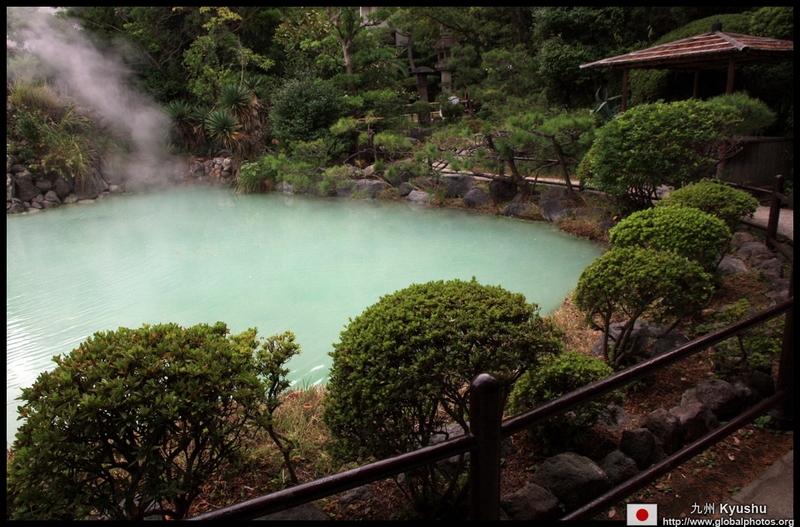 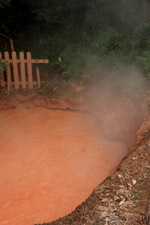 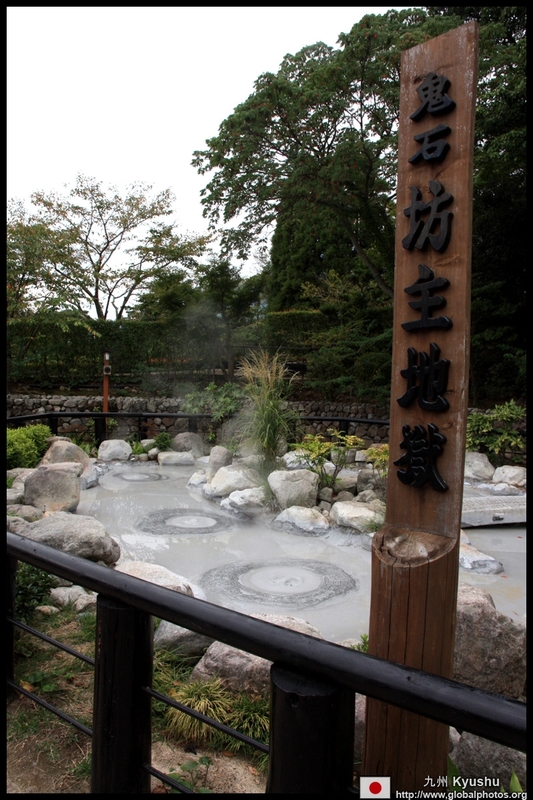 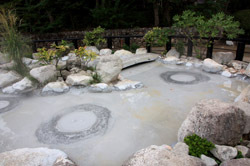 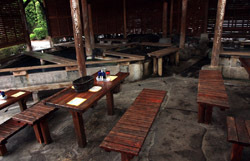 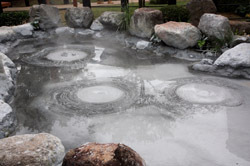 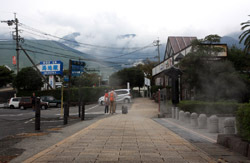 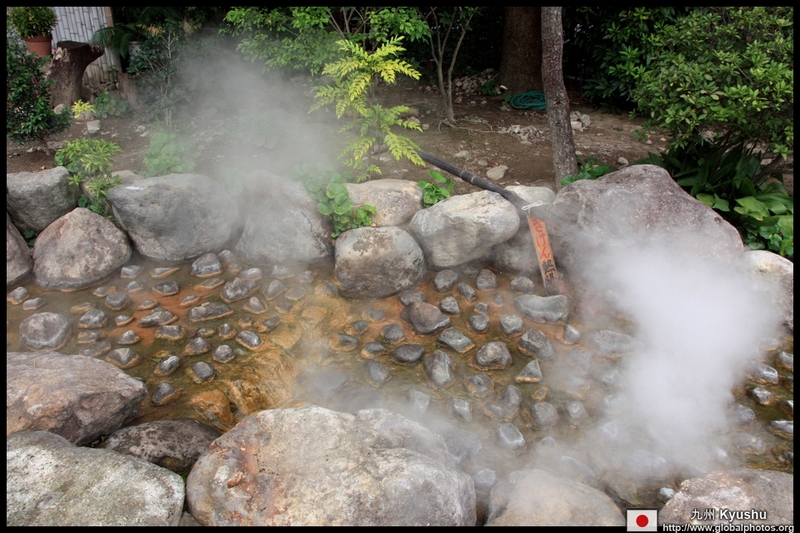 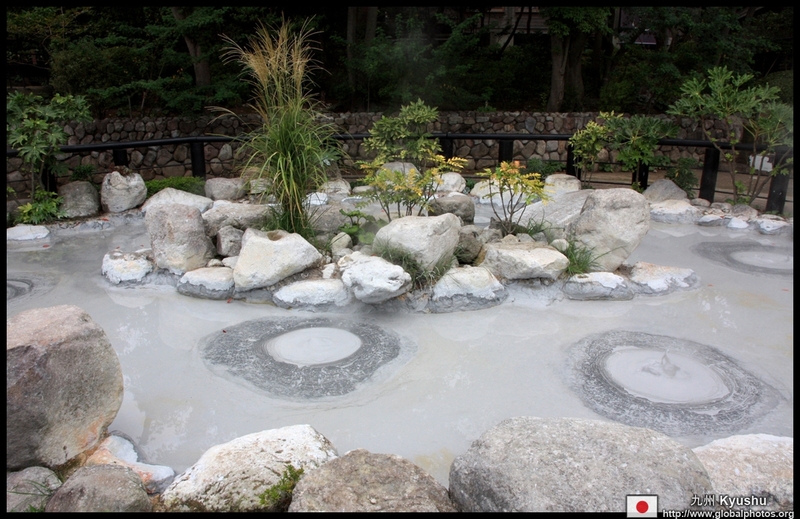 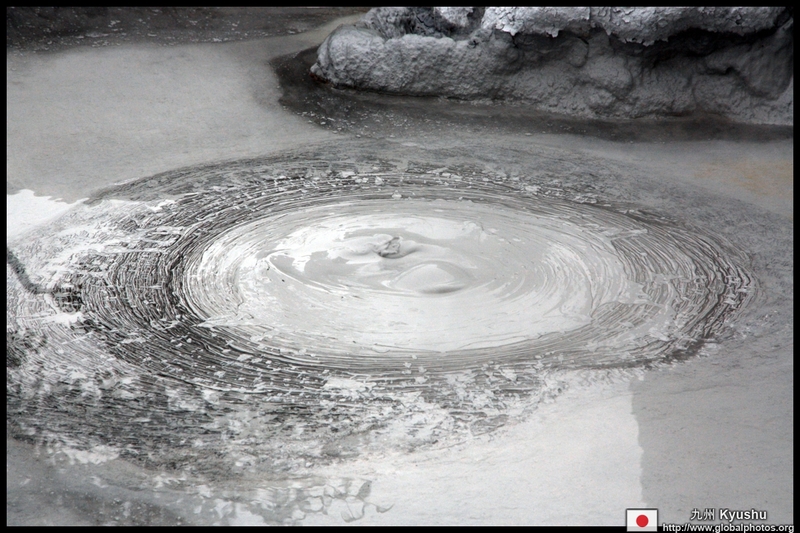 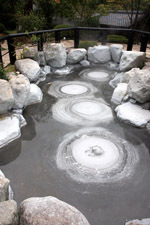 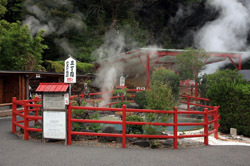 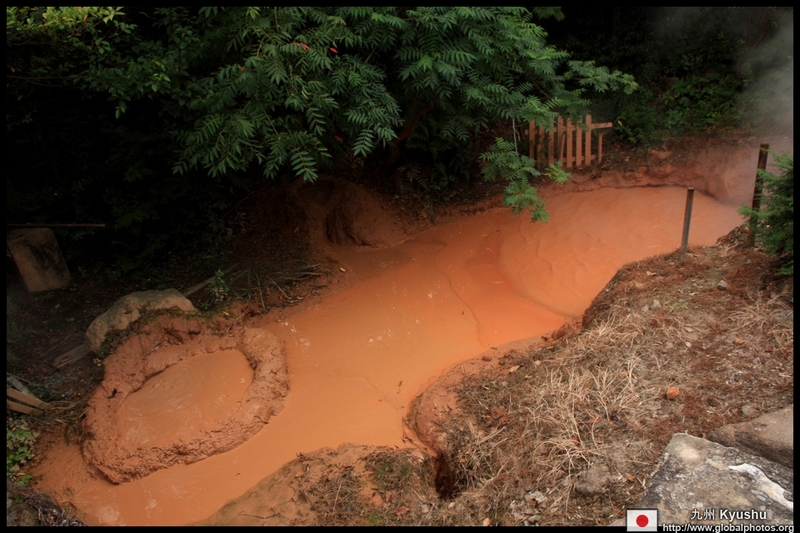 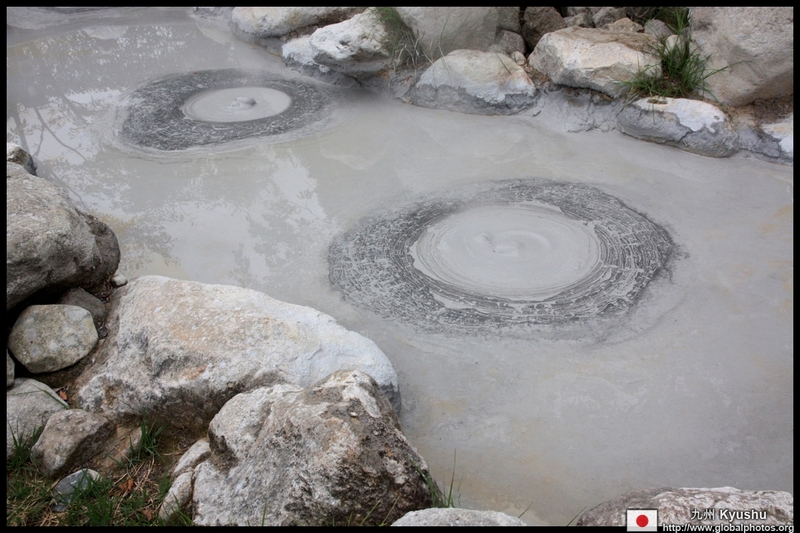 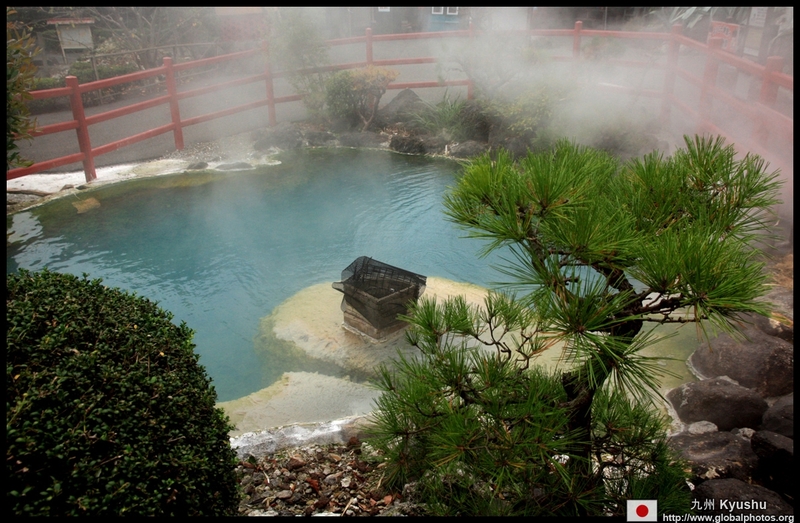 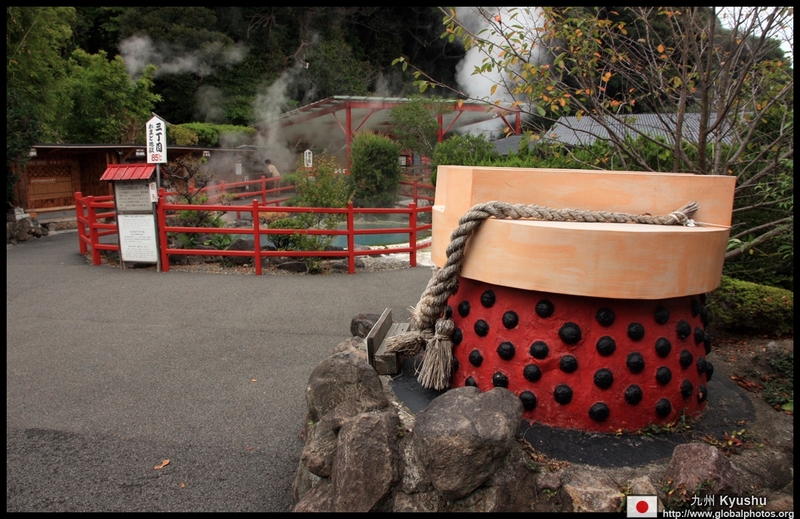 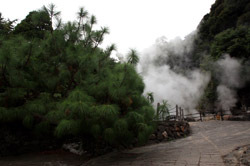 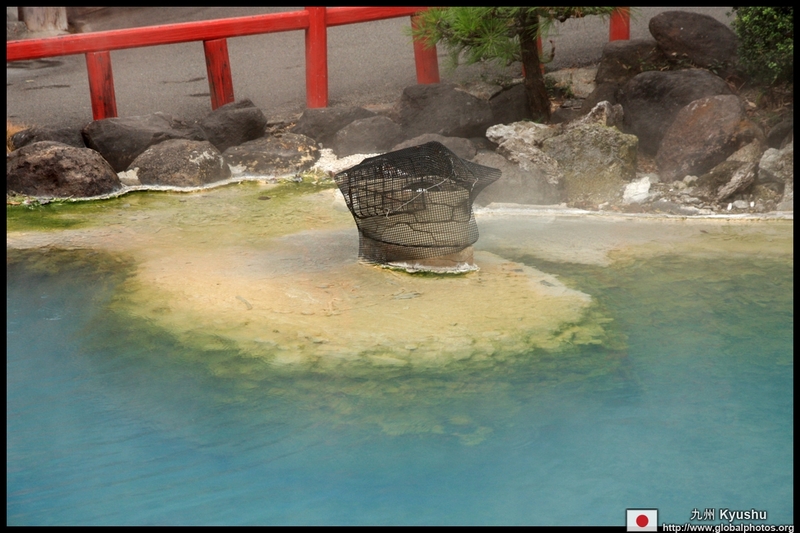 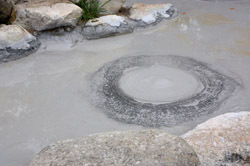 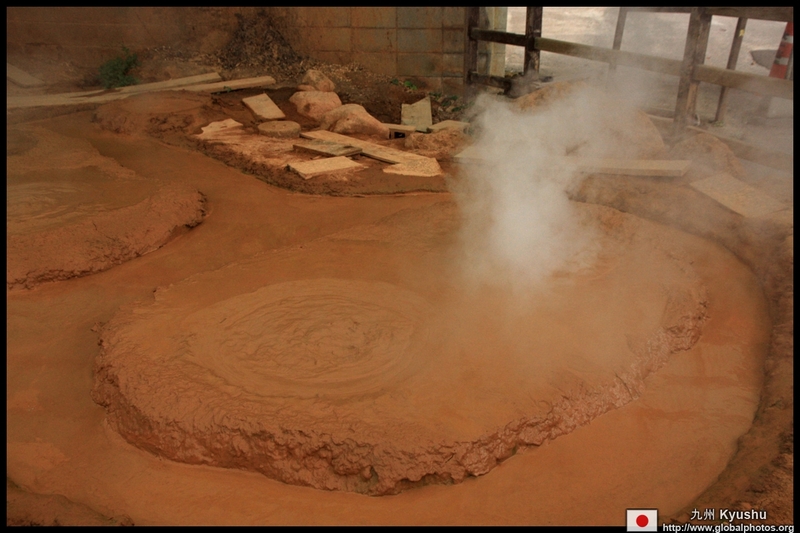 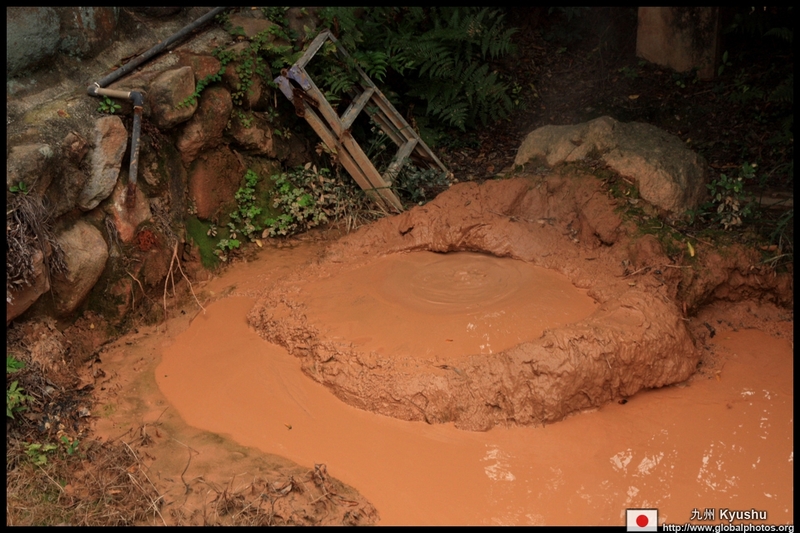 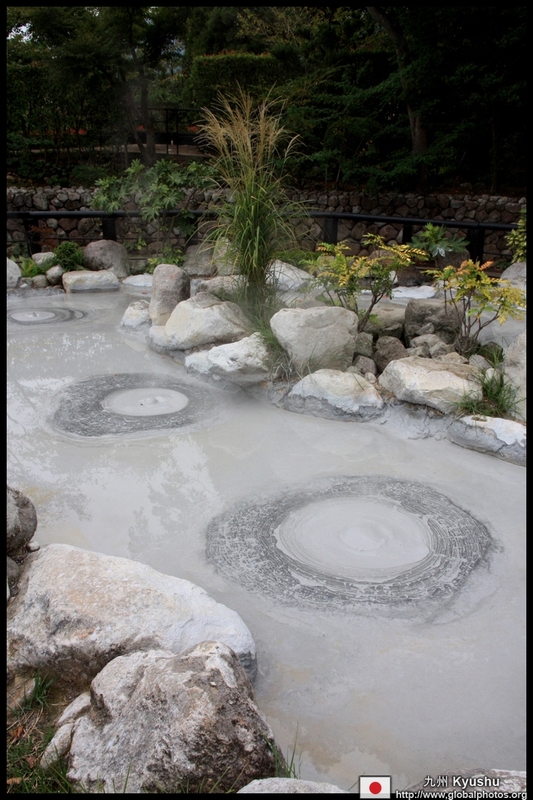 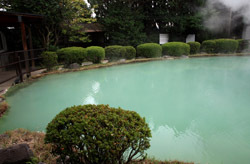 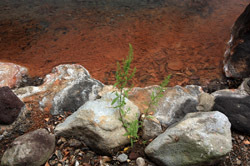 Boiling grey mud is a special feature at the Oniishibozu-Jigoku. 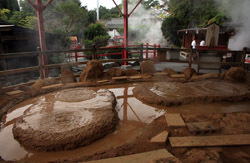 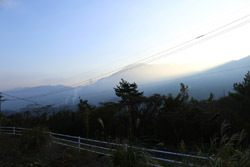 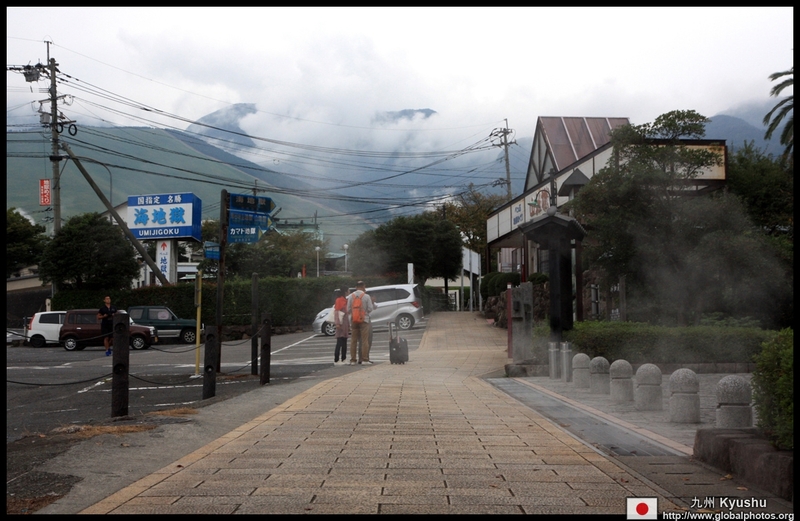 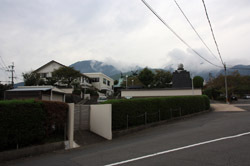 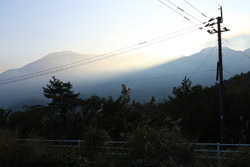 Yama-Jigoku was named after a mountain of mud formed over the years. 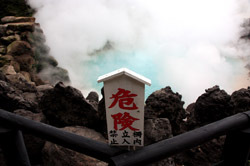 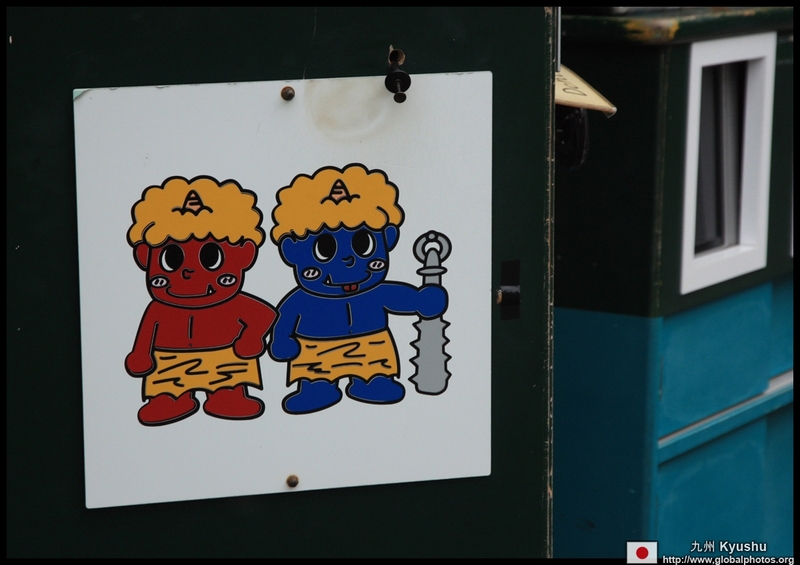 Demons roam around the Kamado-Jigoku. 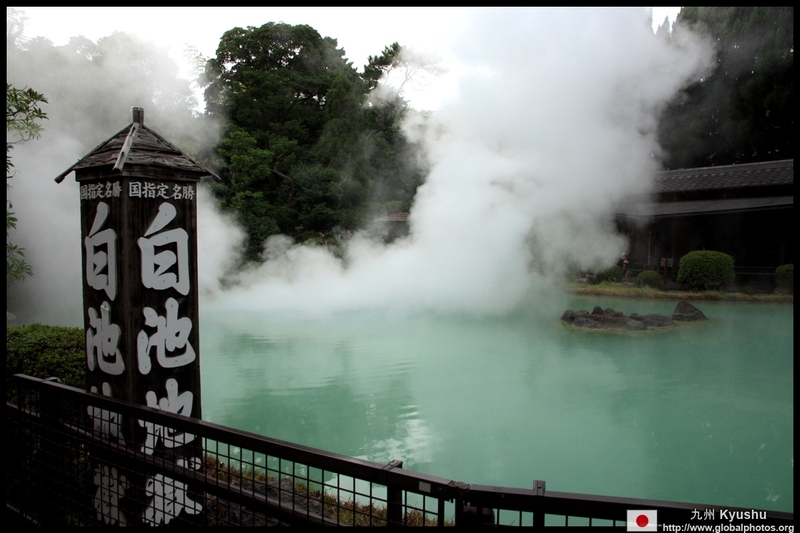 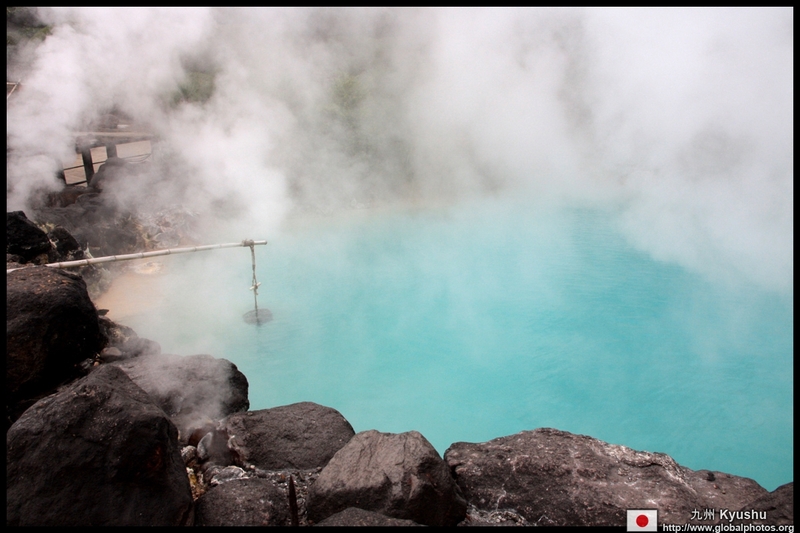 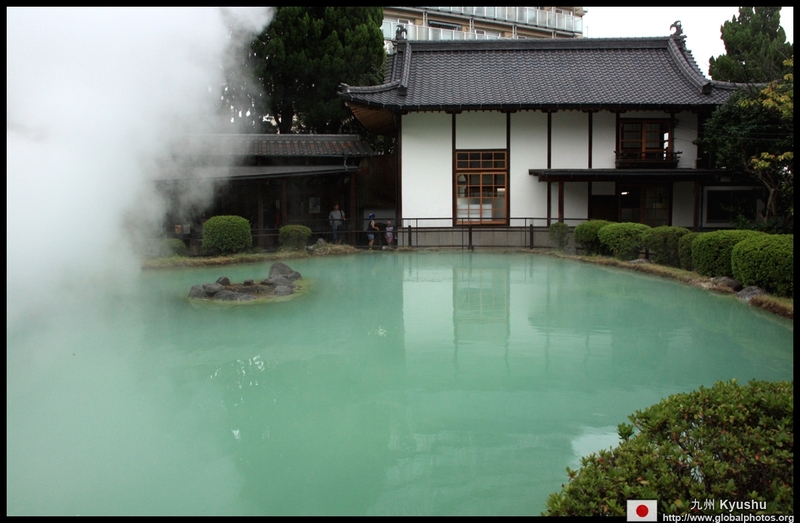 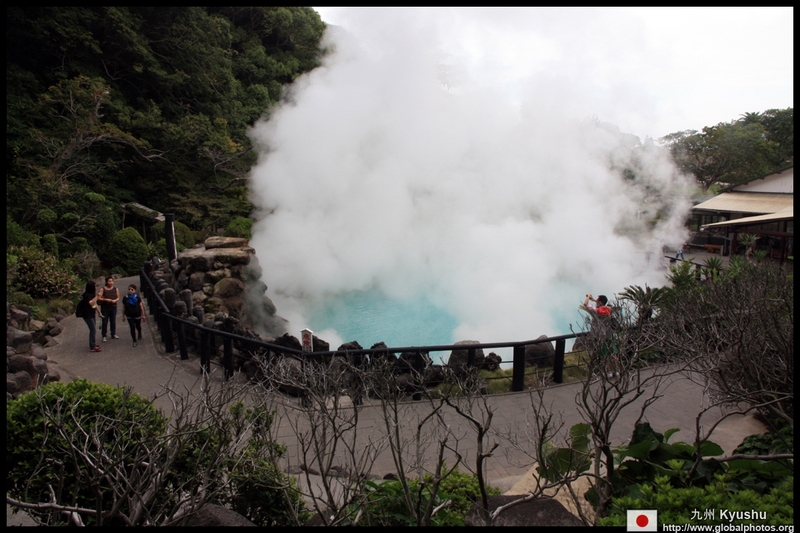 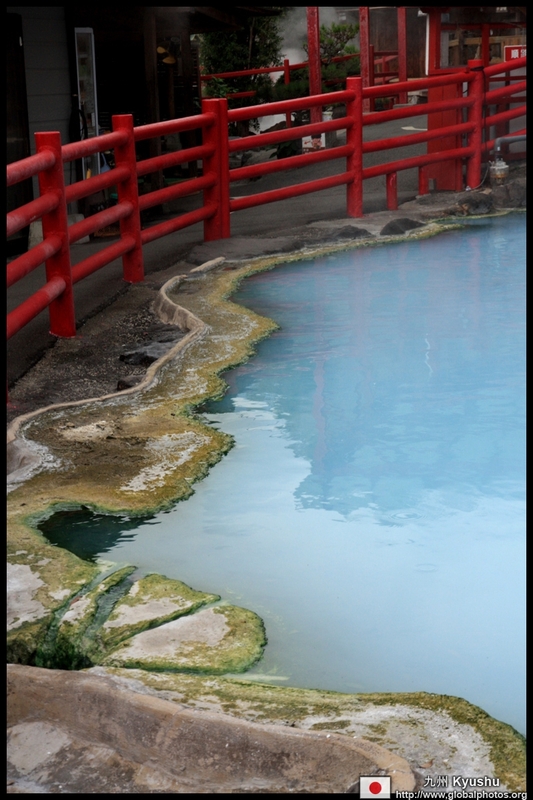 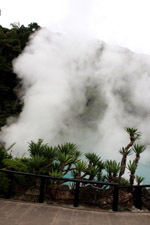 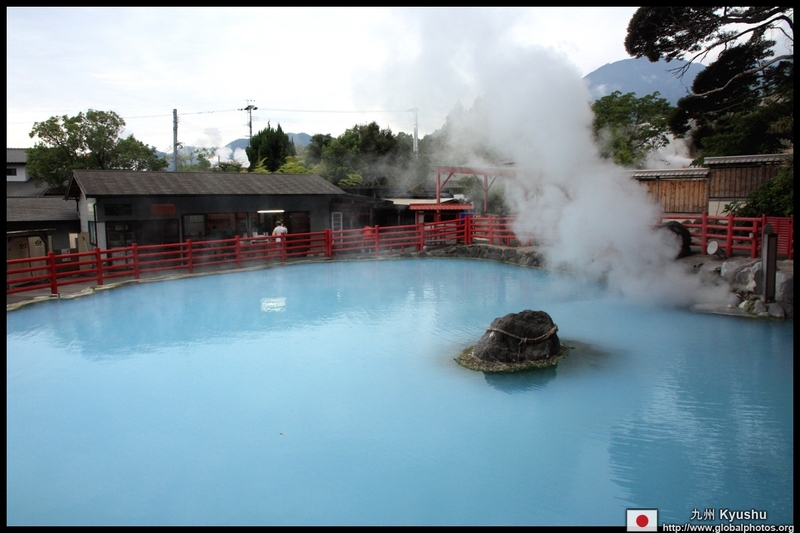 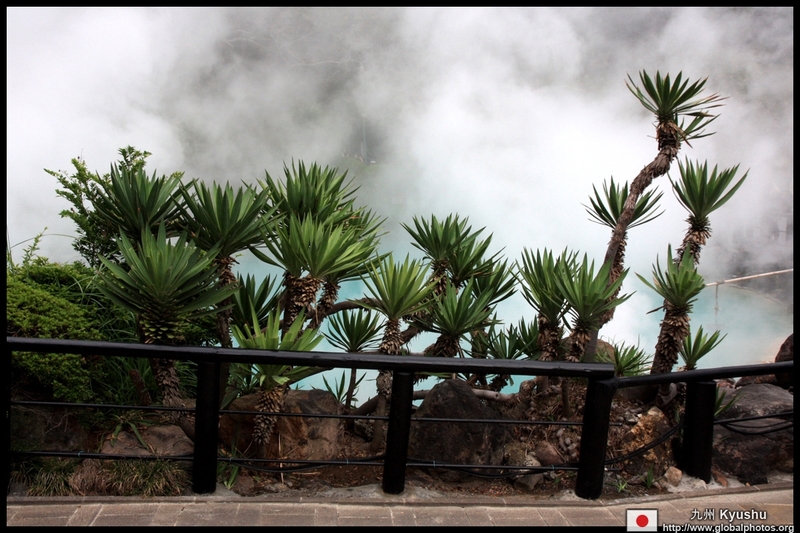 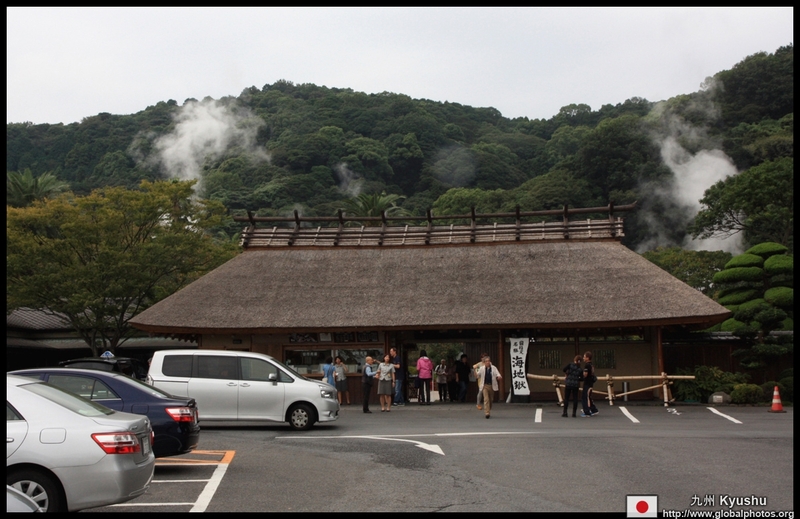 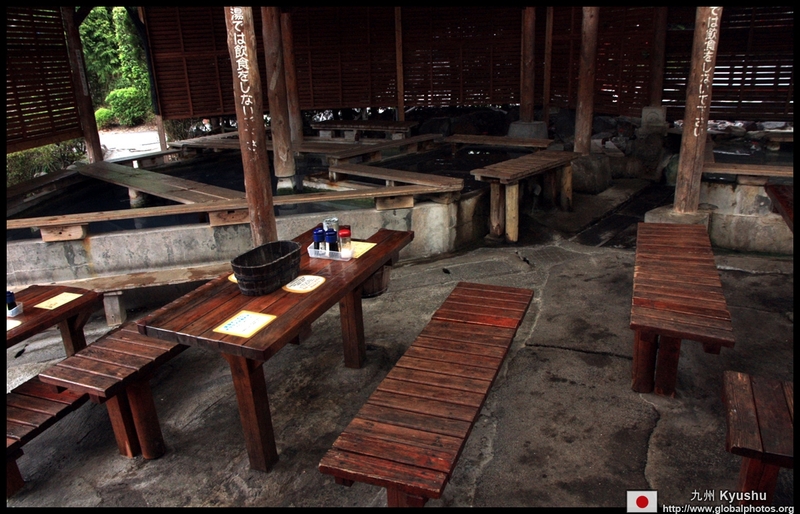 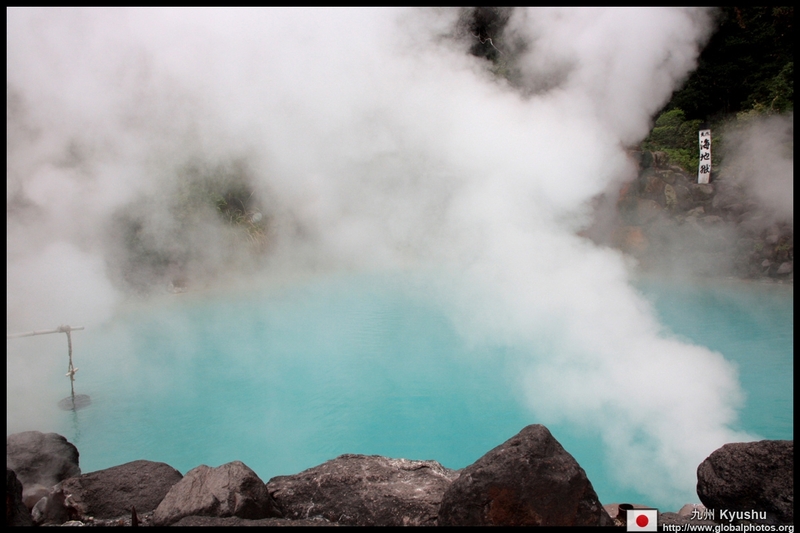 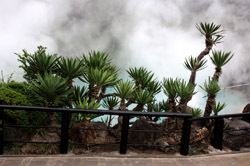 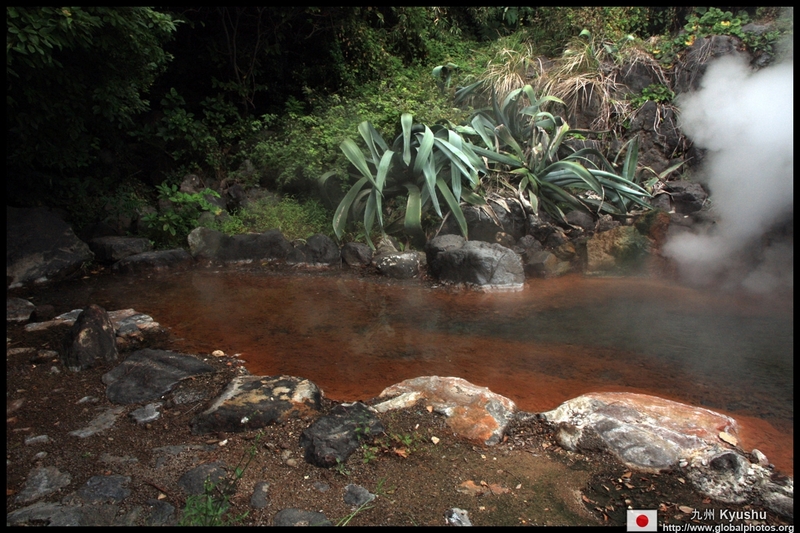 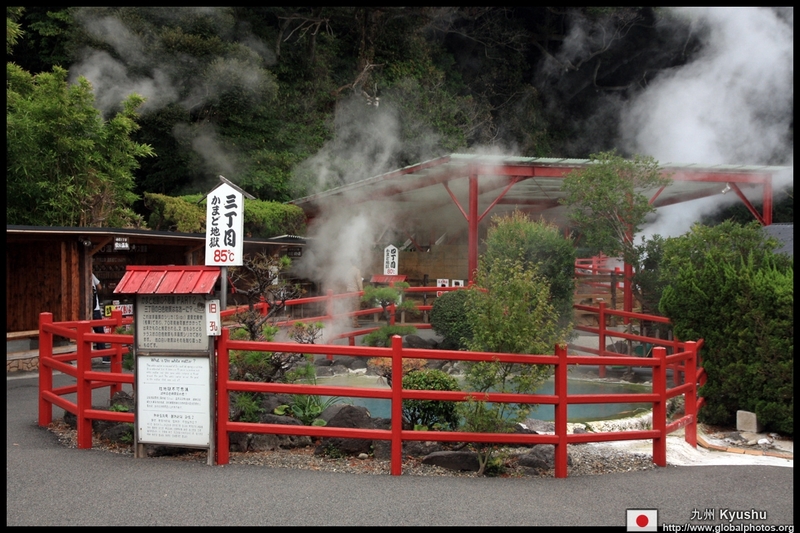 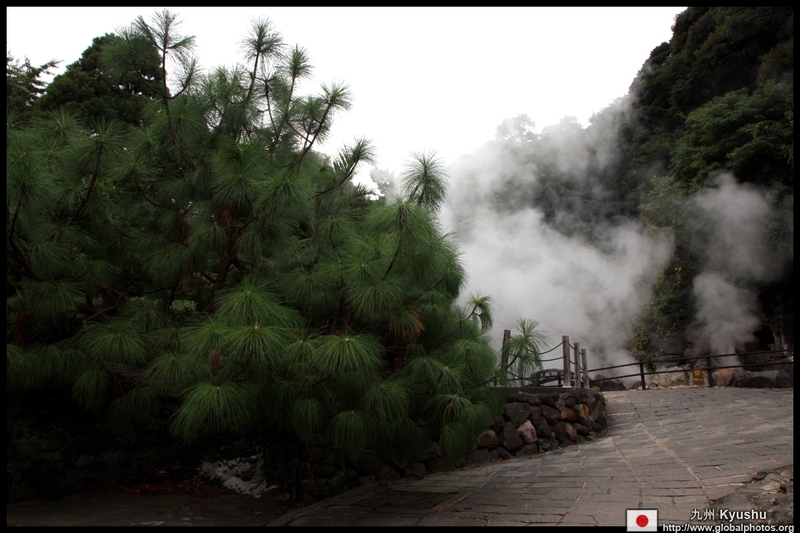 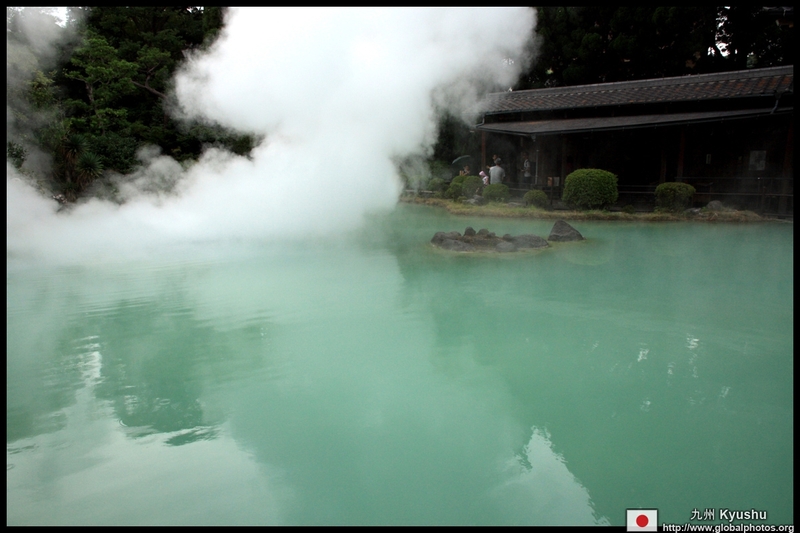 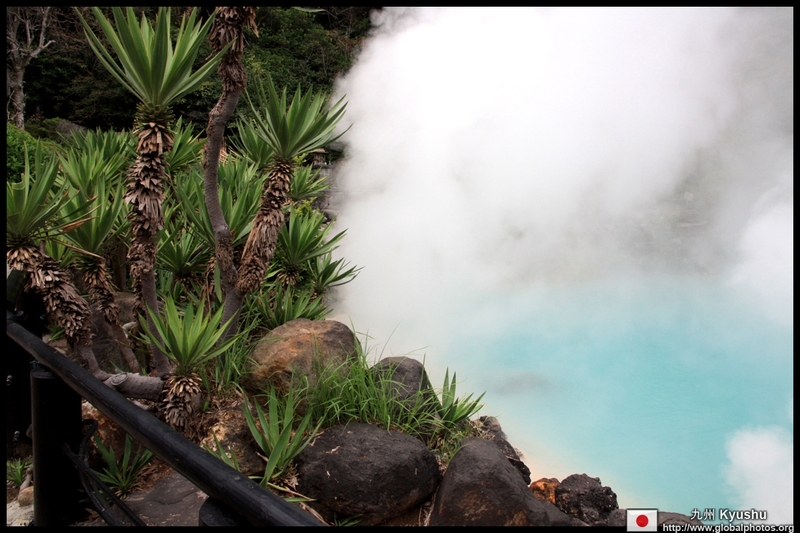 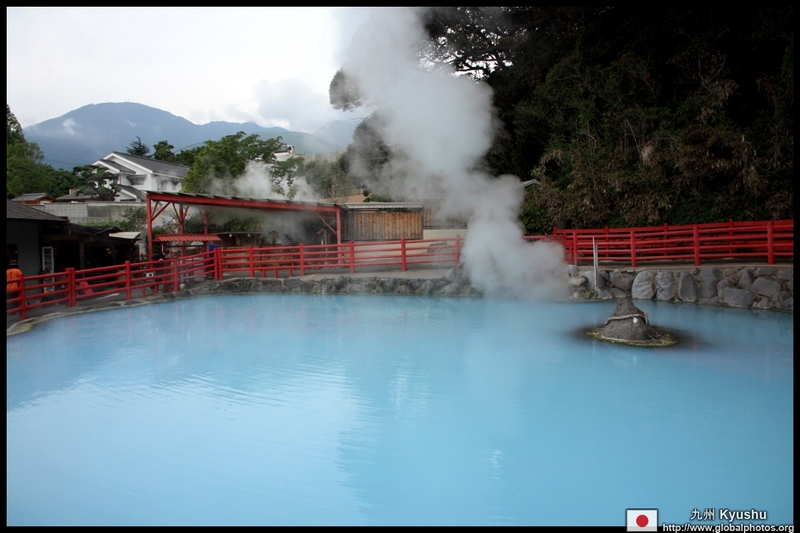 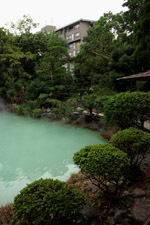 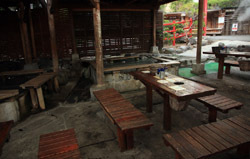 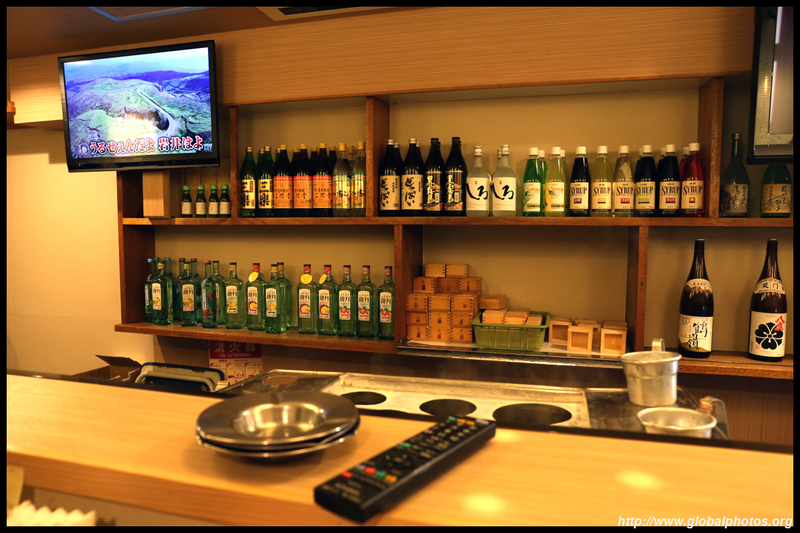 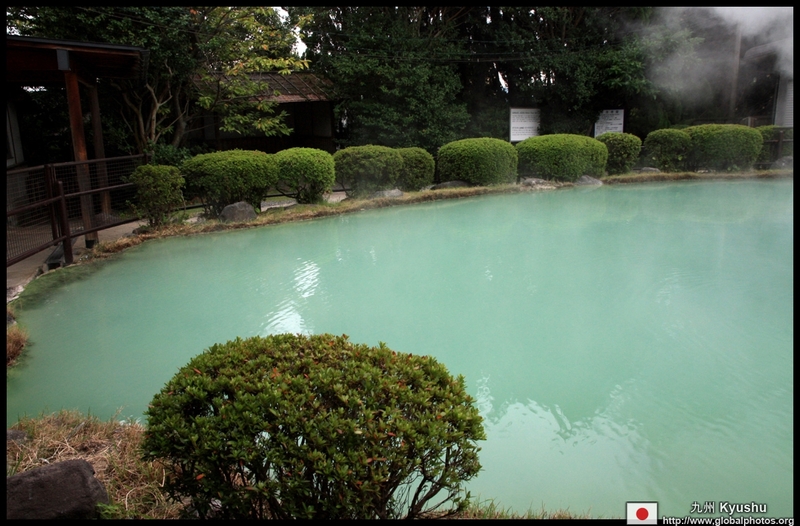 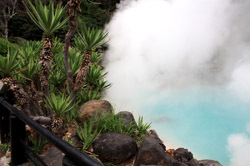 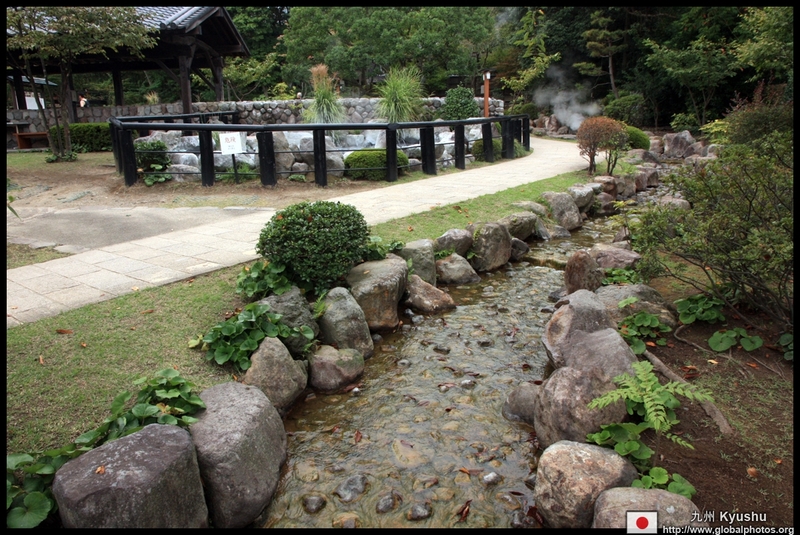 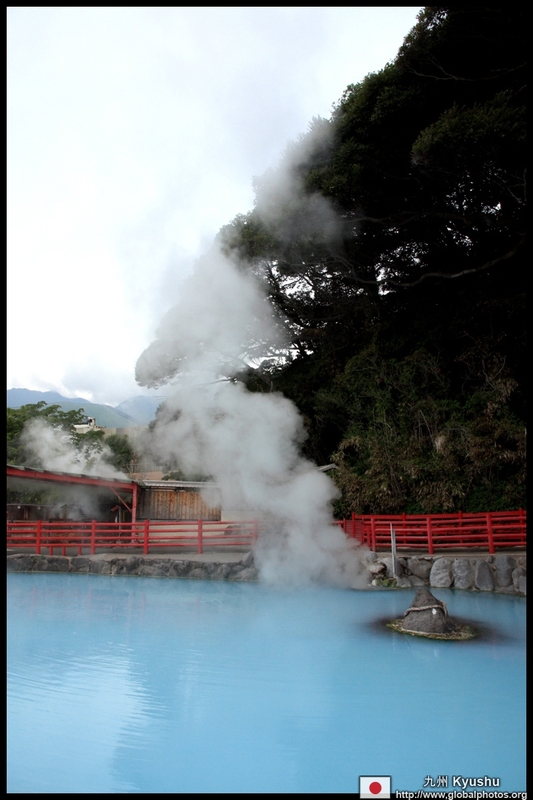 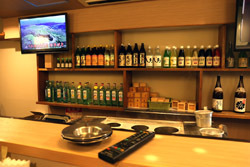 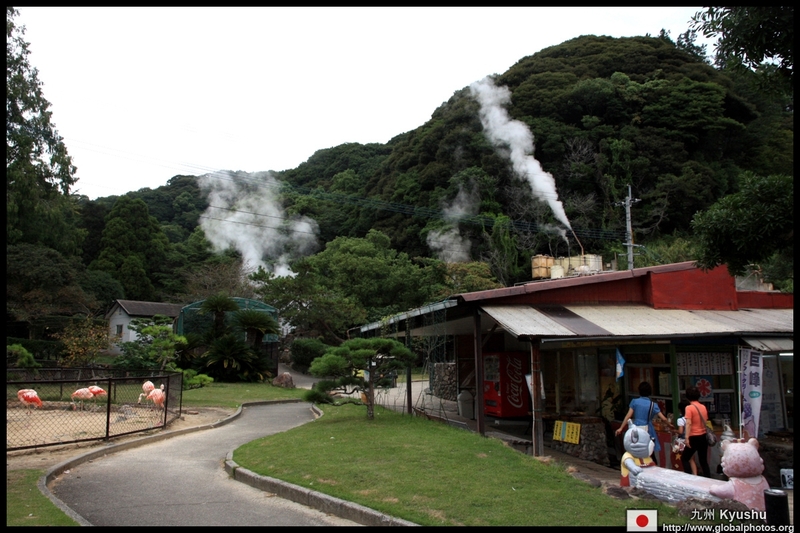 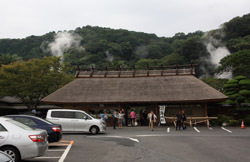 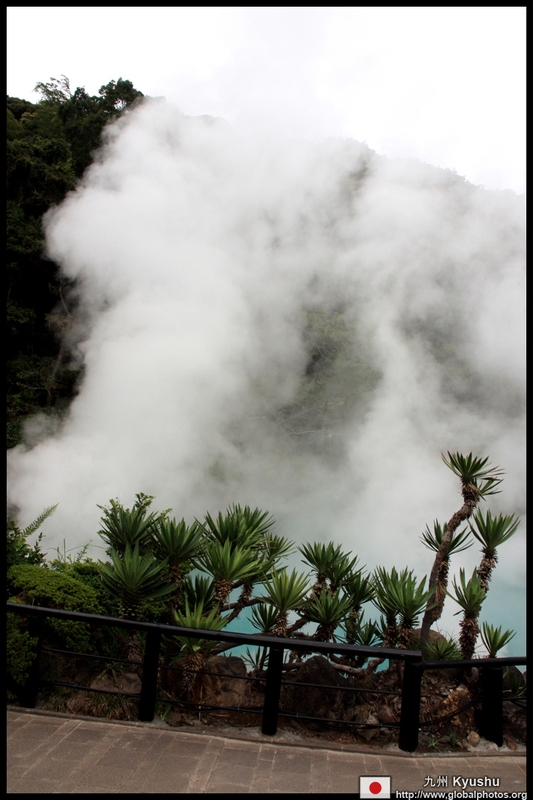 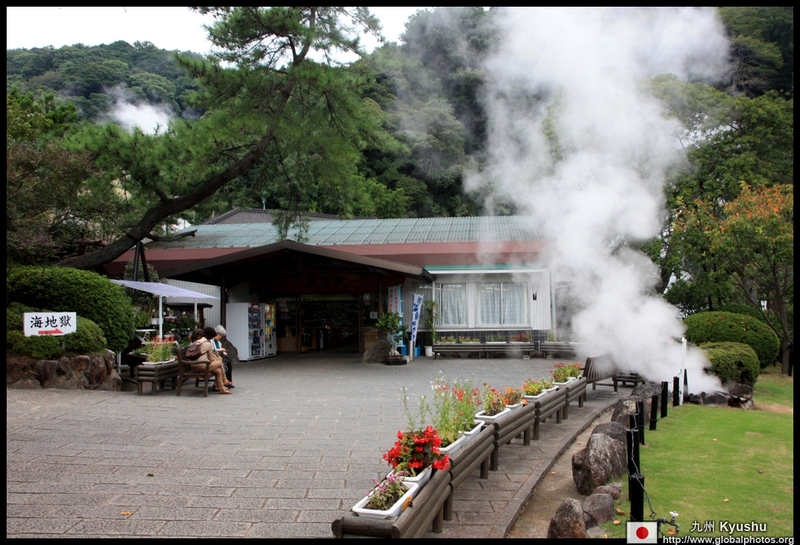 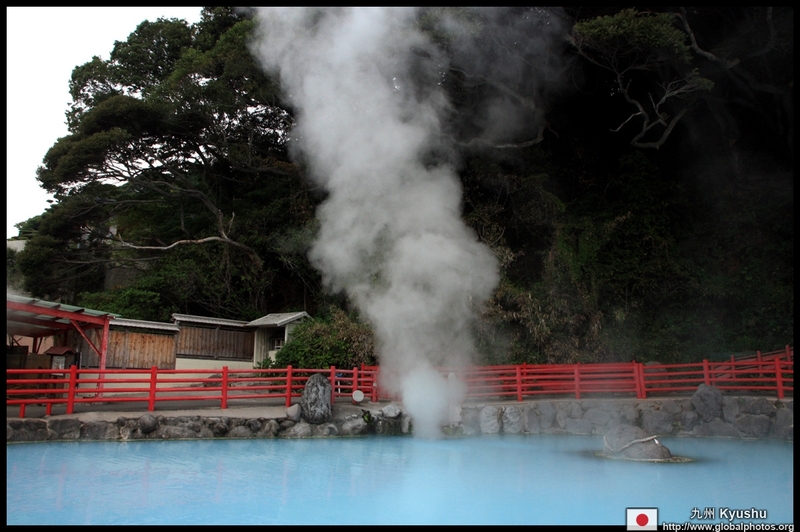 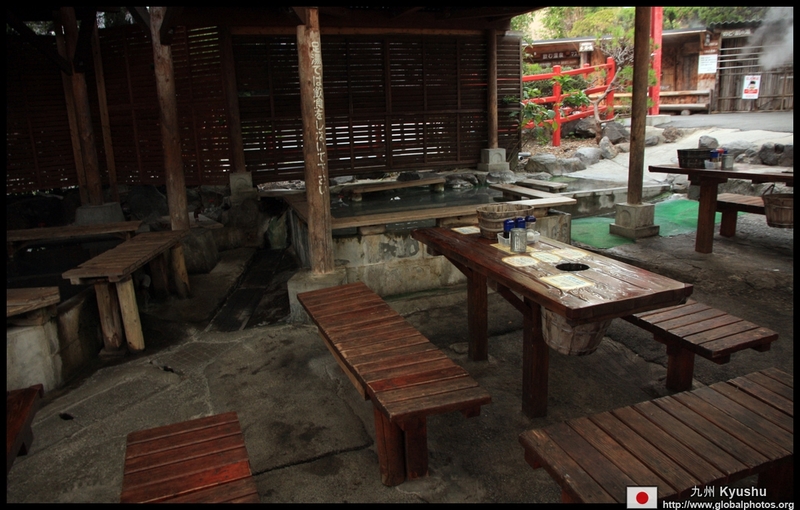 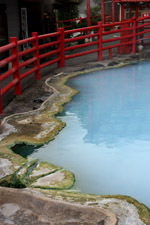 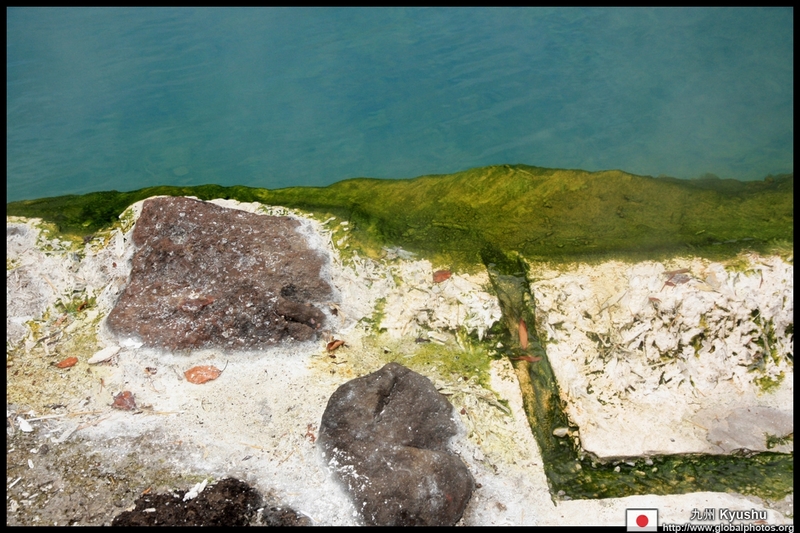 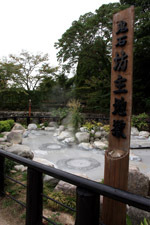 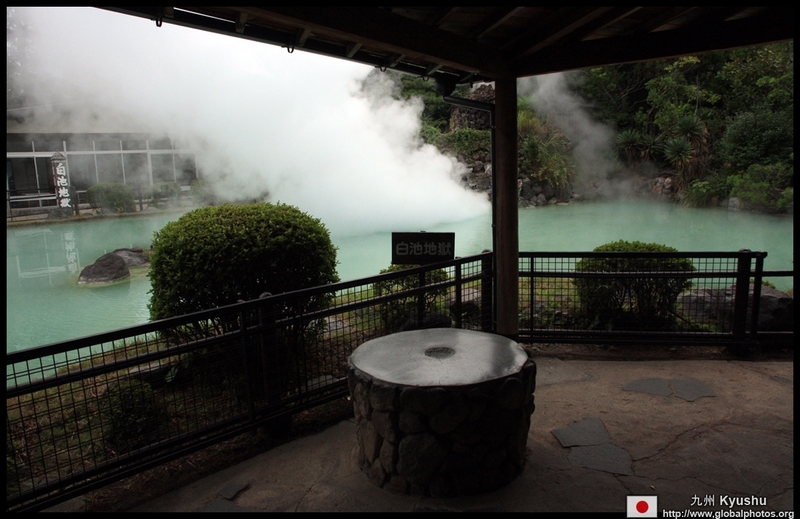 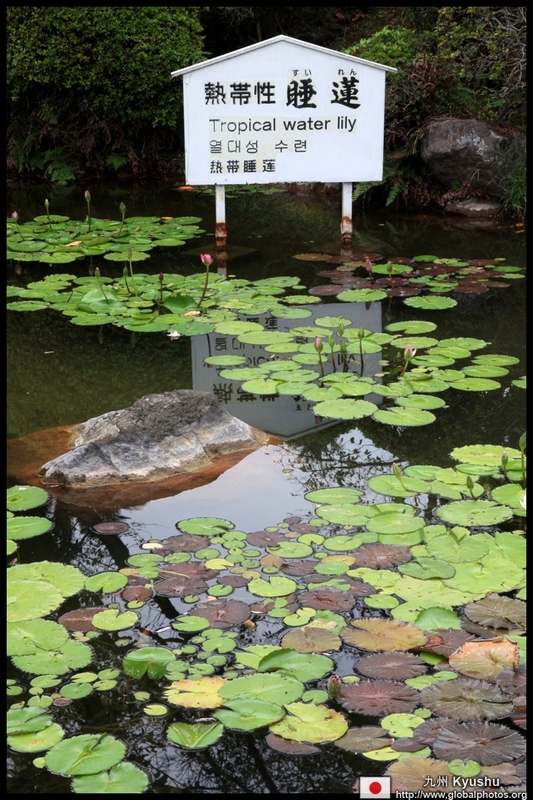 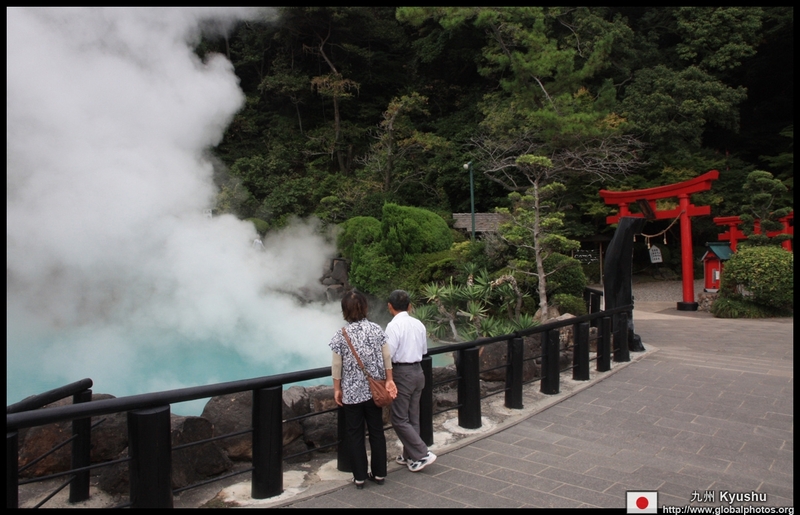 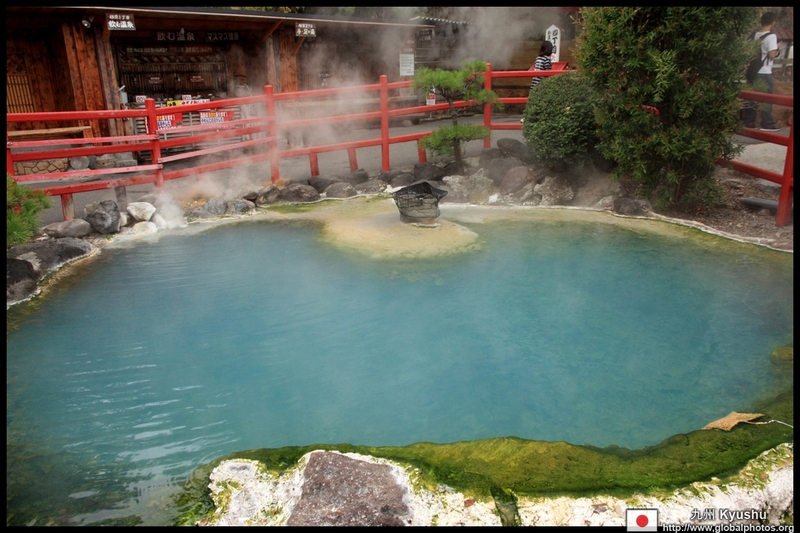 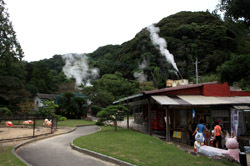 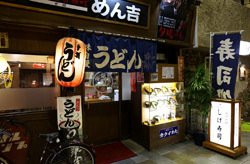 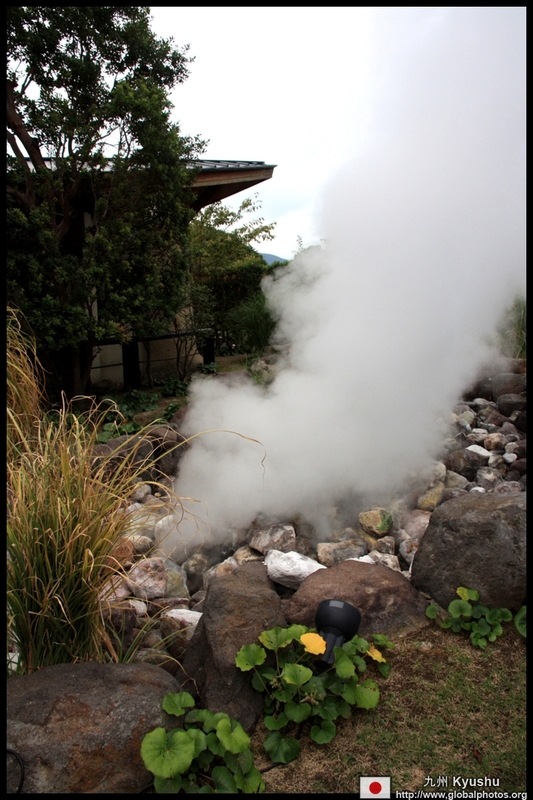 Visitors can try the hot spring mineral water, but it is quite hot so let it cool first! 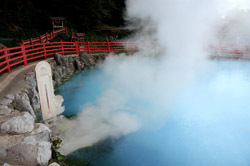 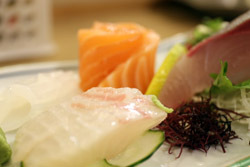 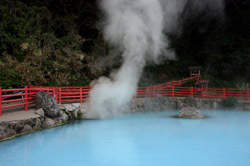 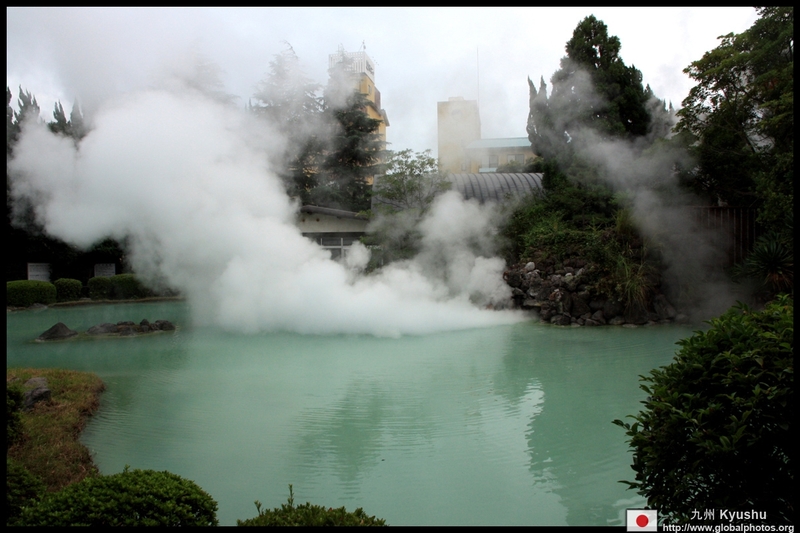 Shiraike-Jigoku's special feature is its creamy-white water. 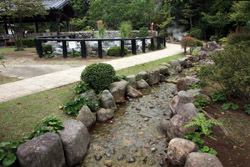 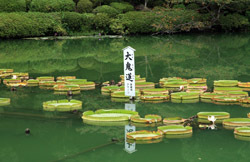 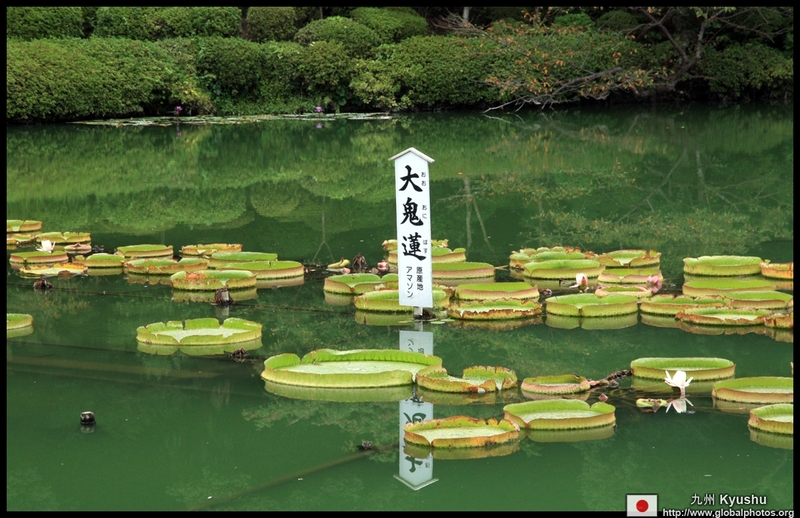 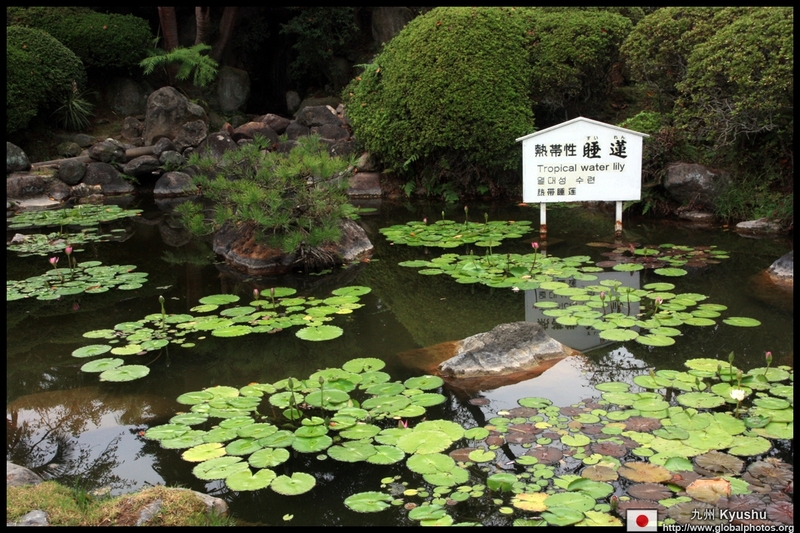 A Japanese garden has been built around this pond. 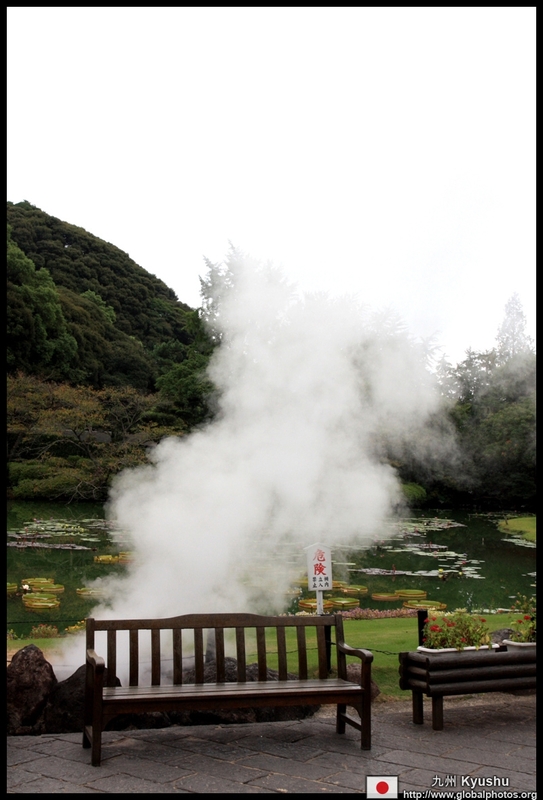 As it was already near closing, the crowds thinned out and I had a piece of serenity all to myself. 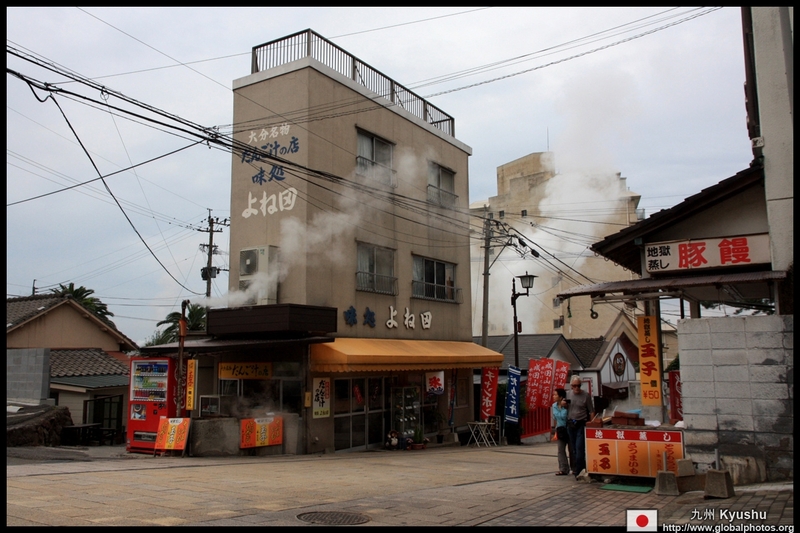 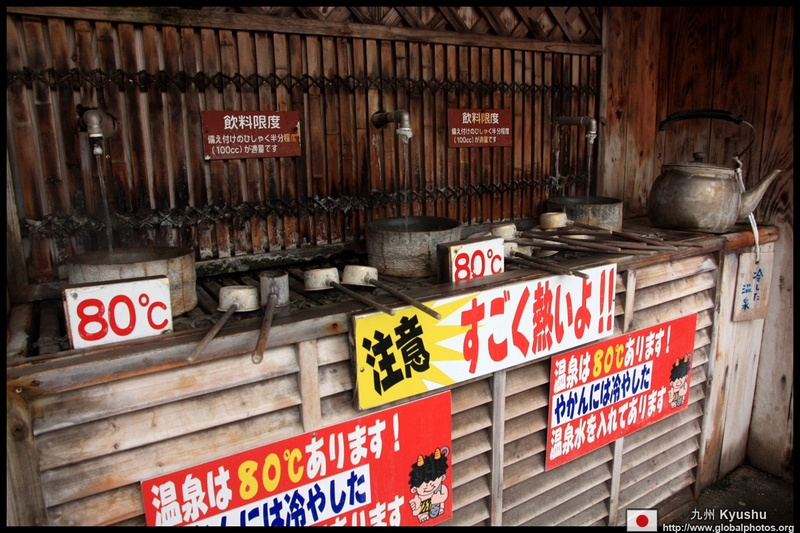 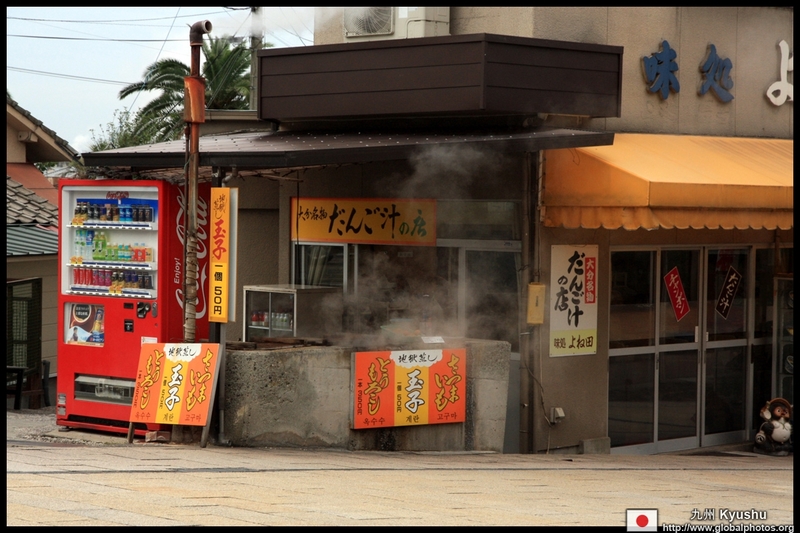 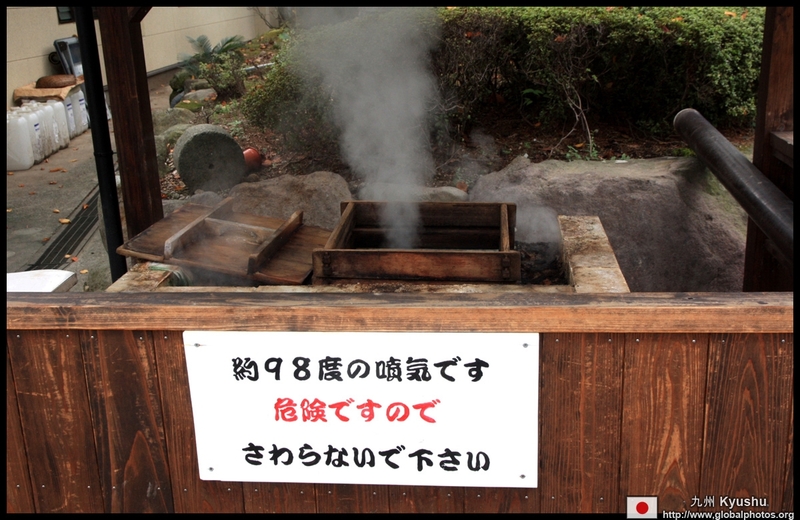 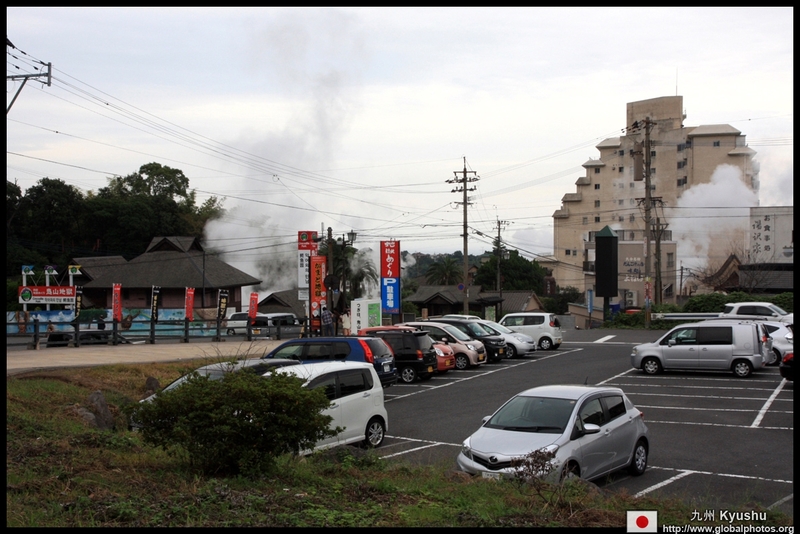 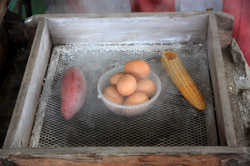 Eggs boiled from hot spring water are quite popular in Beppu. 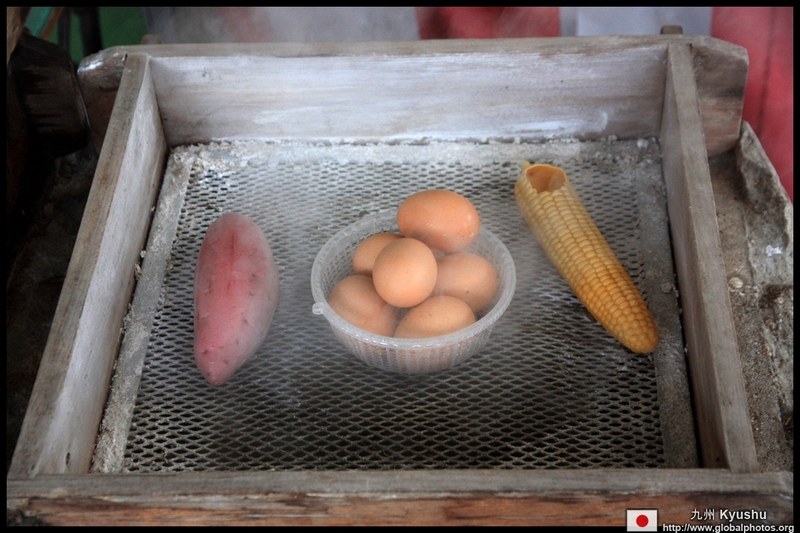 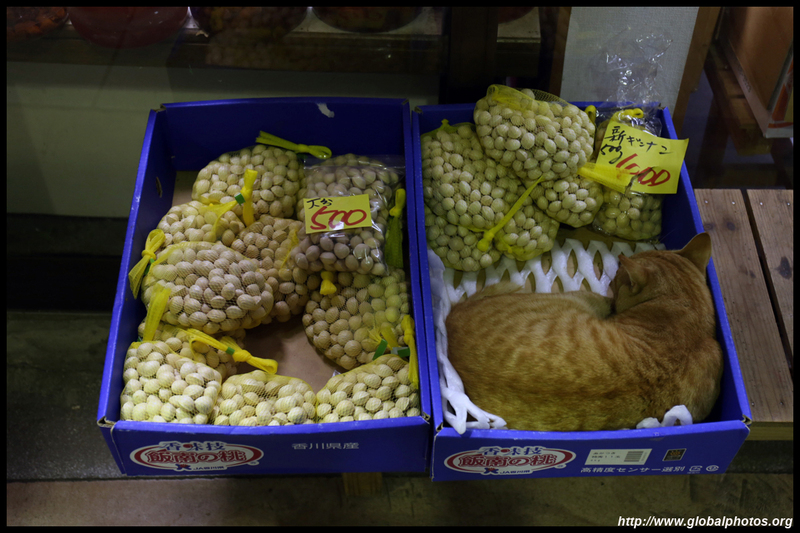 They didn't taste too different from regular boiled eggs but it was a nice snack after a lot of sightseeing. 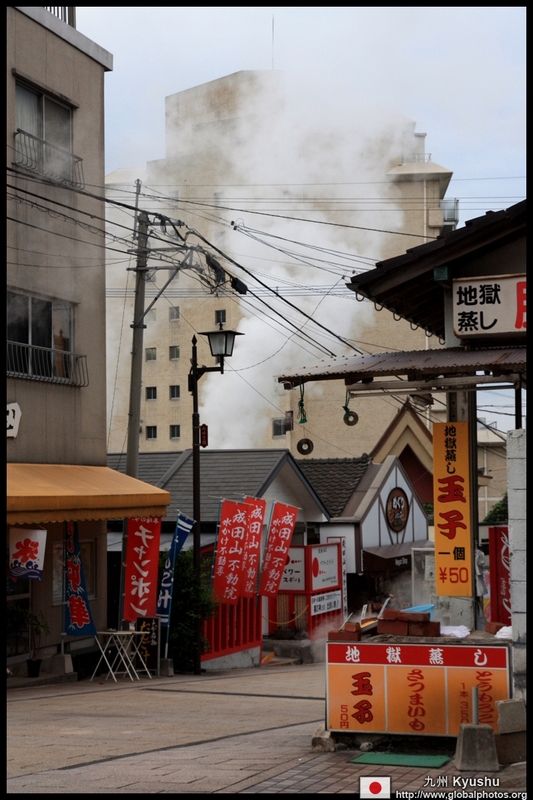 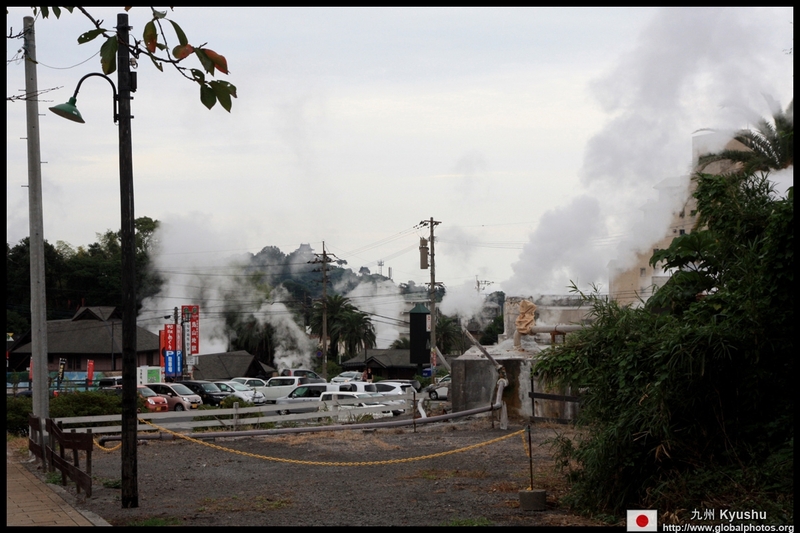 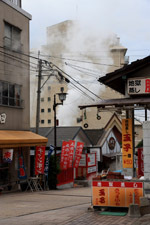 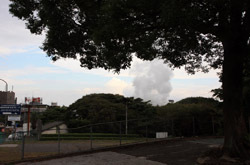 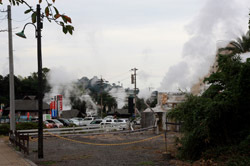 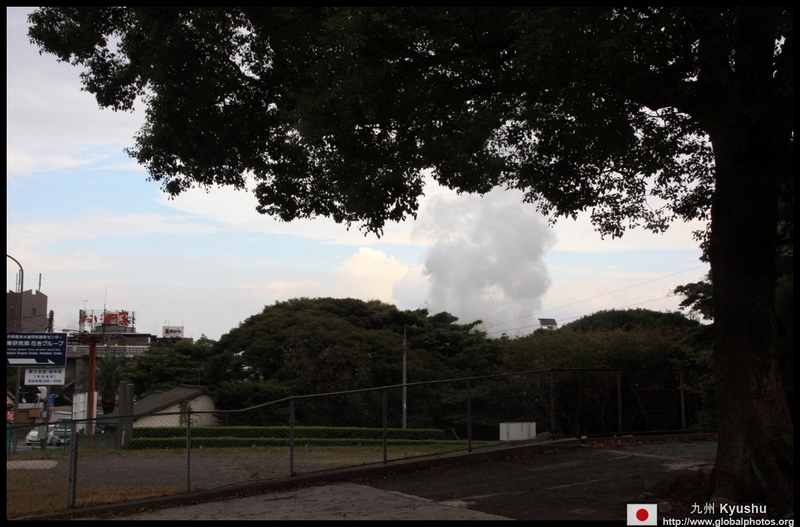 Steam rises from a lot of places throughout this part of town. 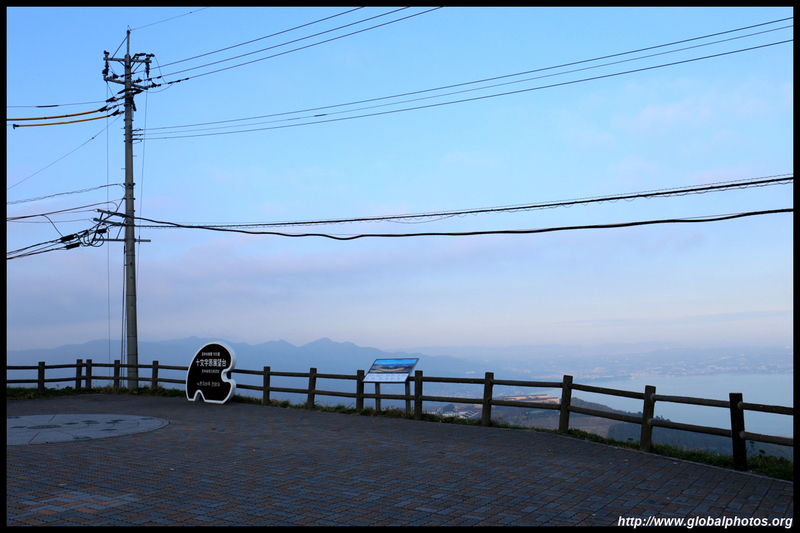 It was a cool day, so walking near one of these vents is a refreshingly warm experience. 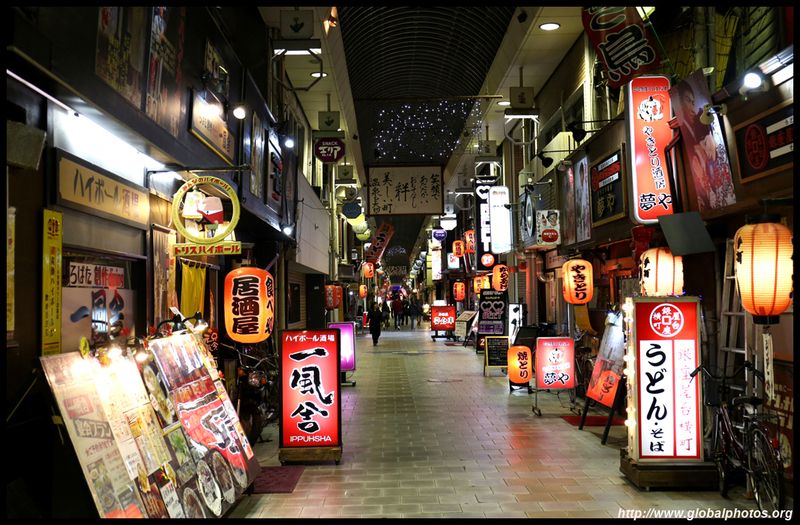 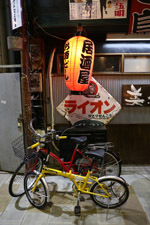 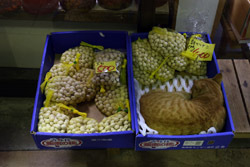 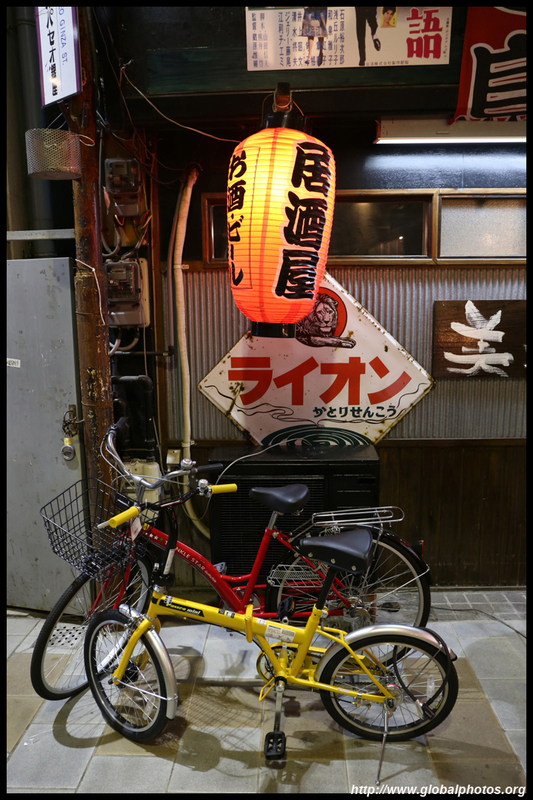 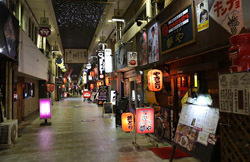 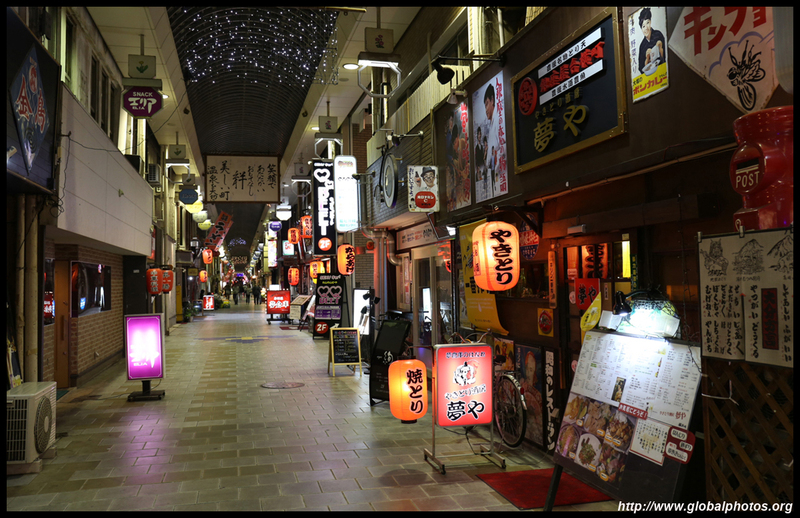 As night rolls in, head to the covered shopping arcade for some dinner, and see the prostitute touts working discreetly. 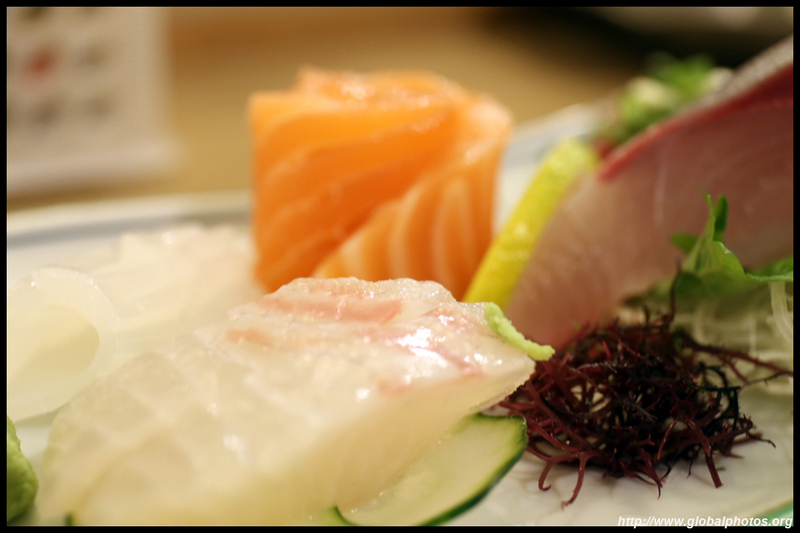 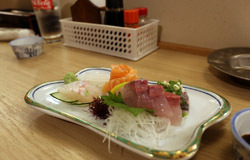 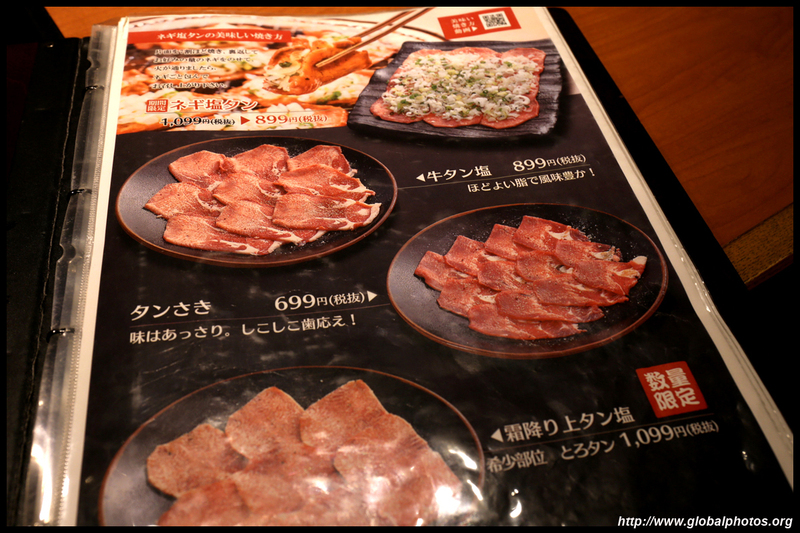 I also tried some nearby restaurants. 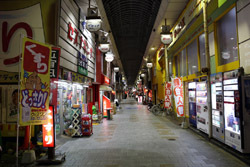 Not many open late and the city quiets down quite early into the night. 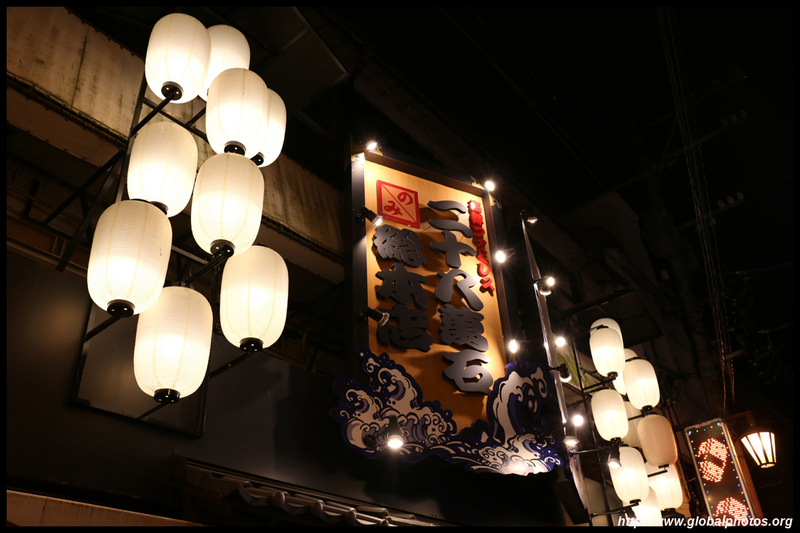 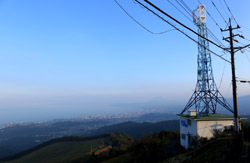 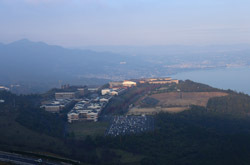 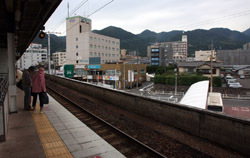 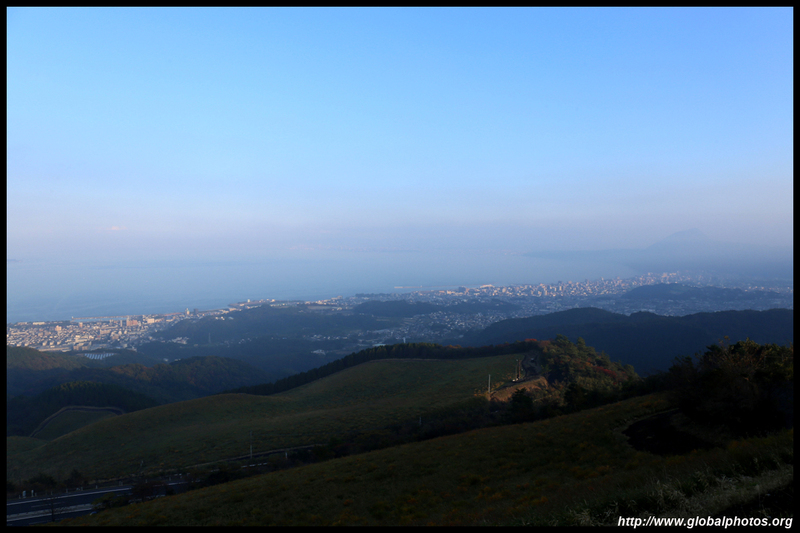 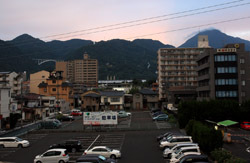 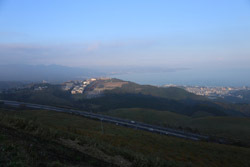 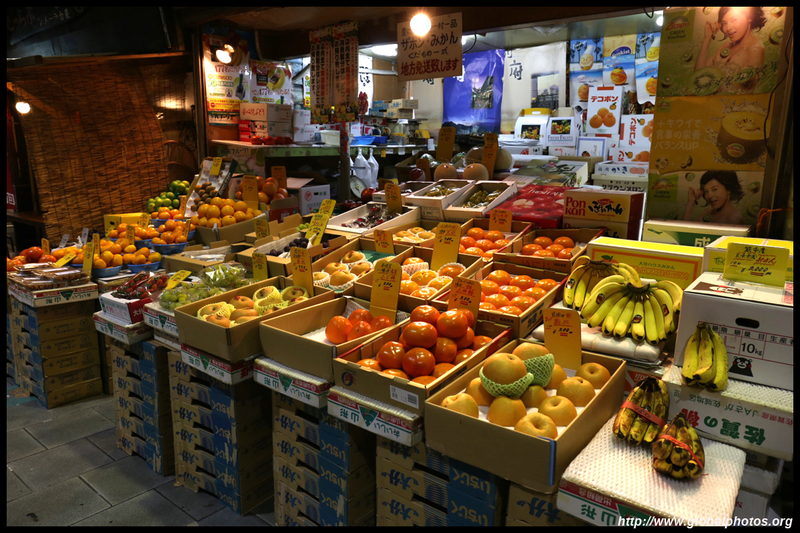 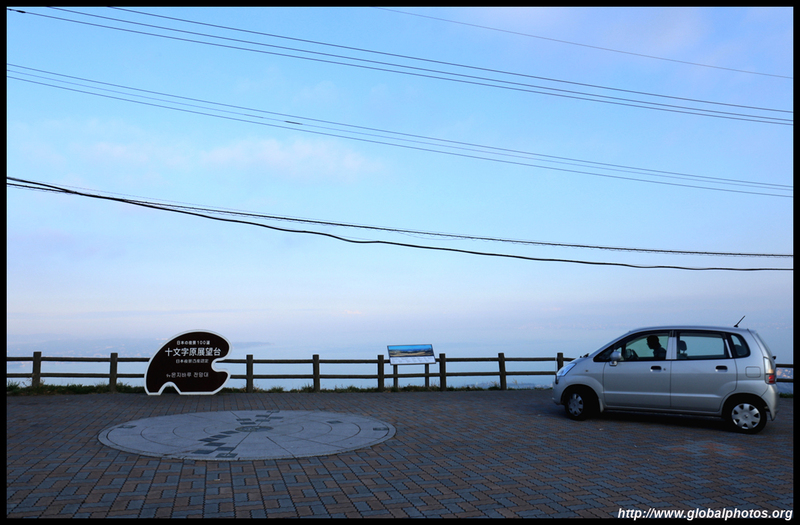 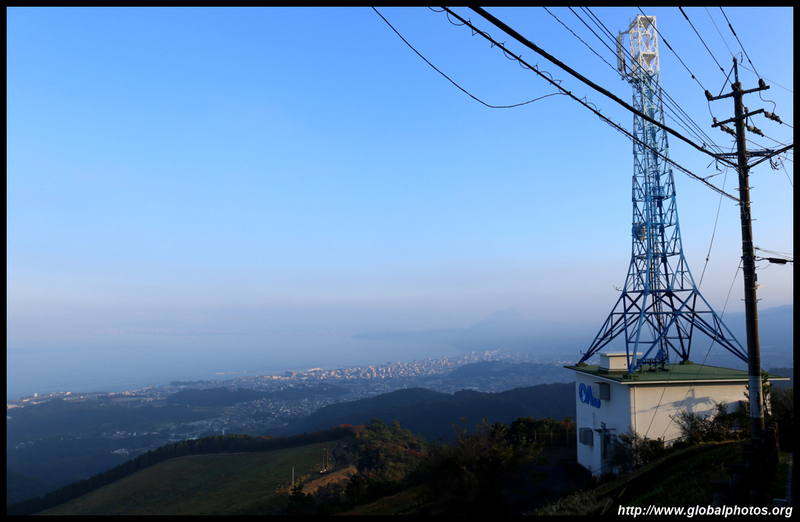 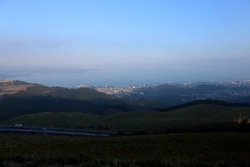 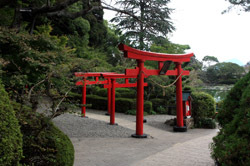 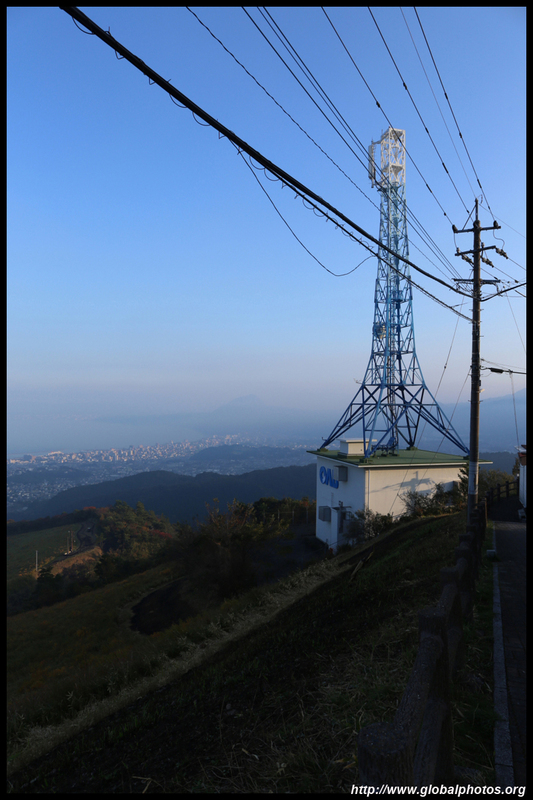 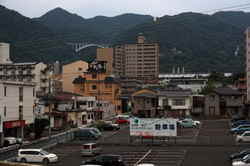 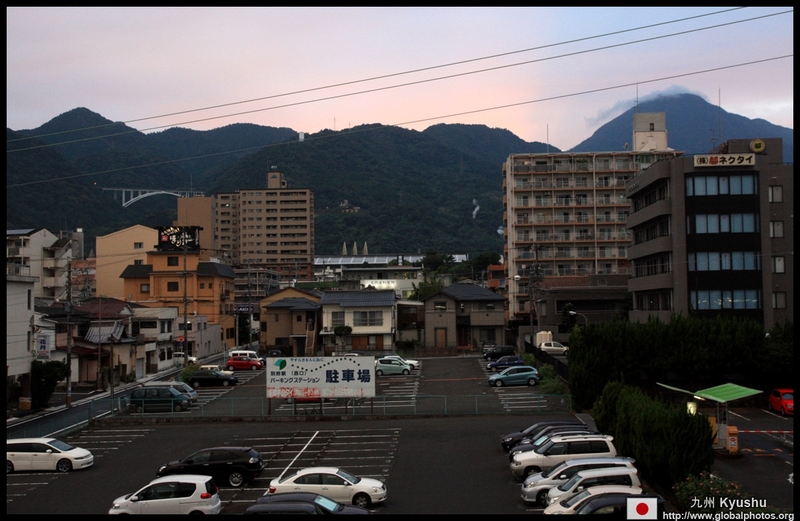 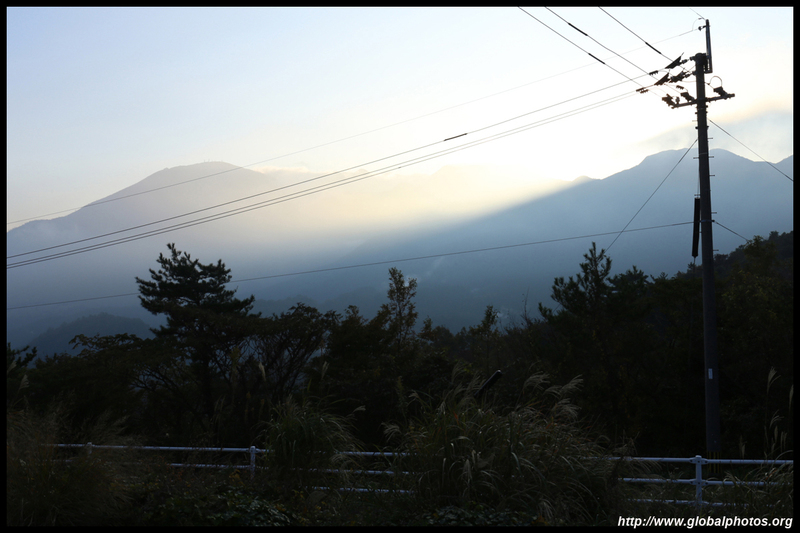 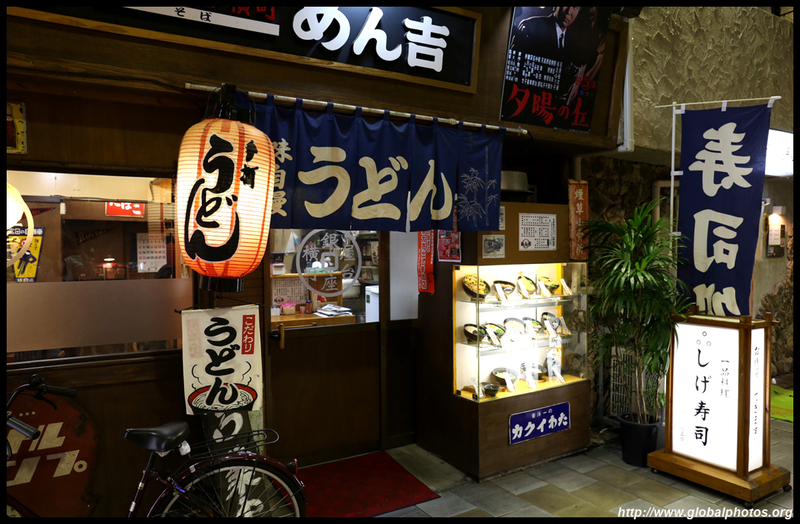 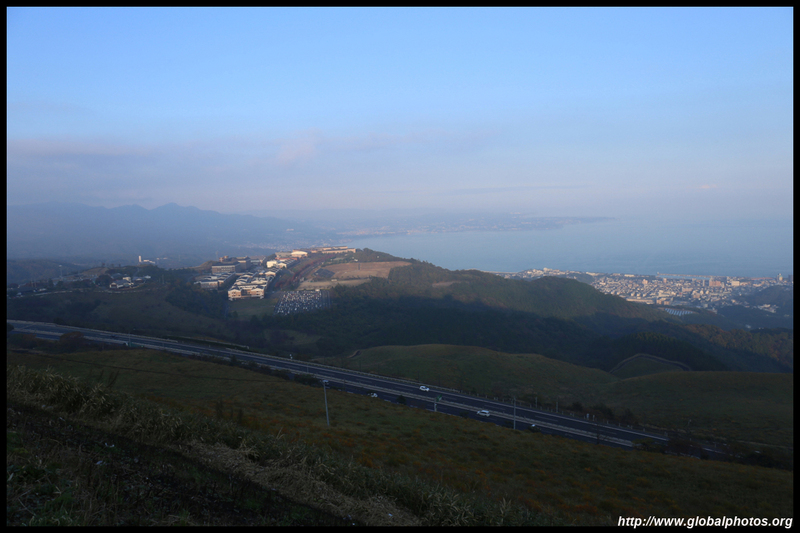 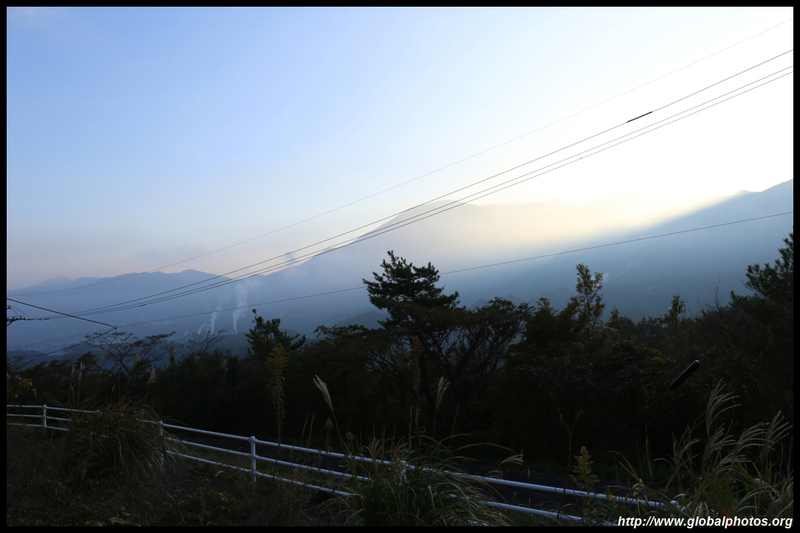 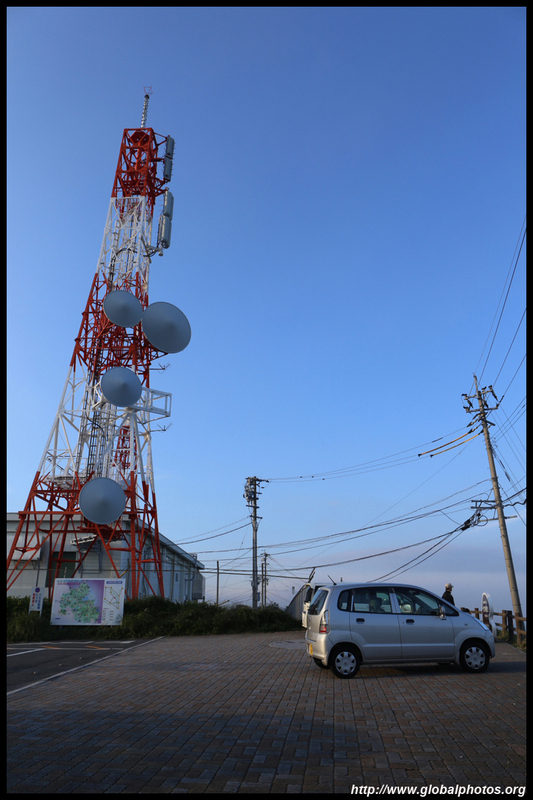 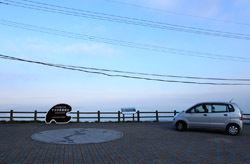 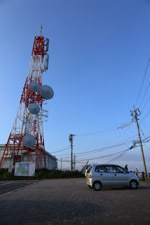 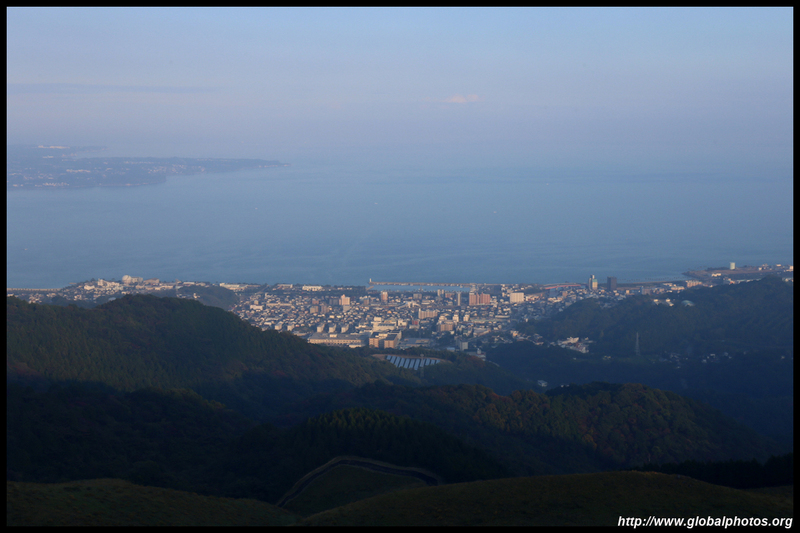 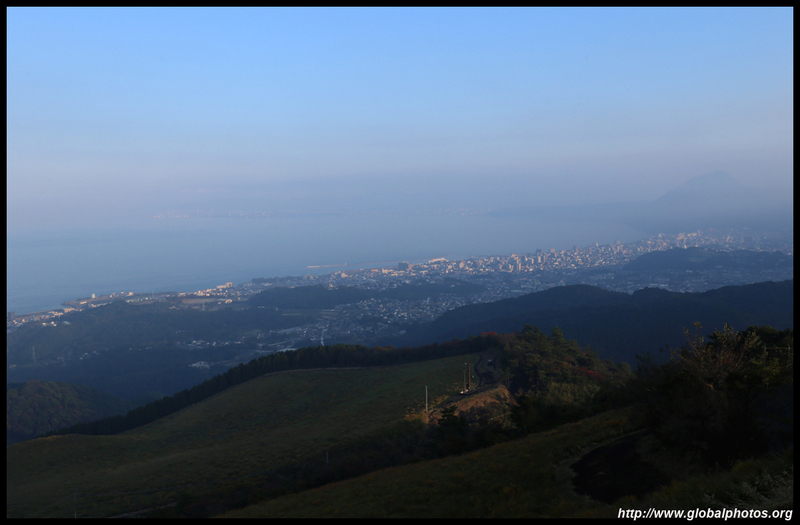 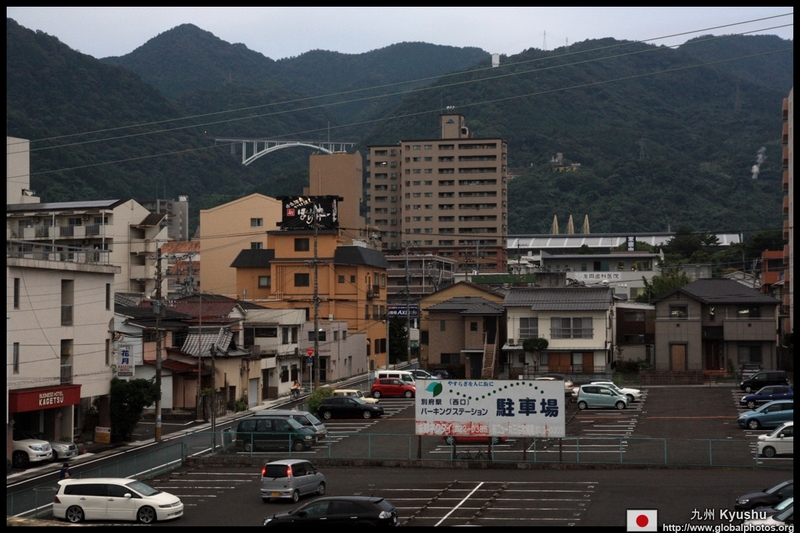 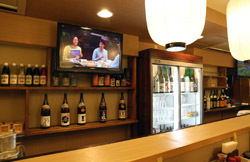 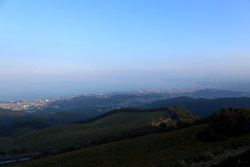 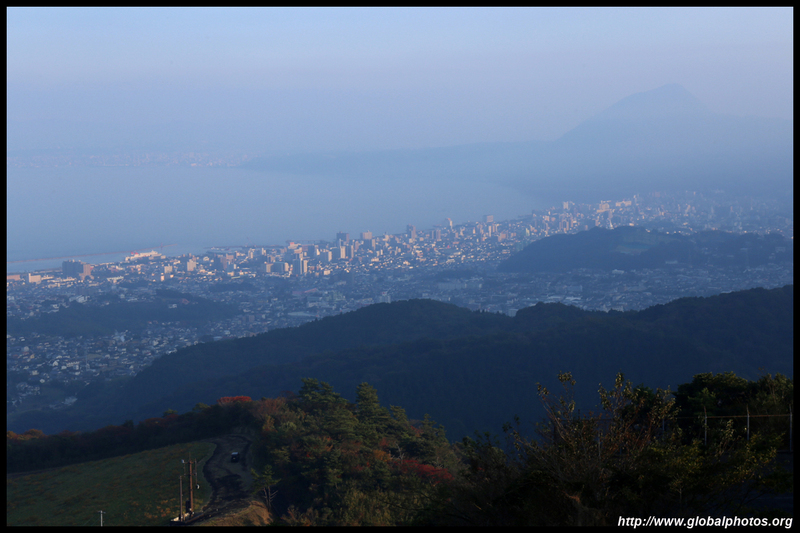 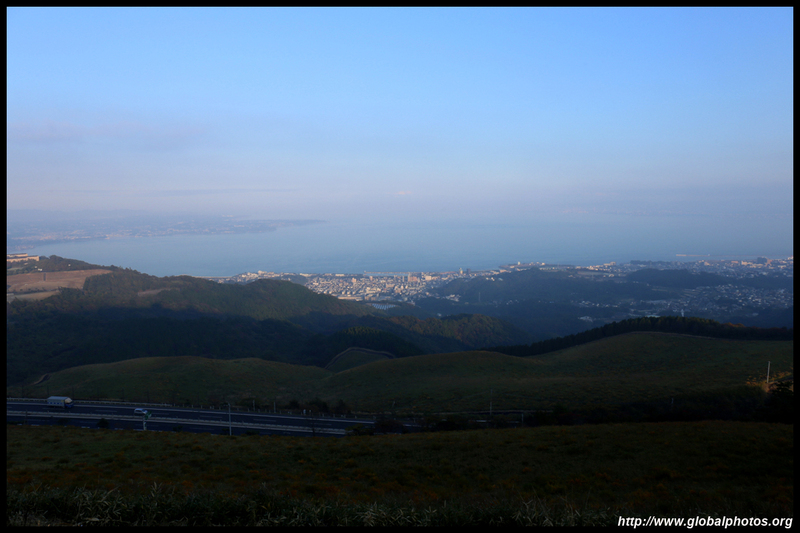 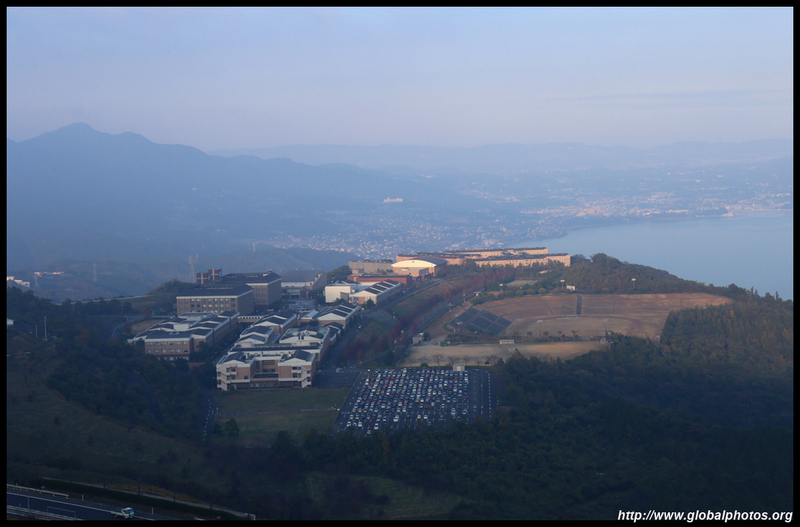 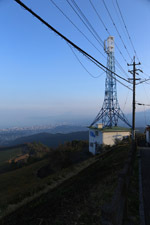 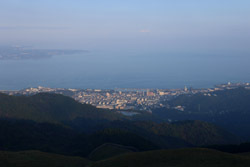 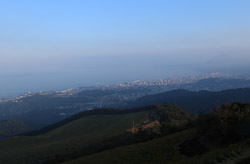 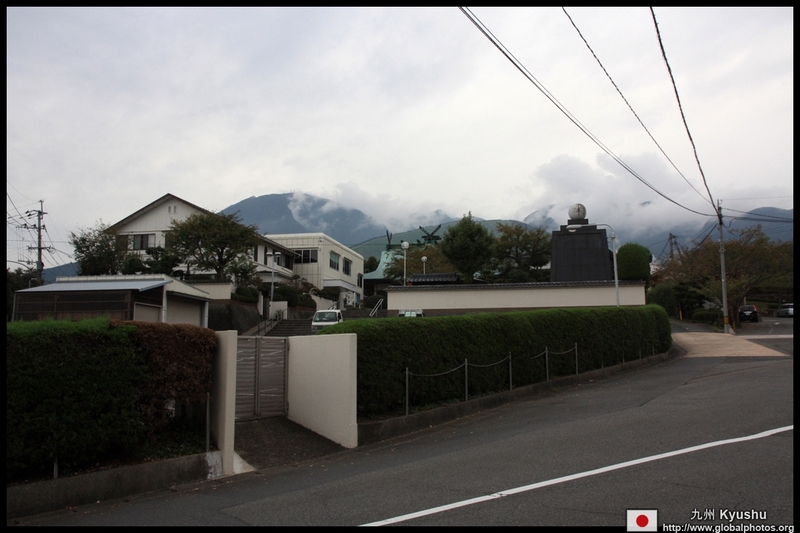 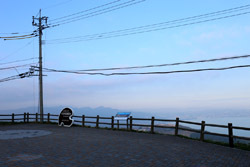 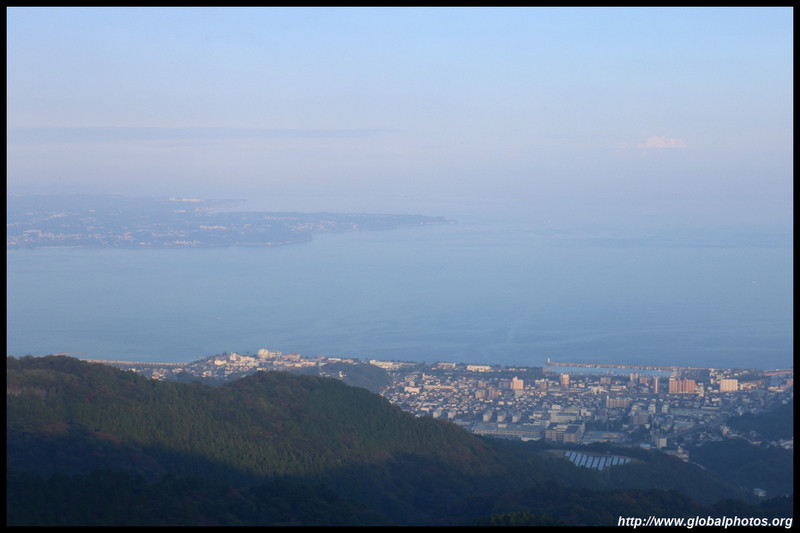 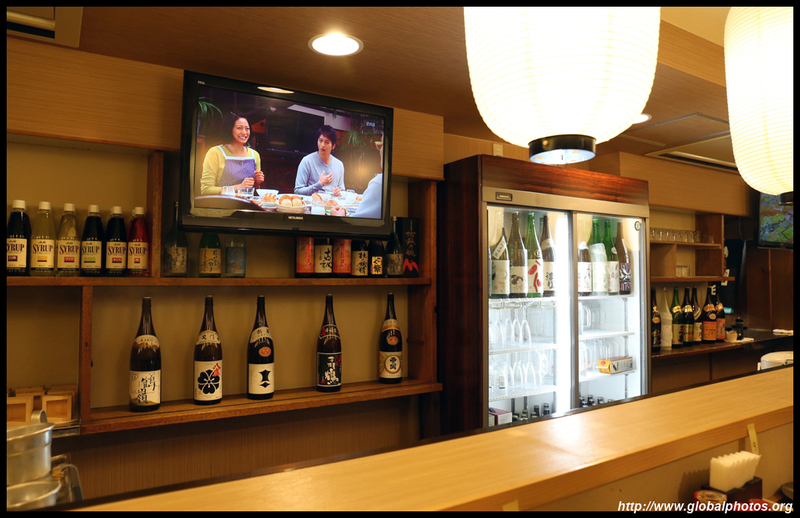 Beppu is surrounded by mountains, which offer great views of the bay and Oita beyond.